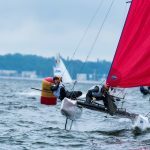 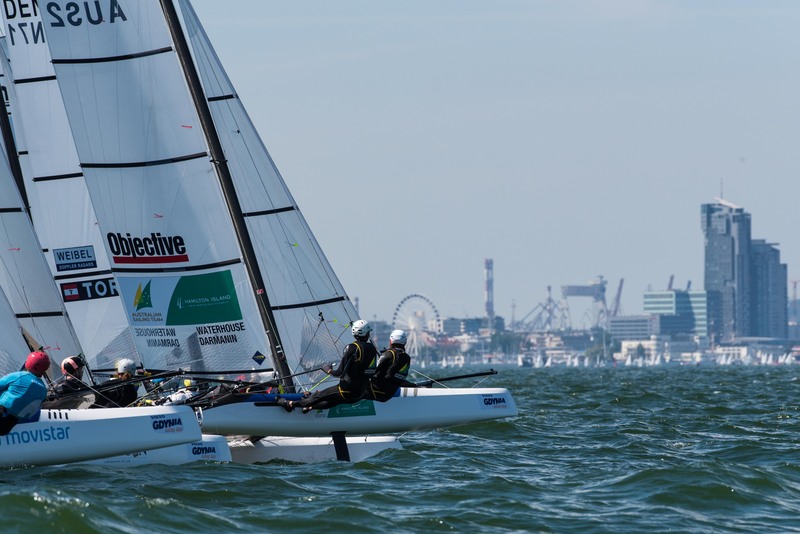 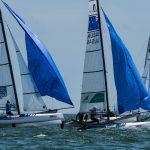 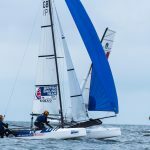 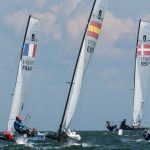 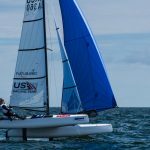 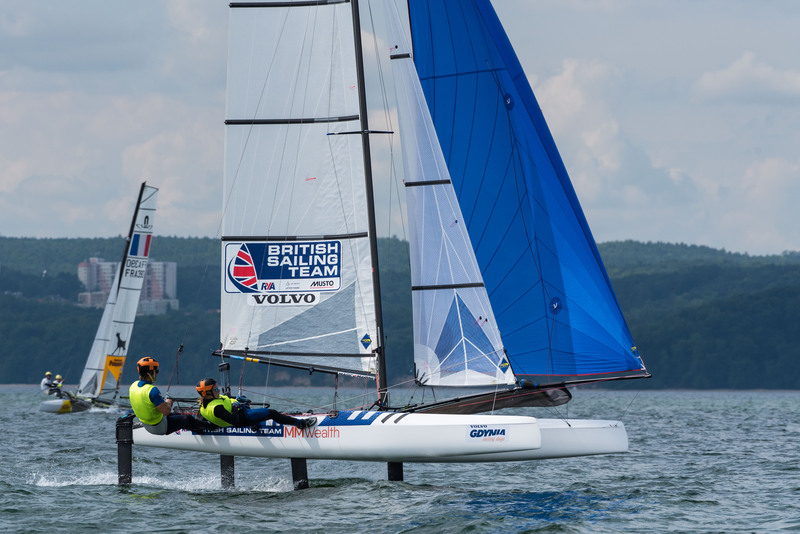 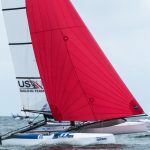 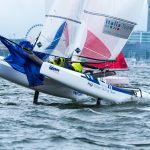 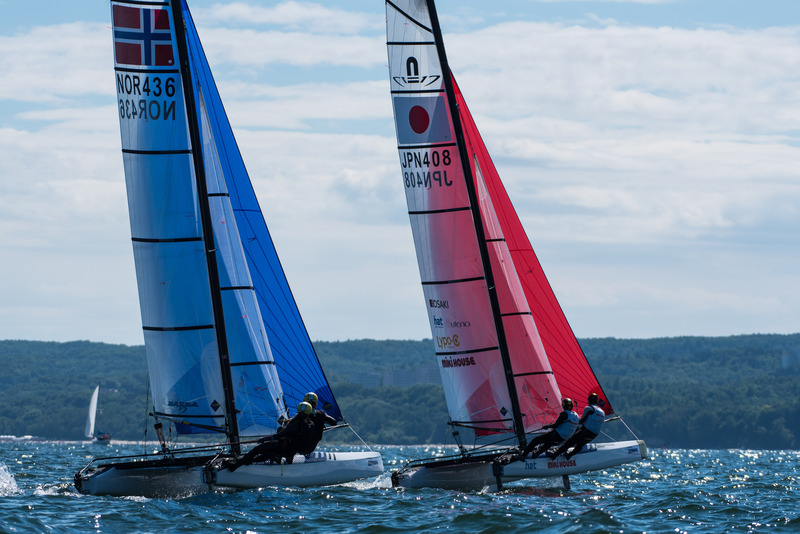 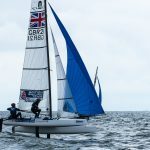 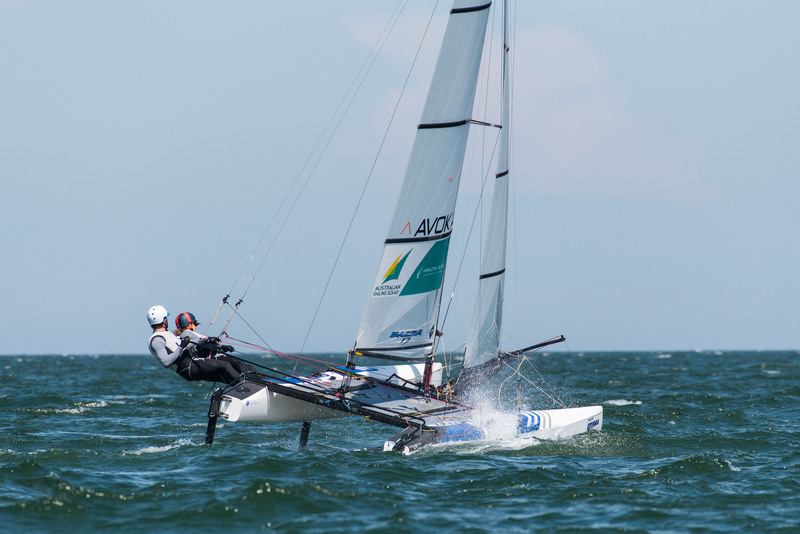 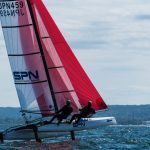 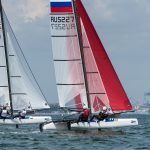 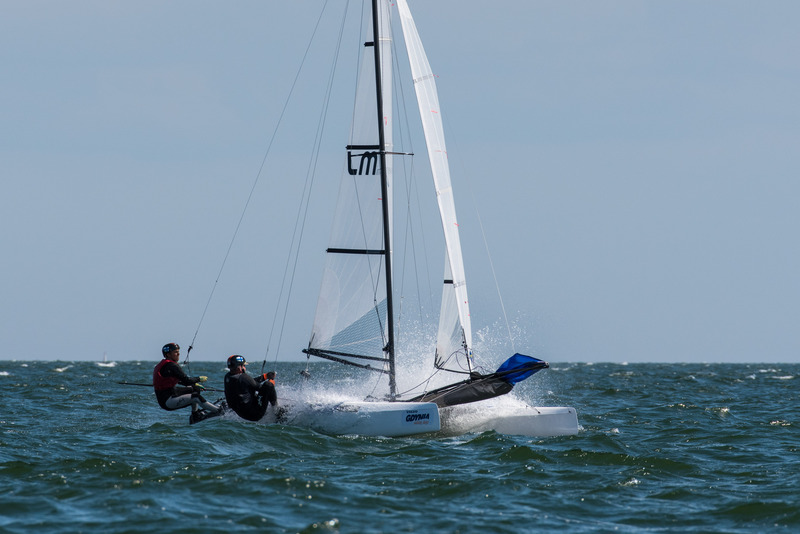 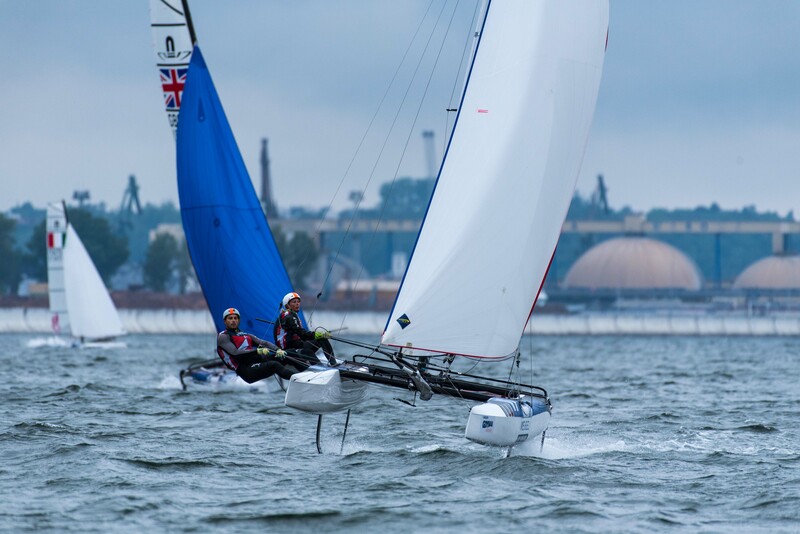 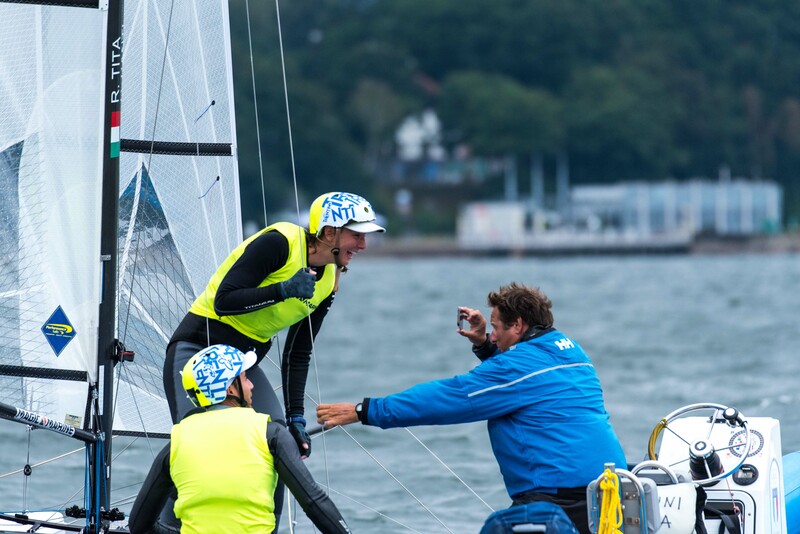 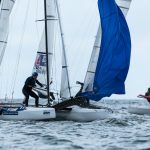 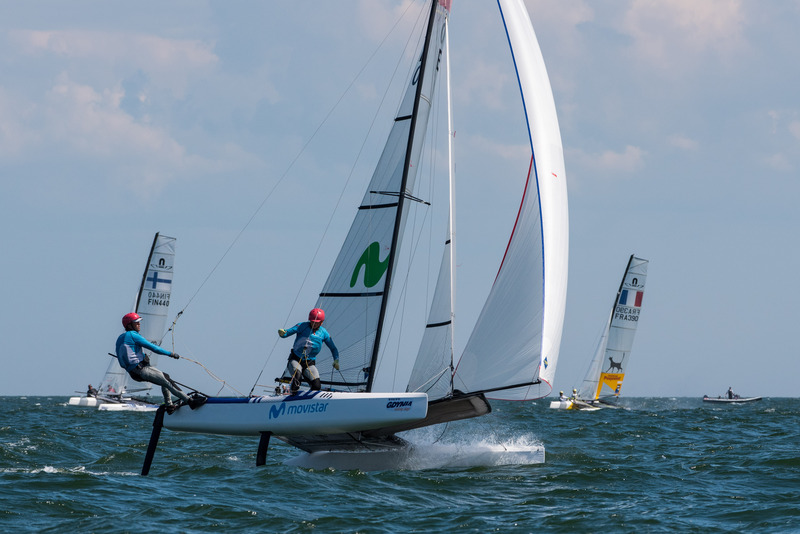 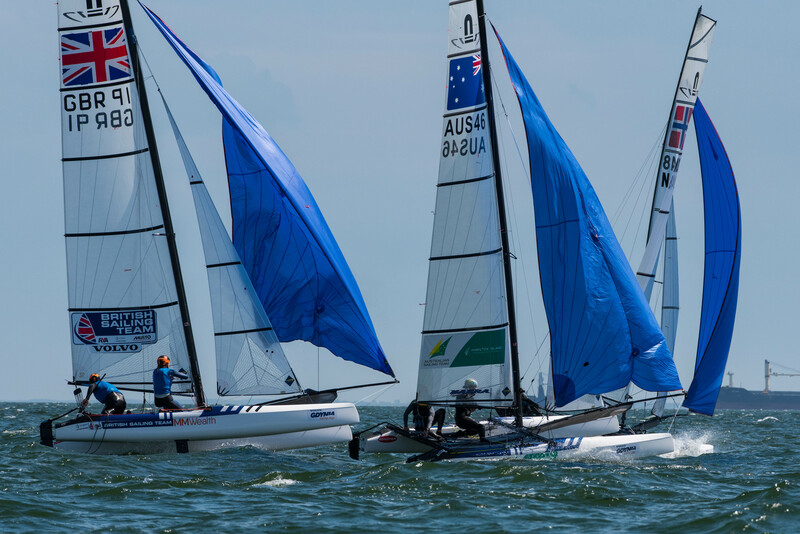 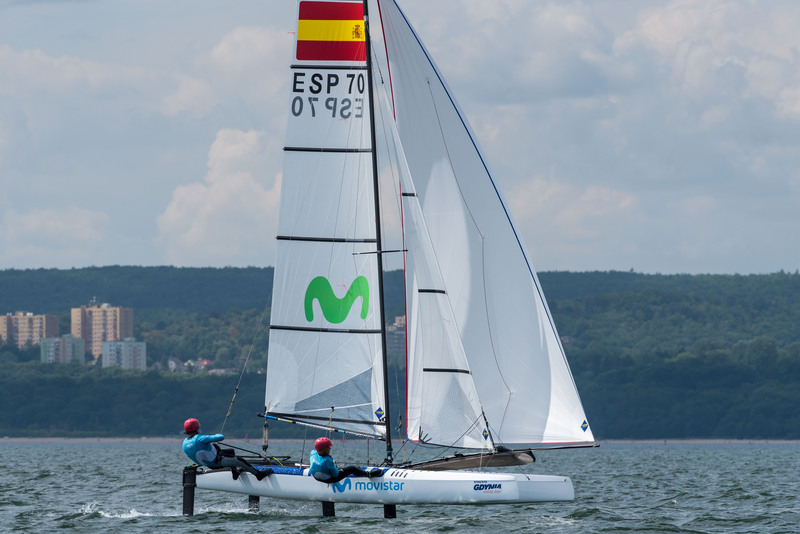 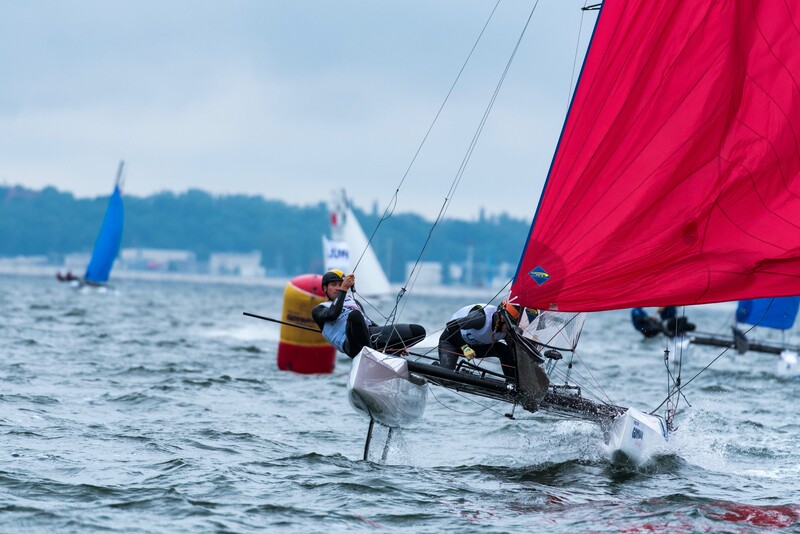 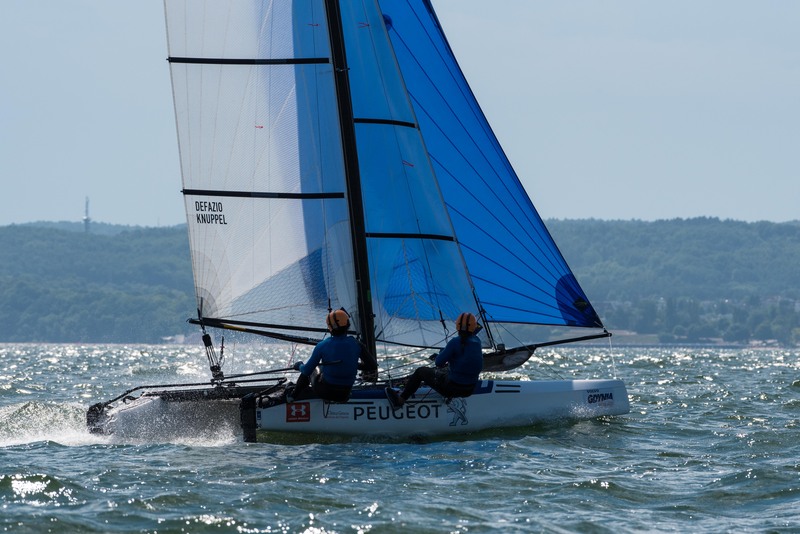 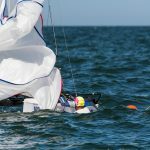 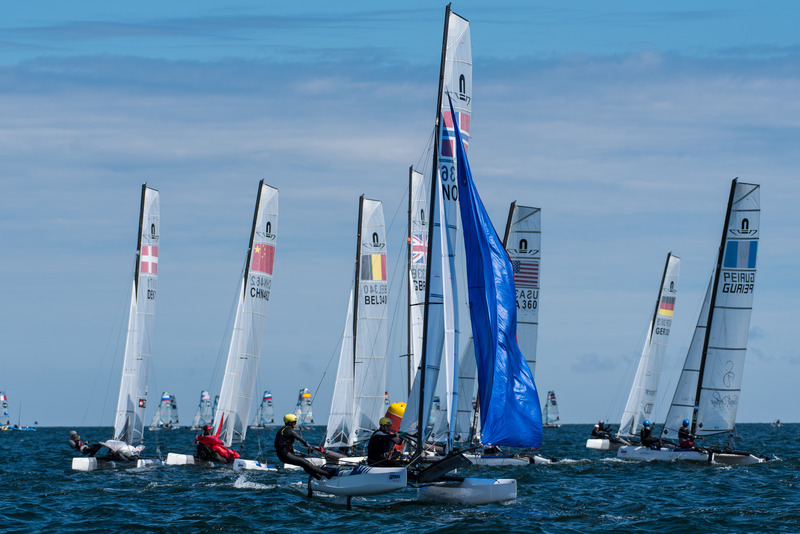 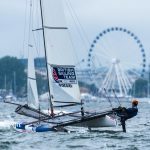 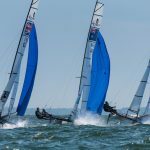 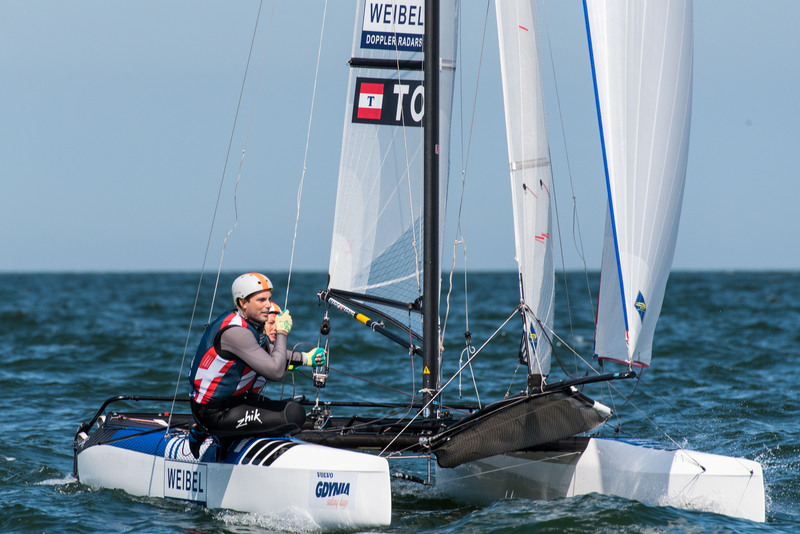 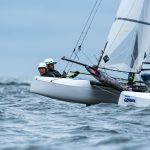 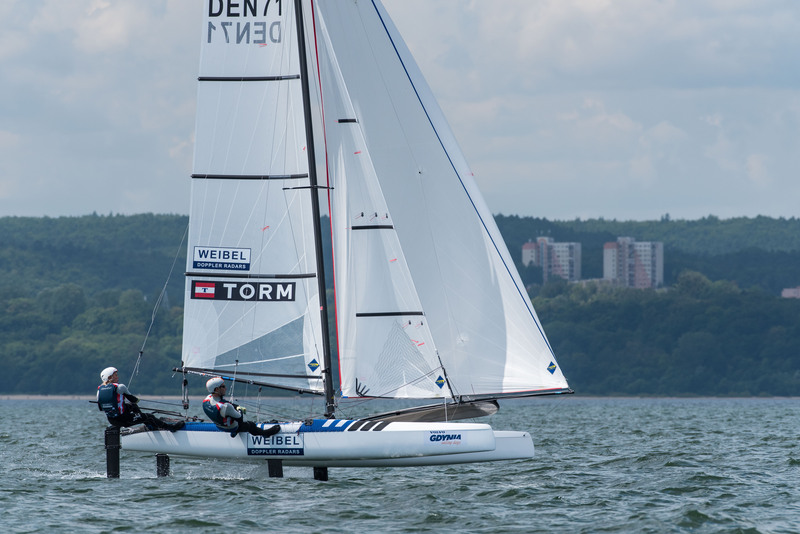 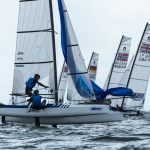 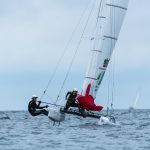 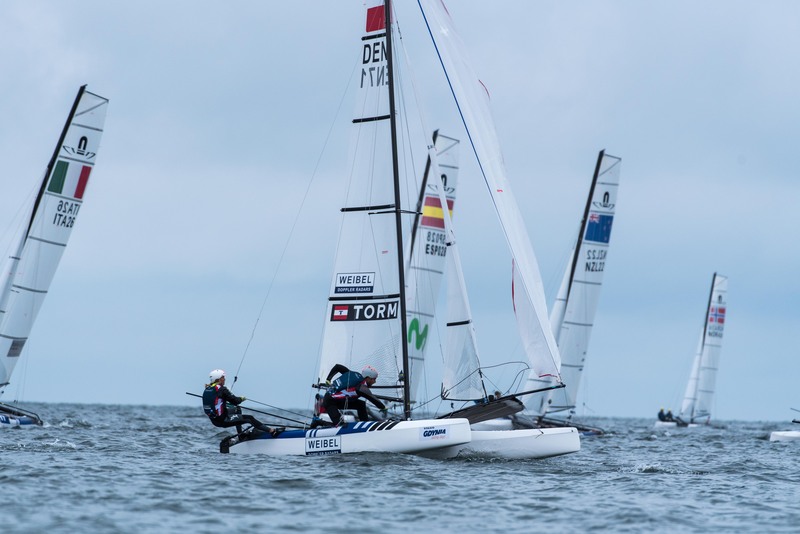 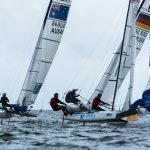 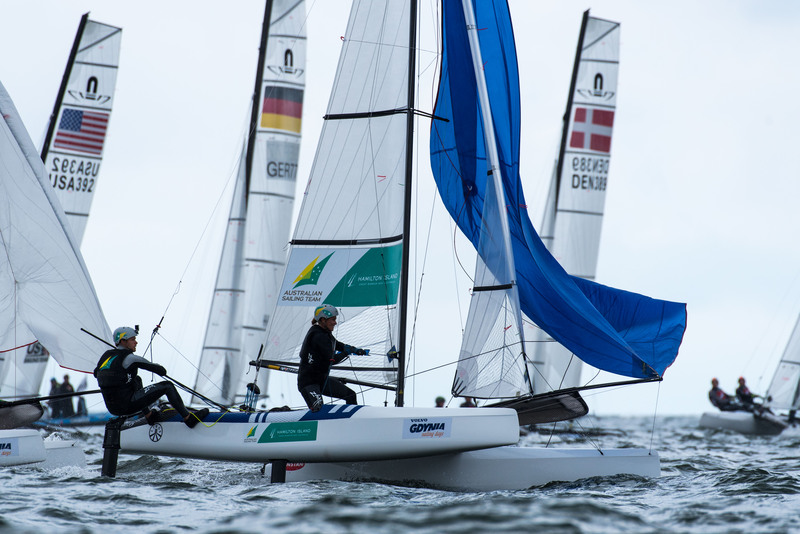 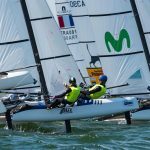 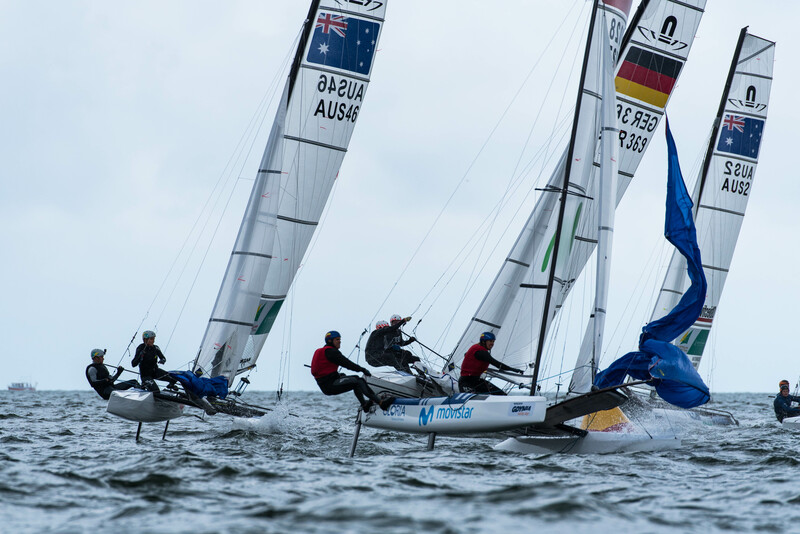 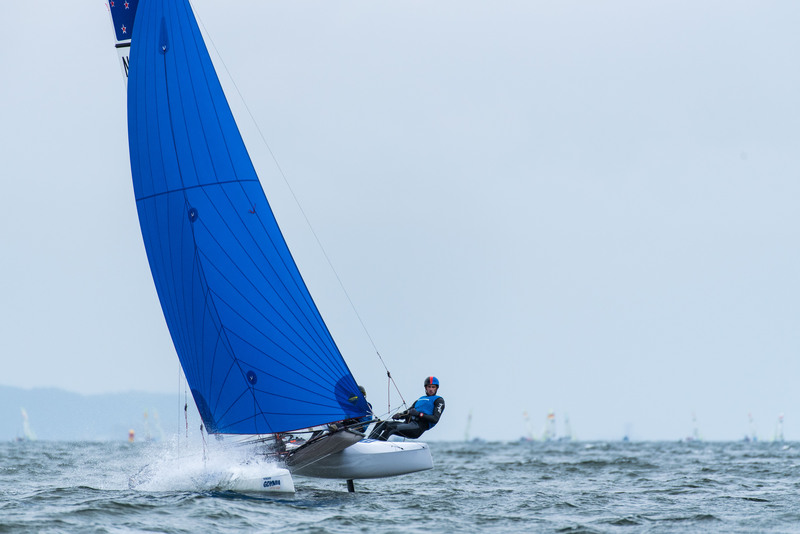 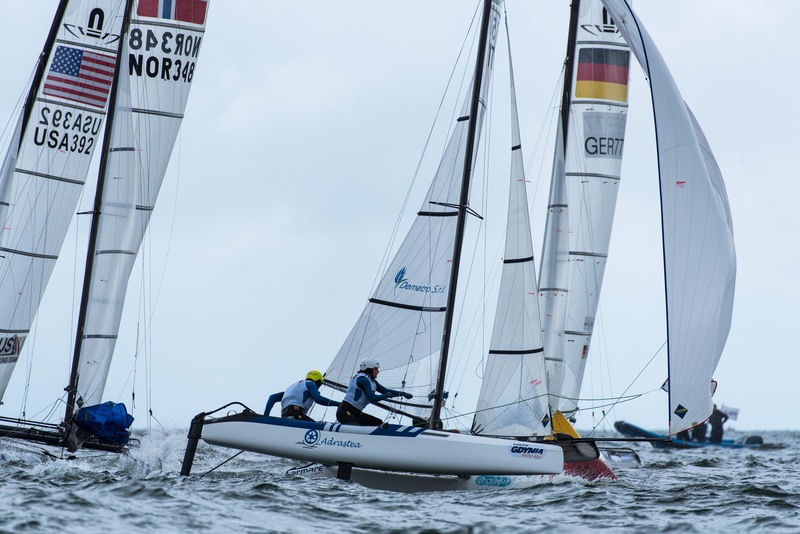 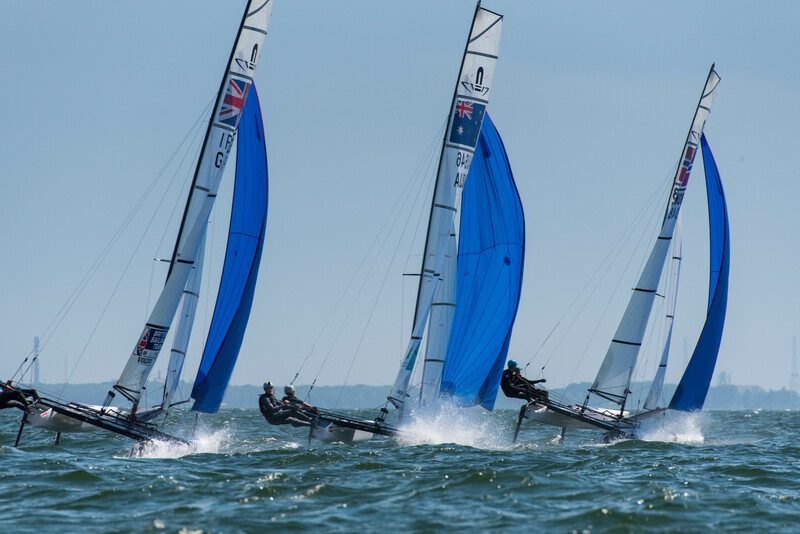 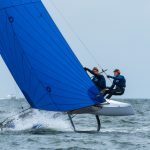 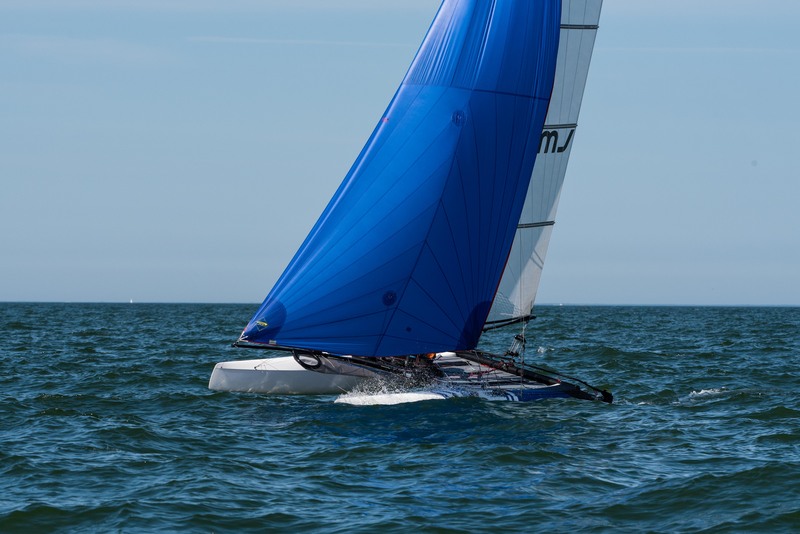 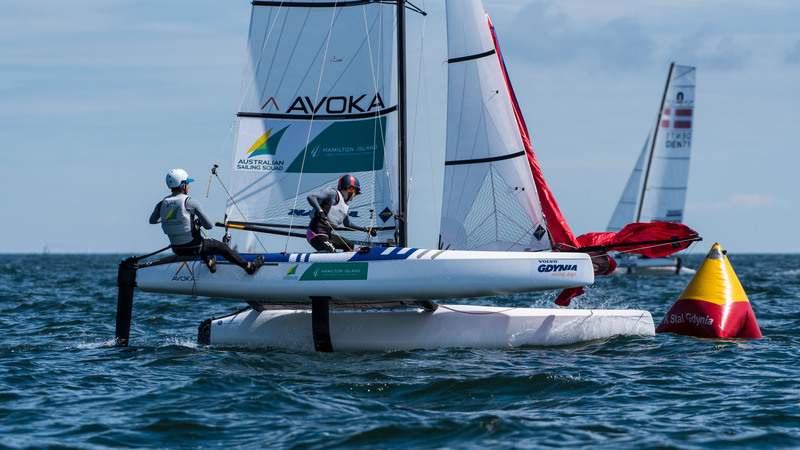 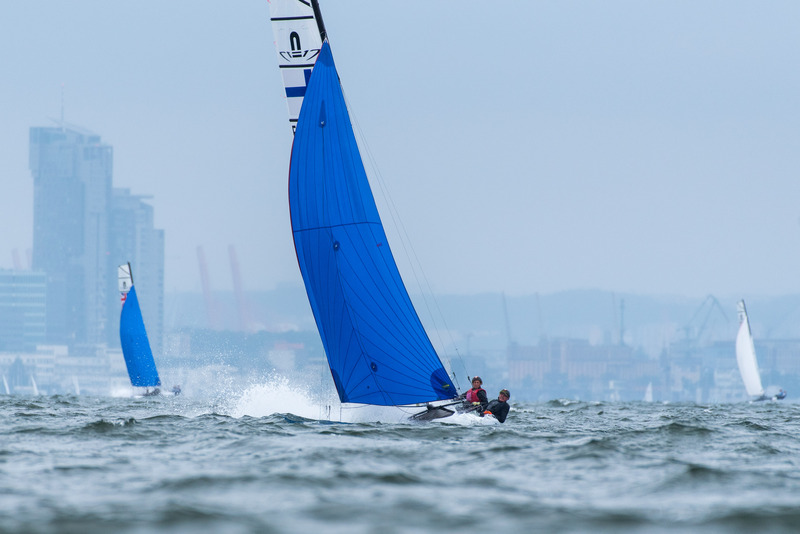 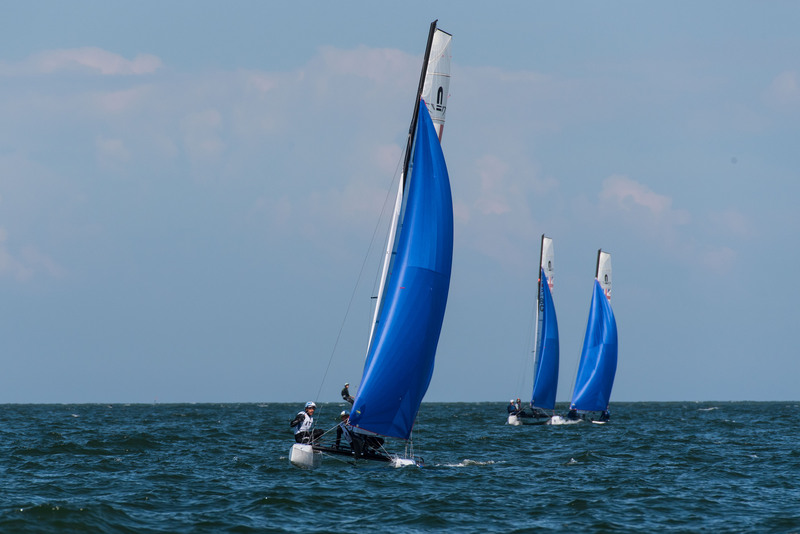 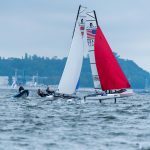 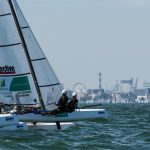 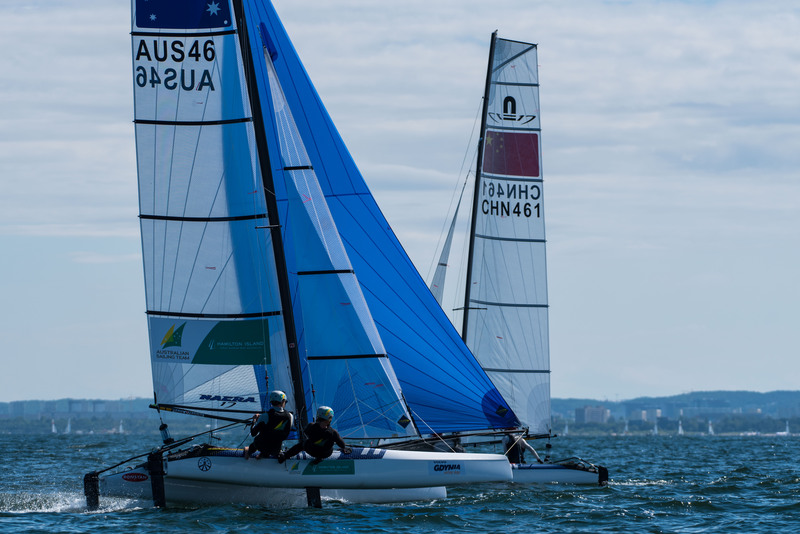 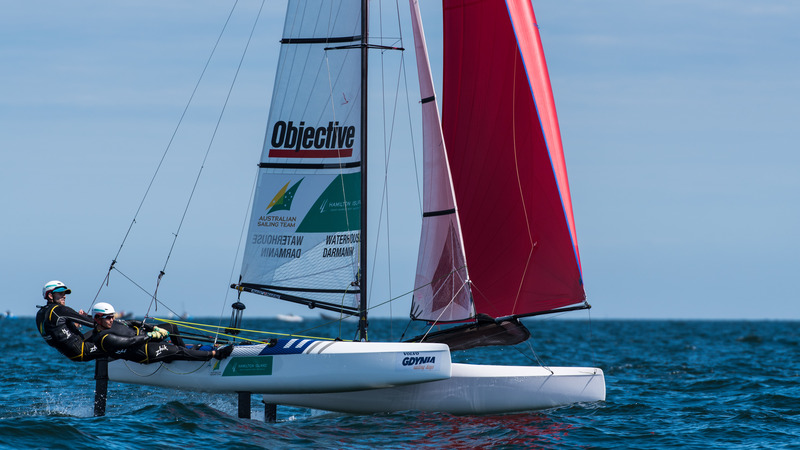 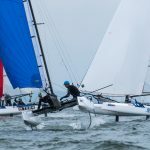 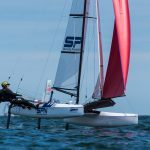 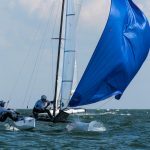 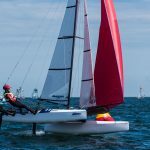 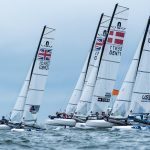 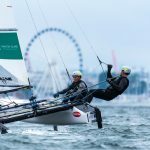 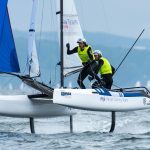 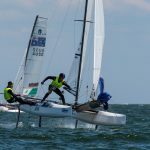 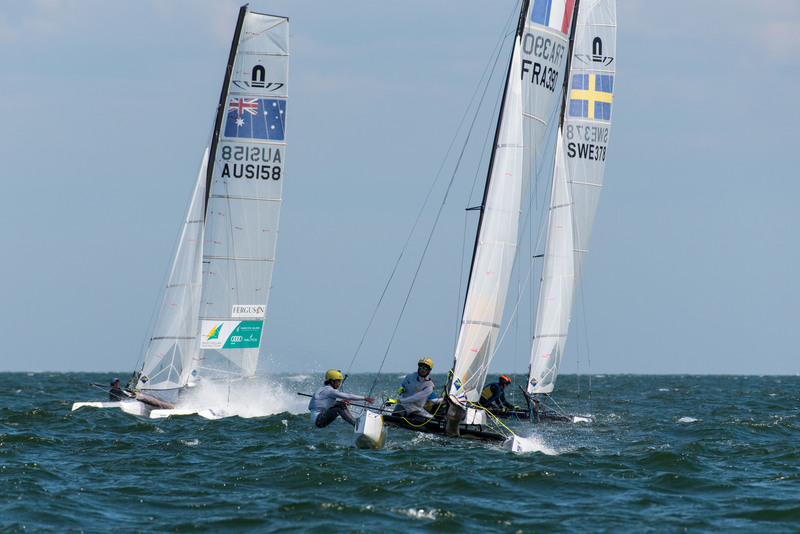 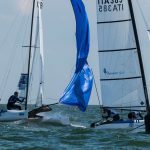 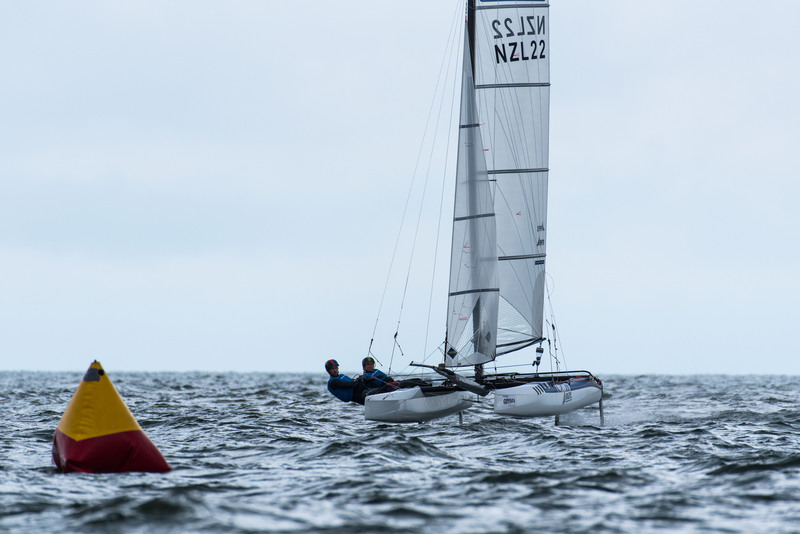 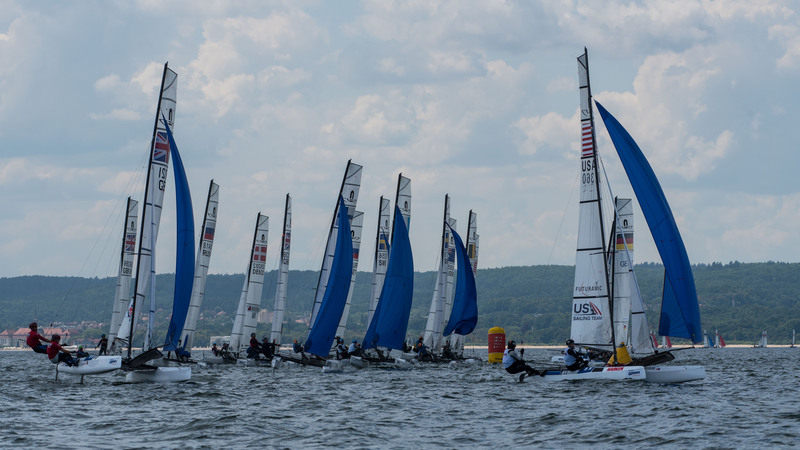 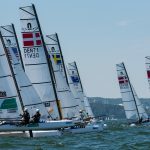 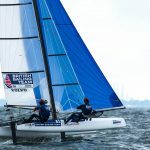 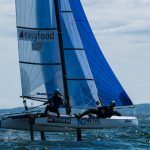 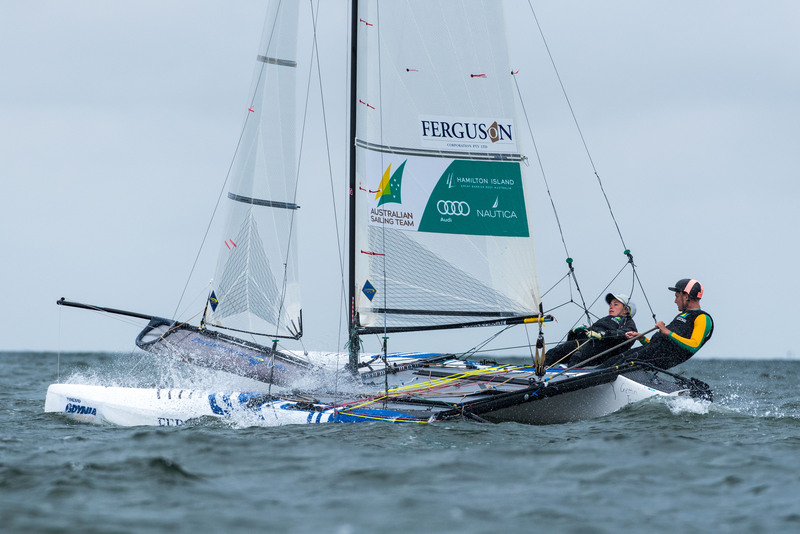 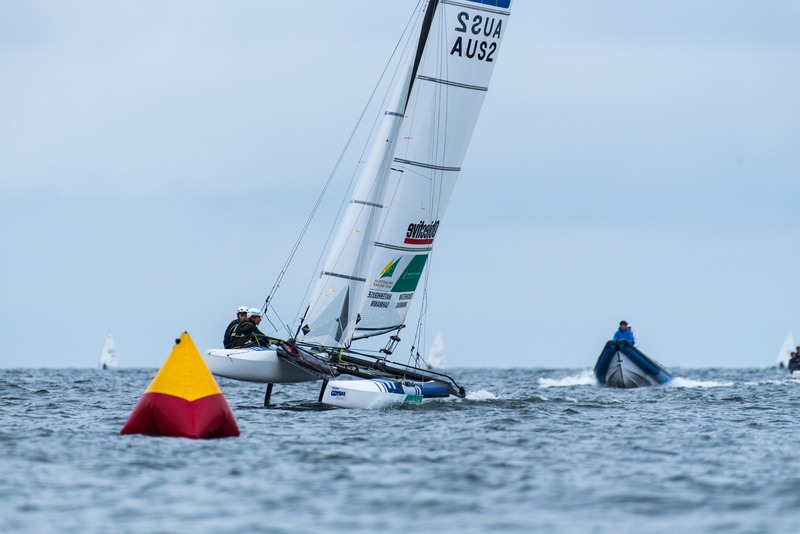 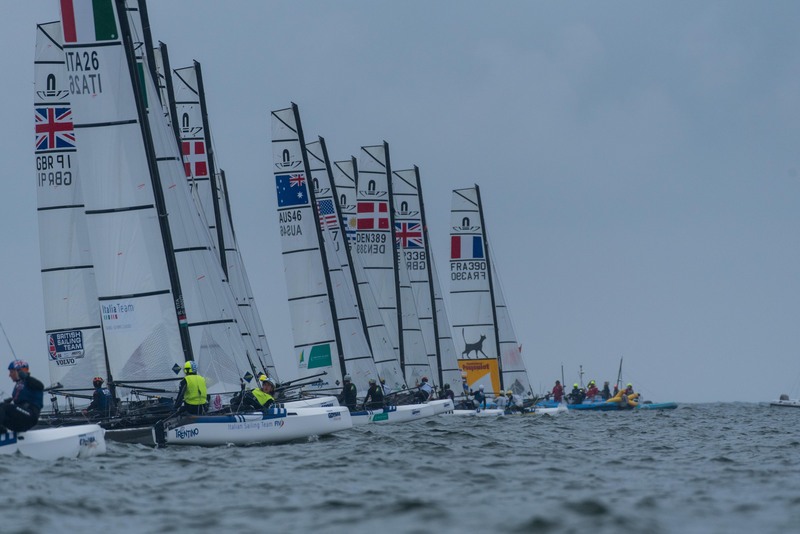 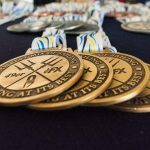 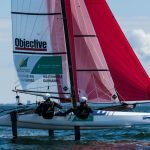 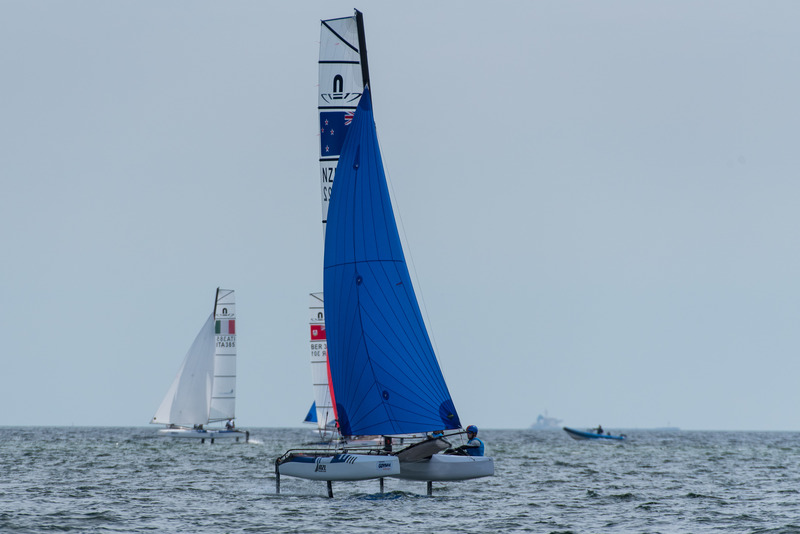 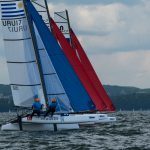 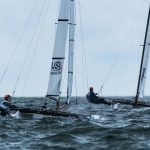 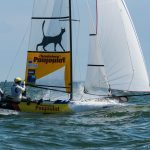 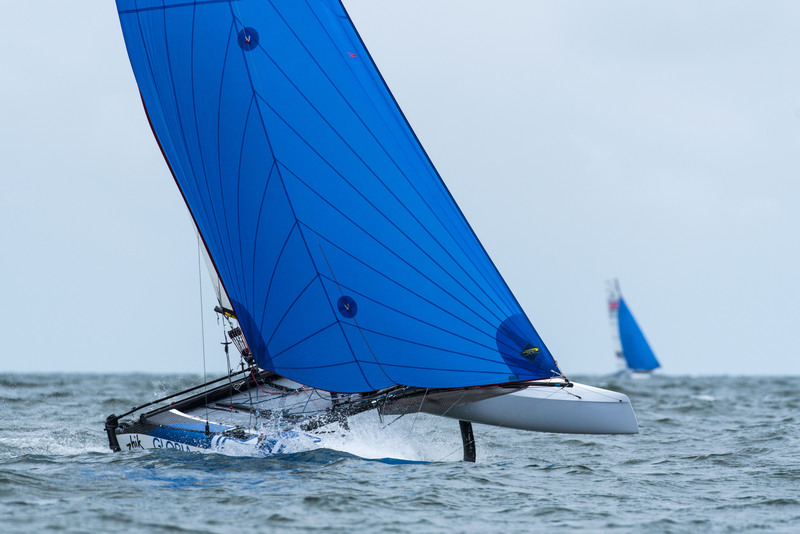 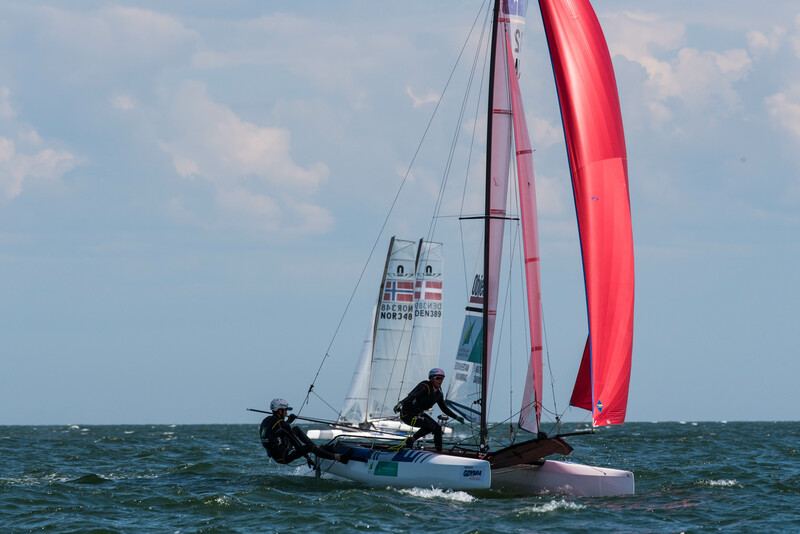 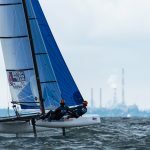 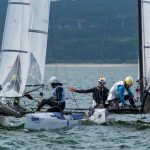 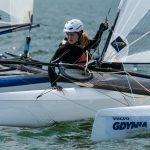 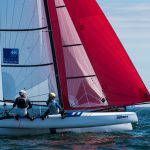 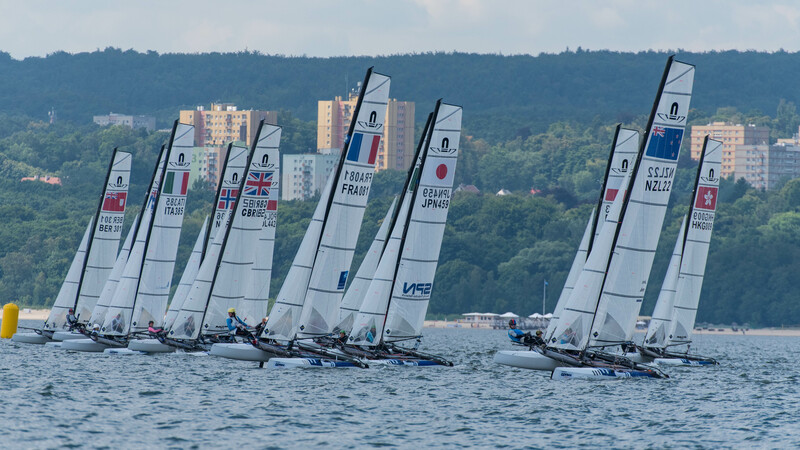 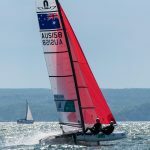 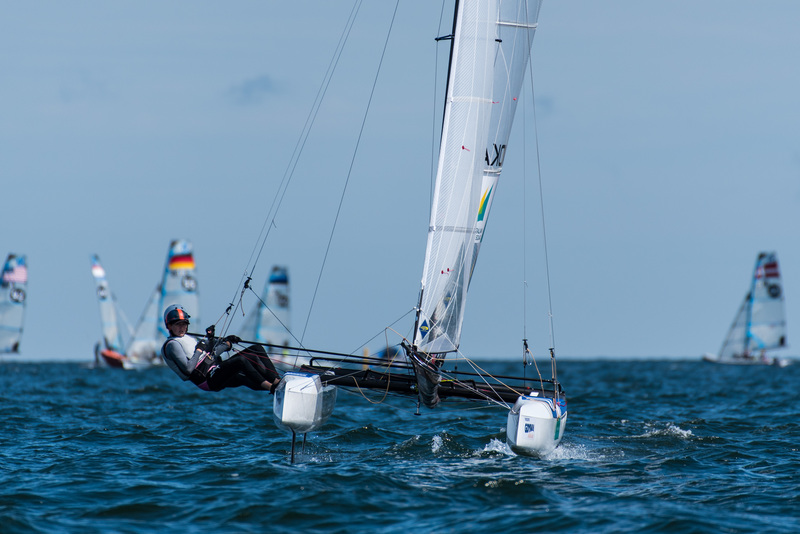 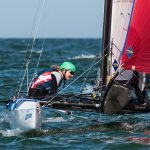 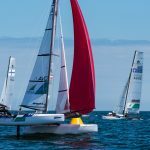 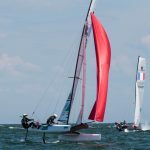 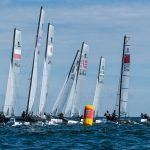 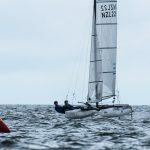 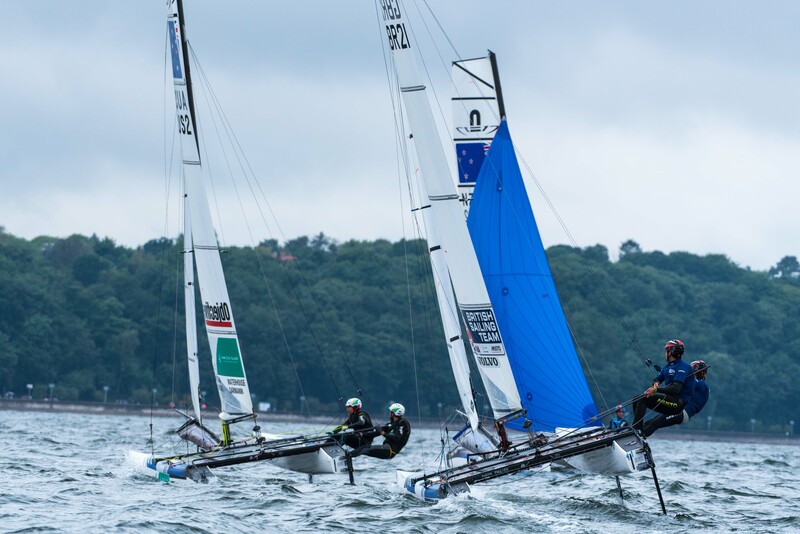 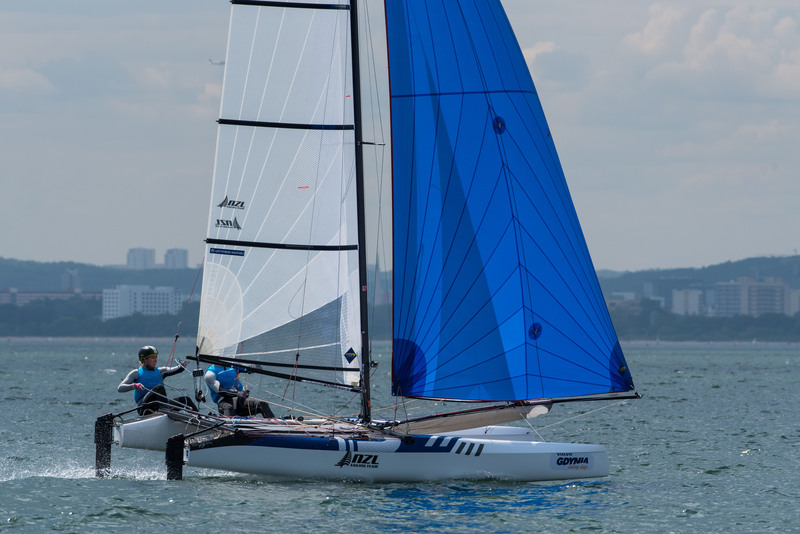 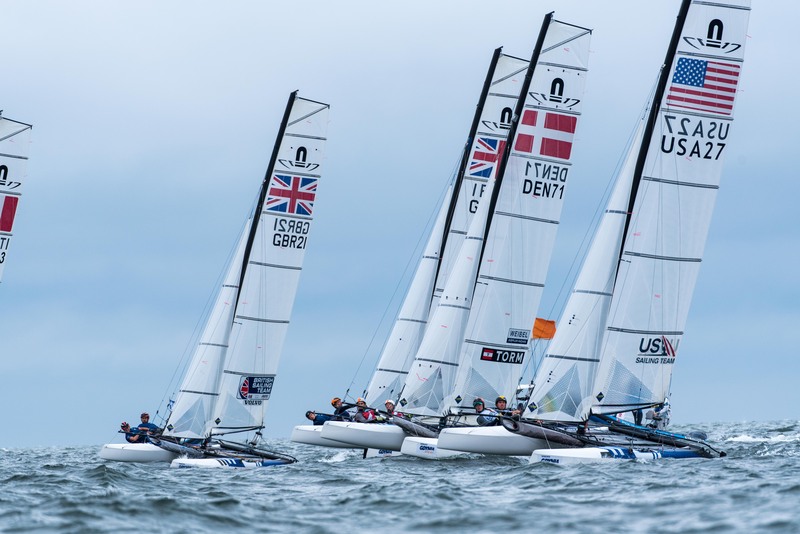 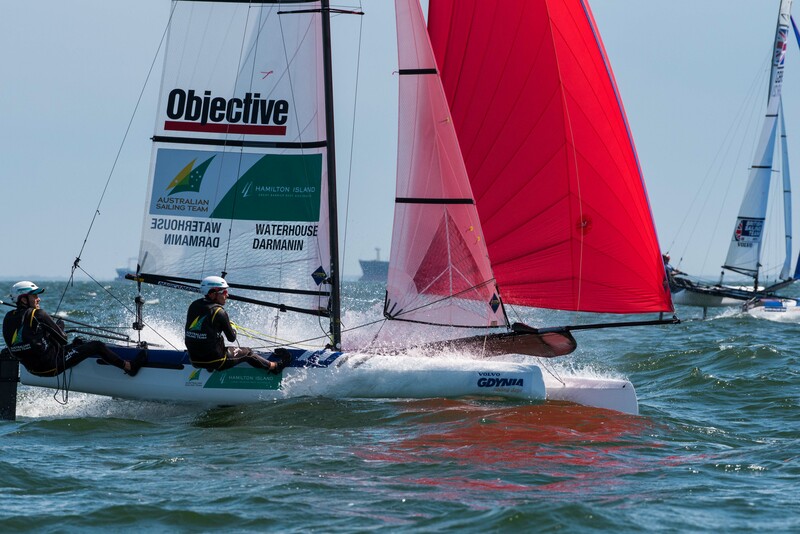 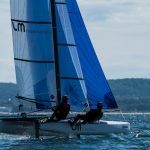 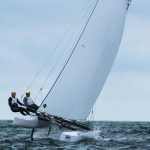 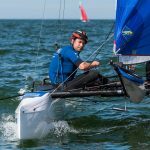 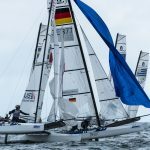 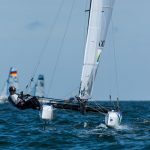 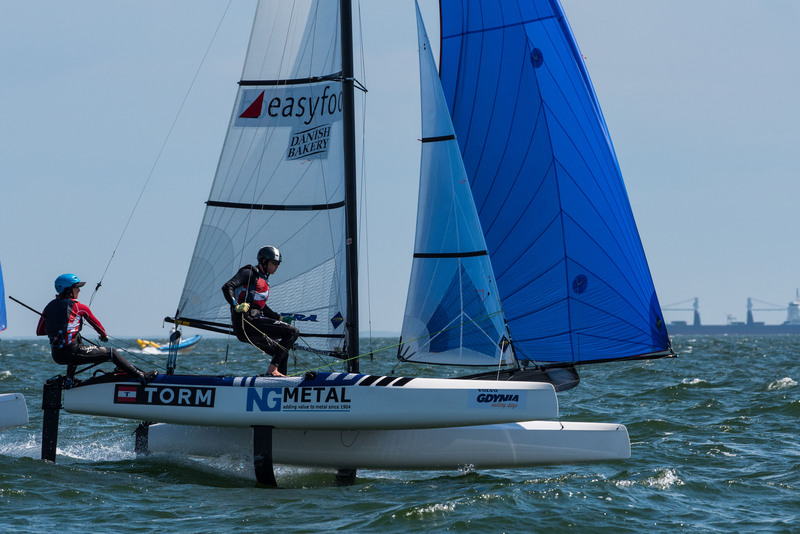 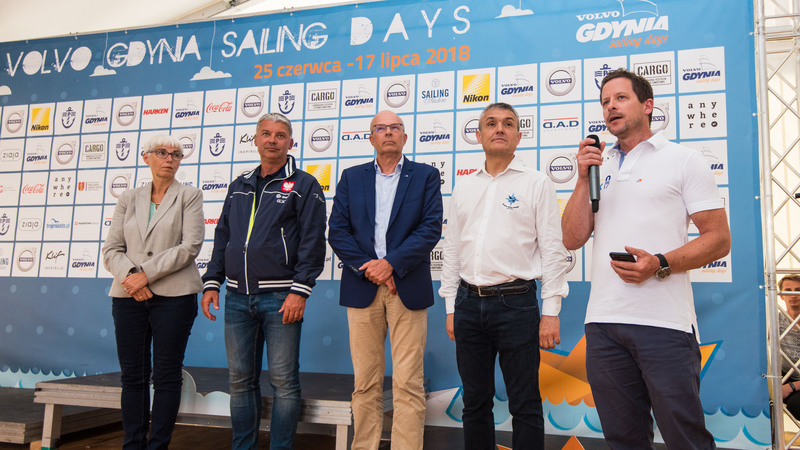 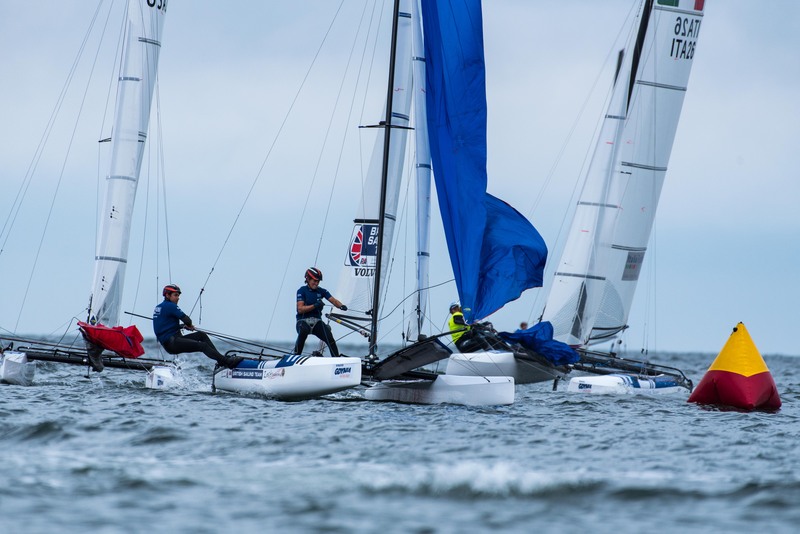 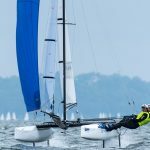 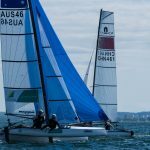 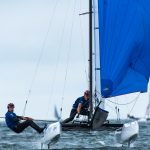 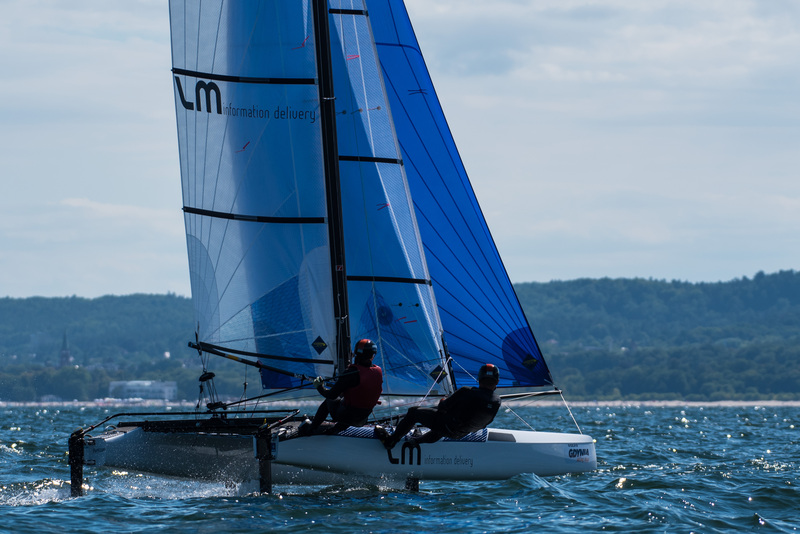 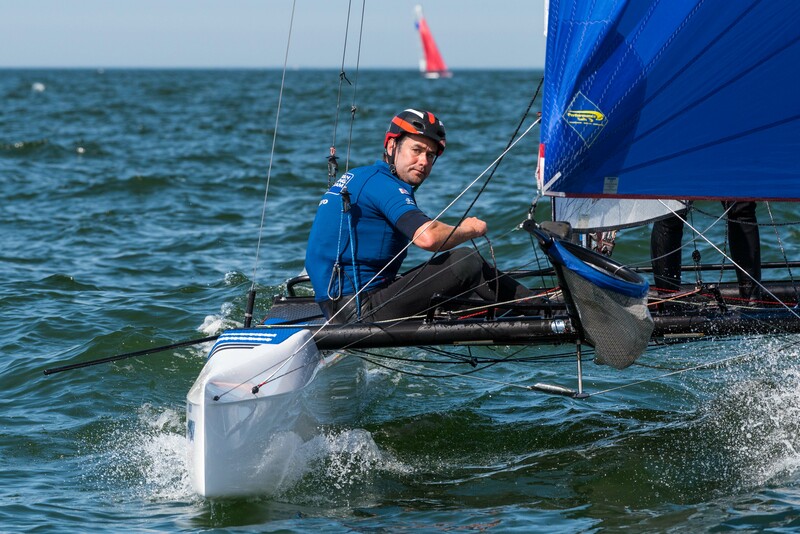 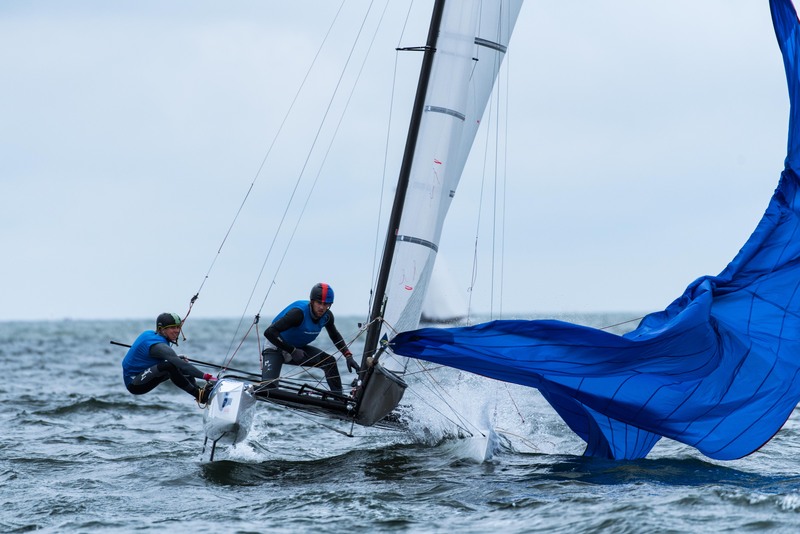 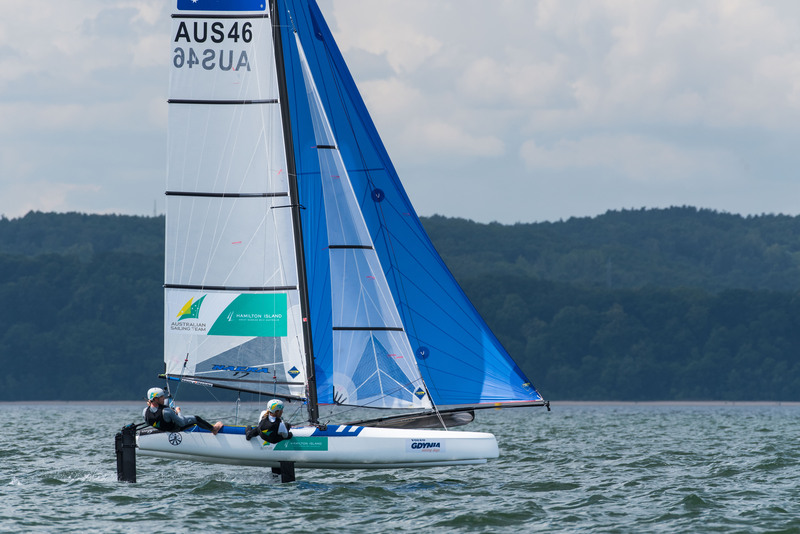 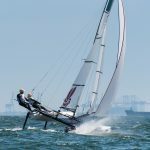 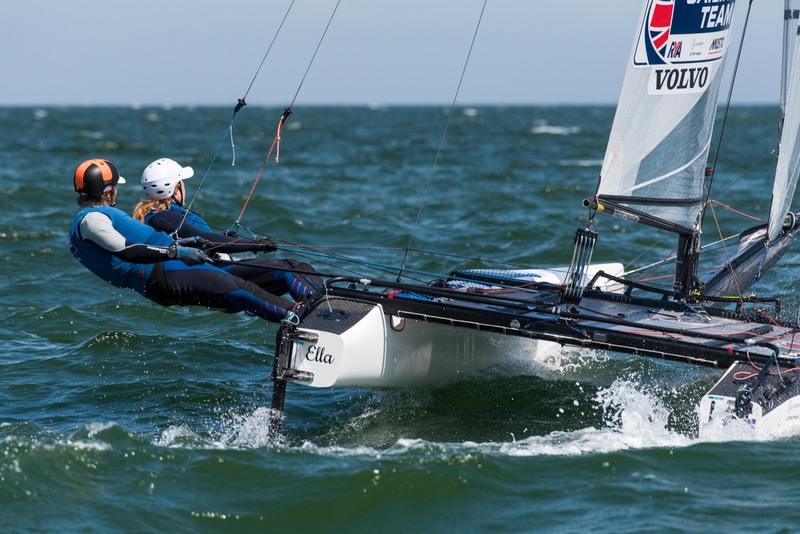 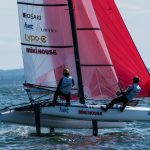 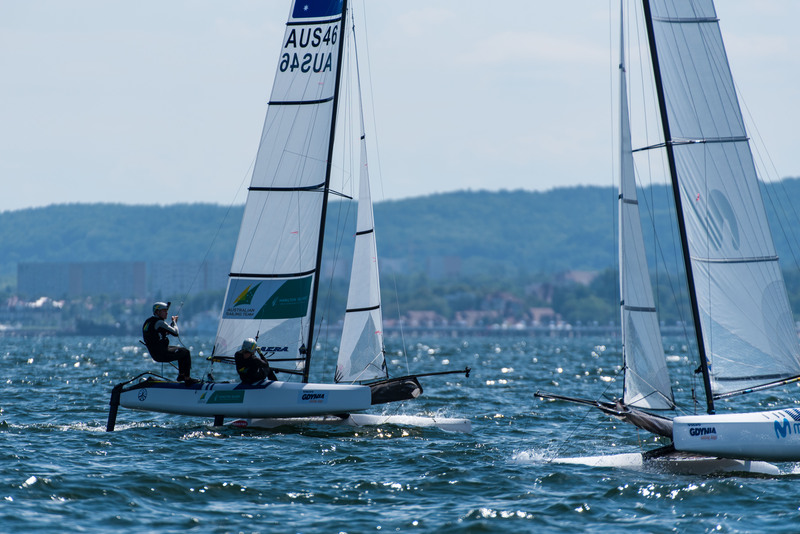 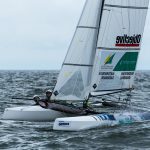 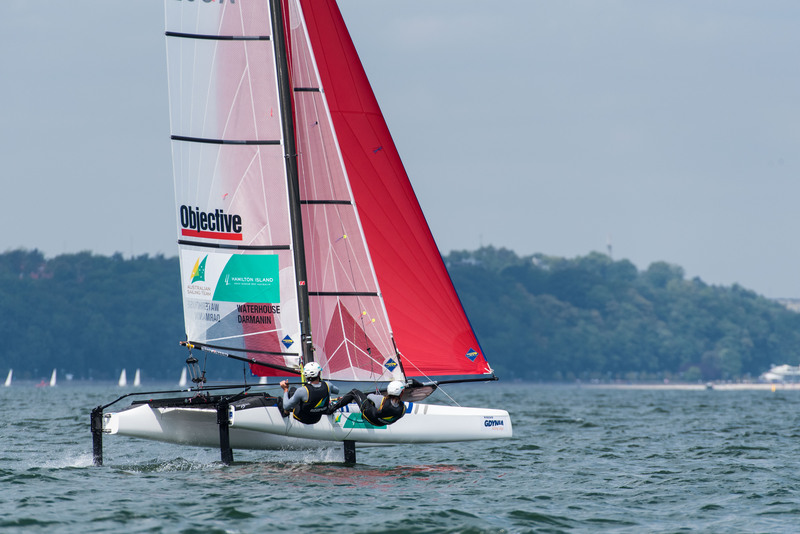 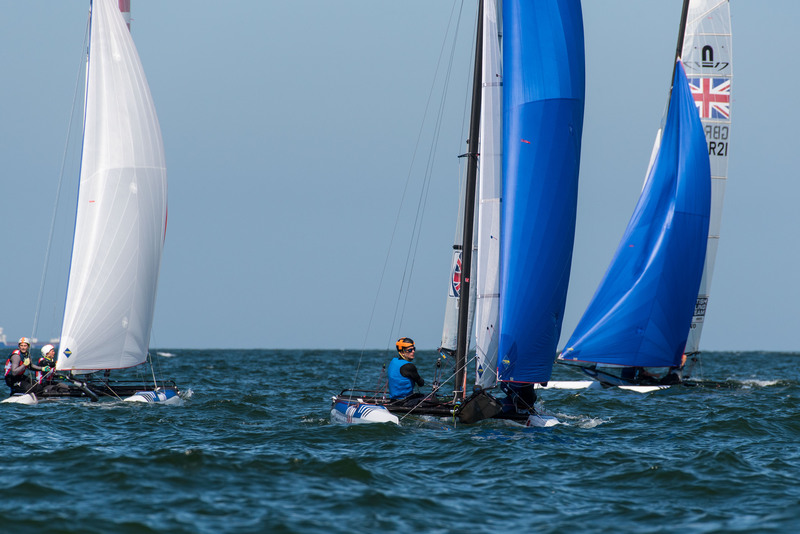 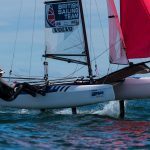 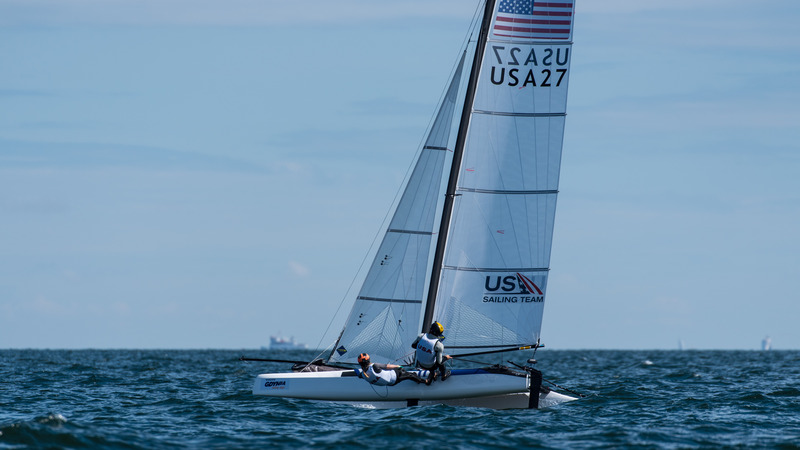 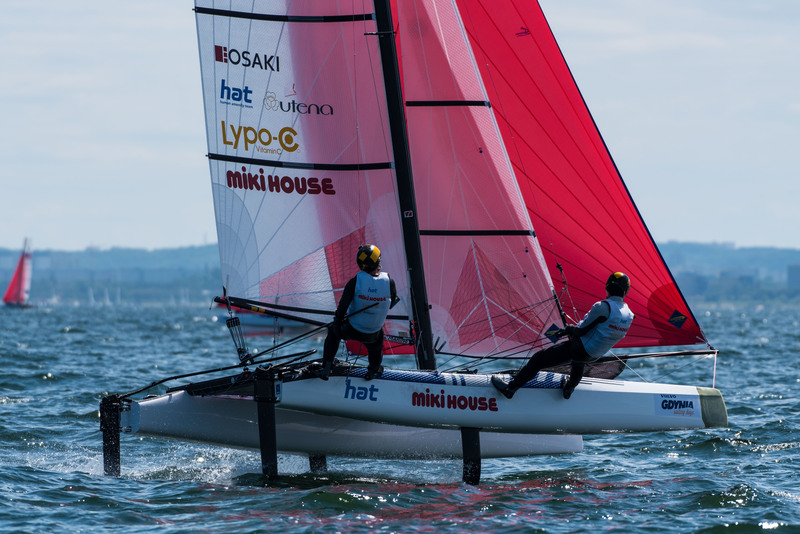 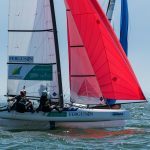 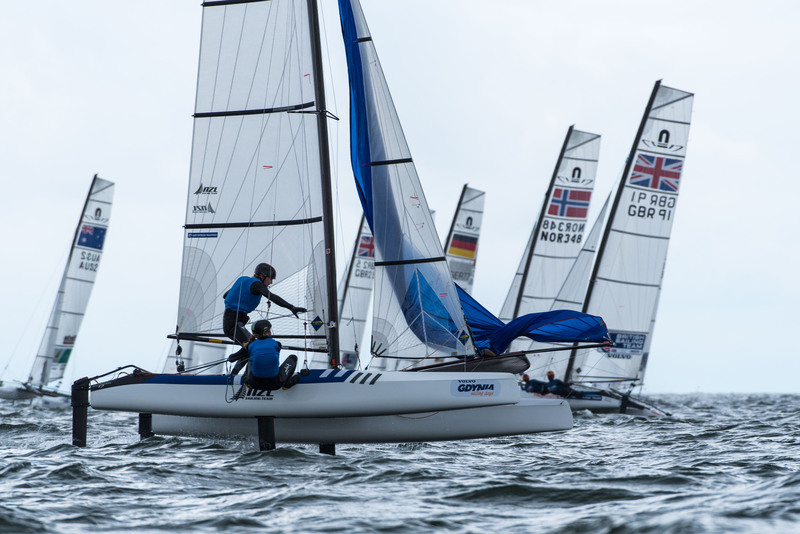 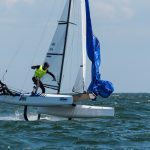 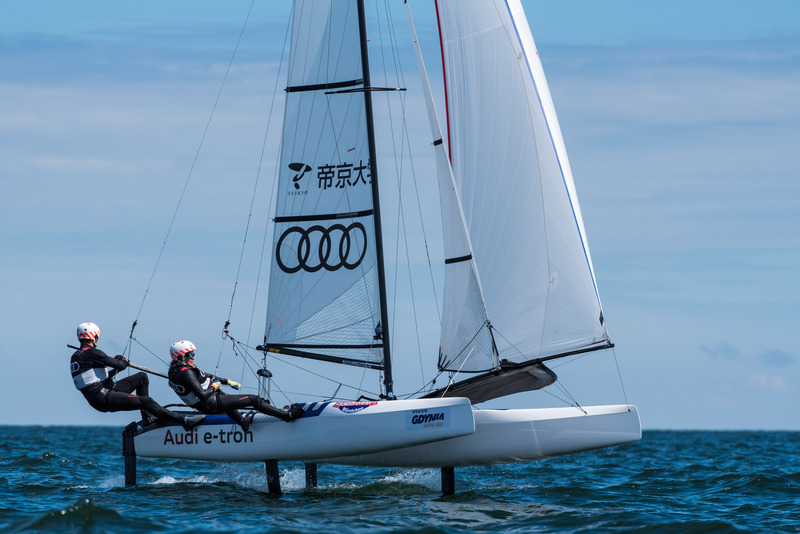 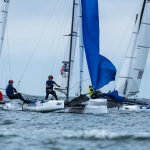 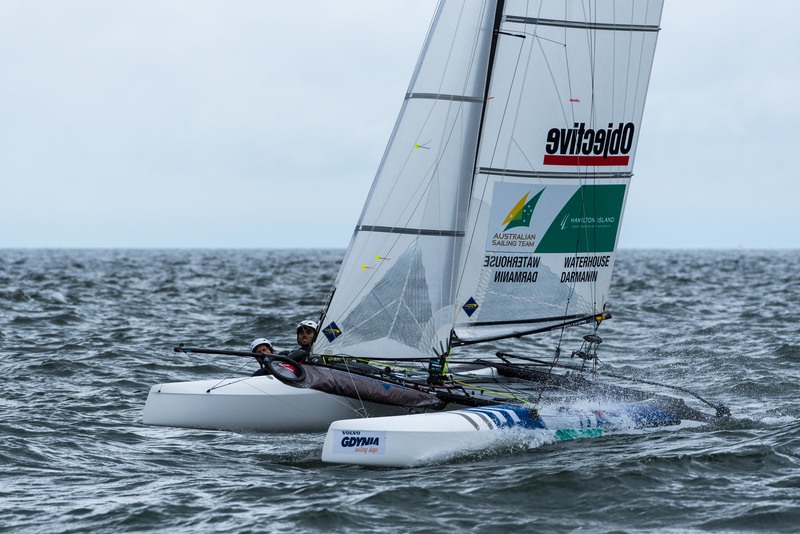 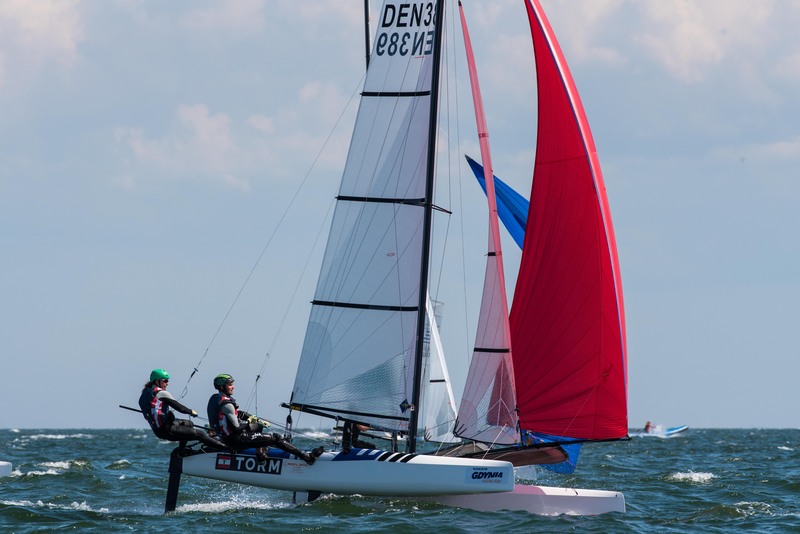 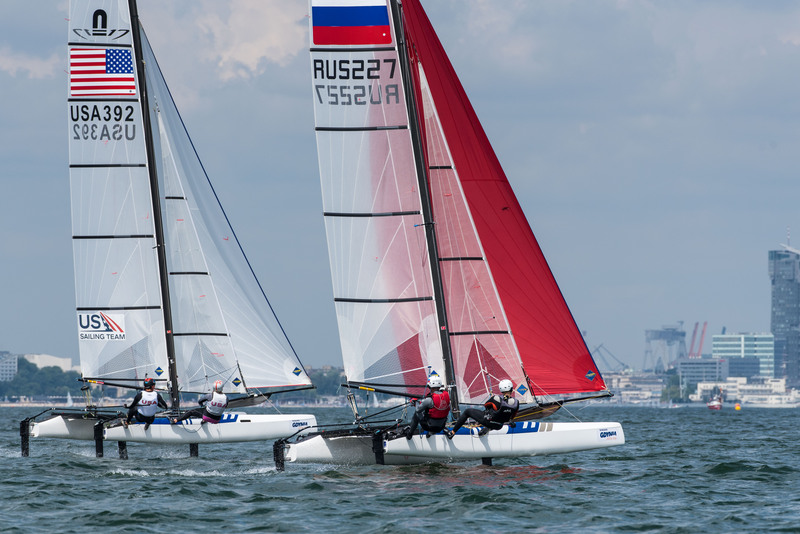 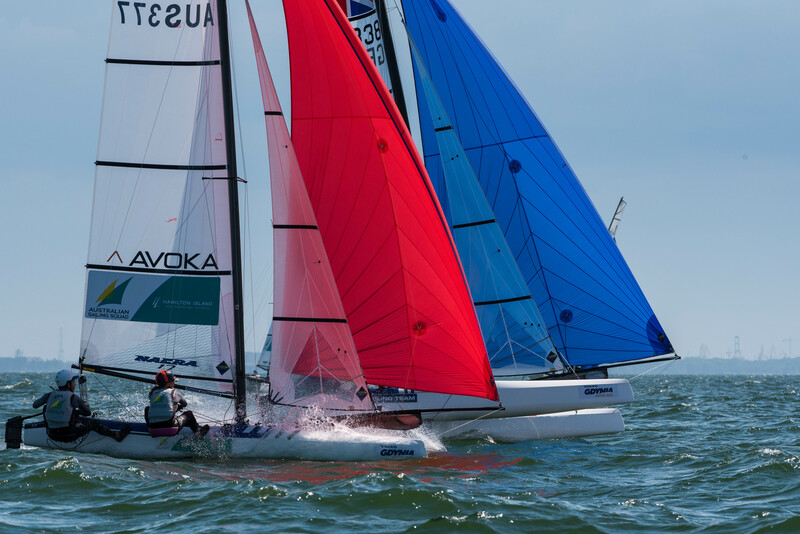 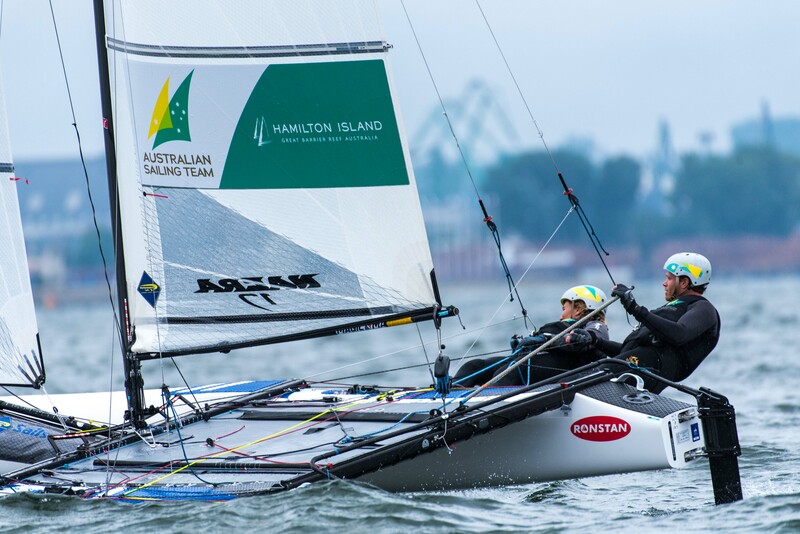 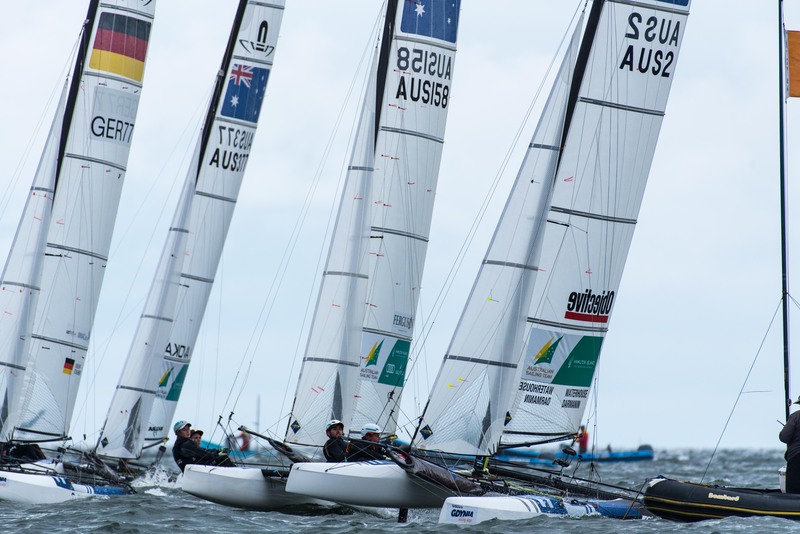 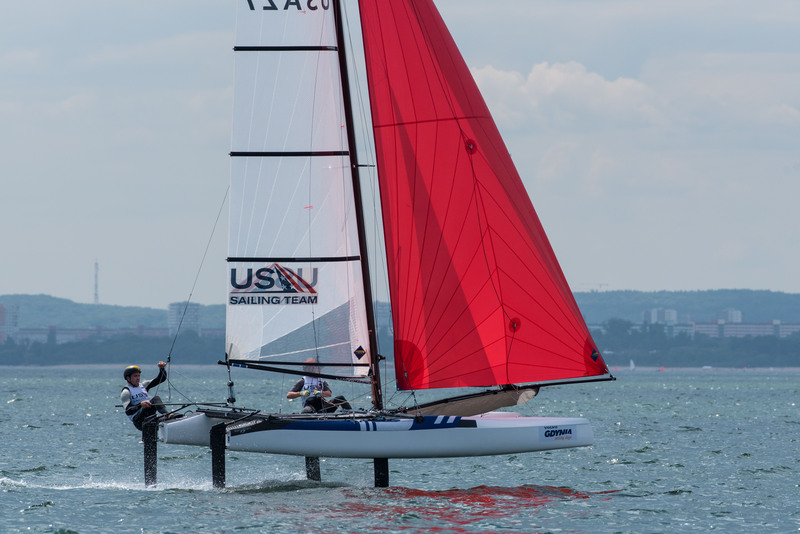 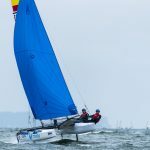 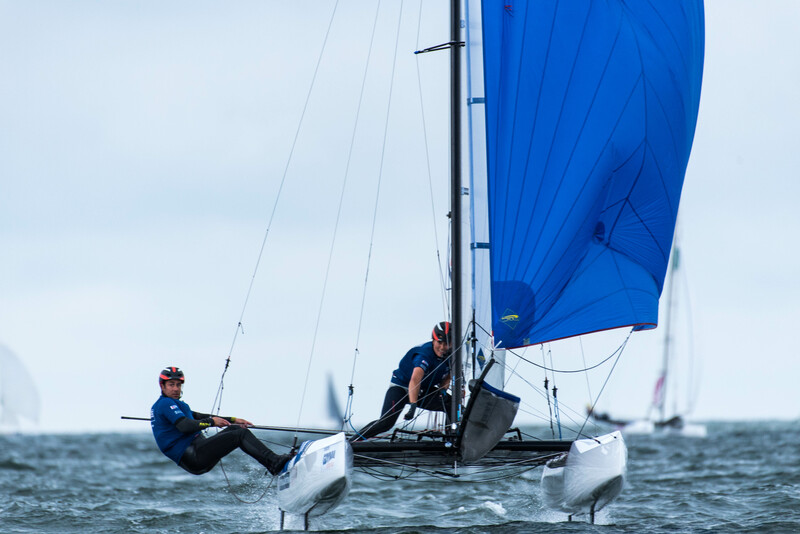 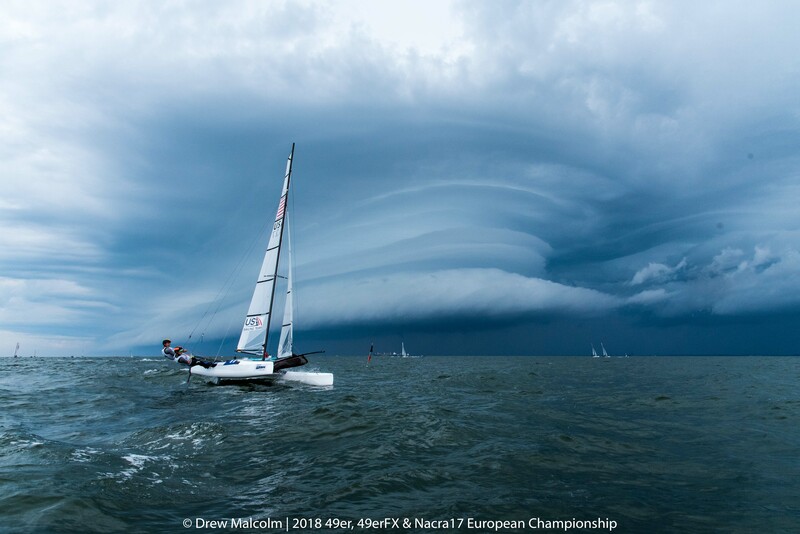 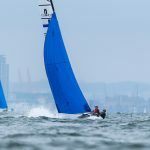 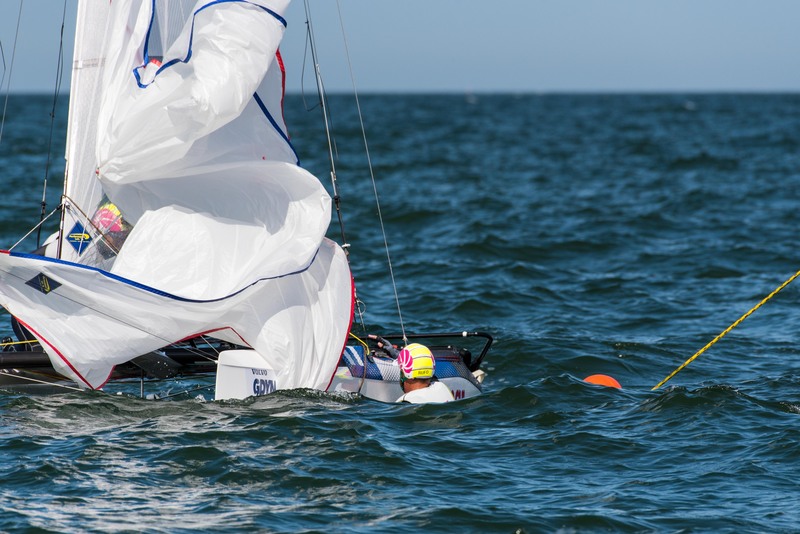 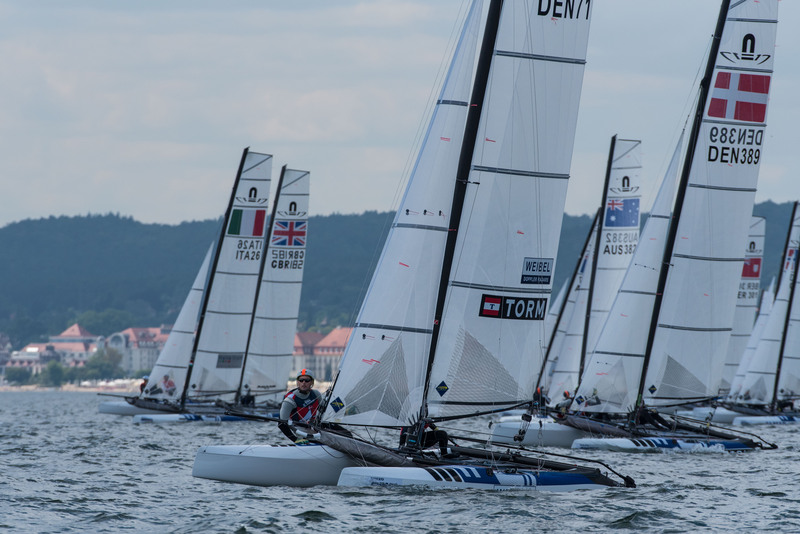 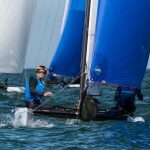 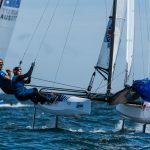 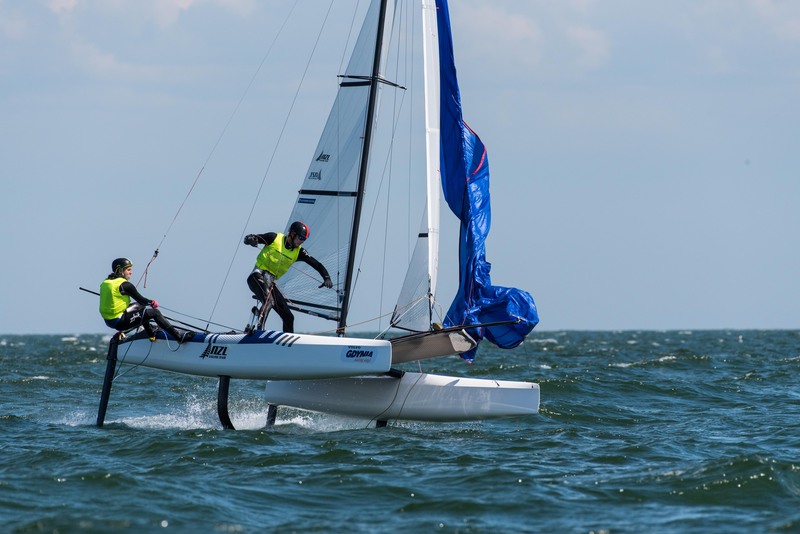 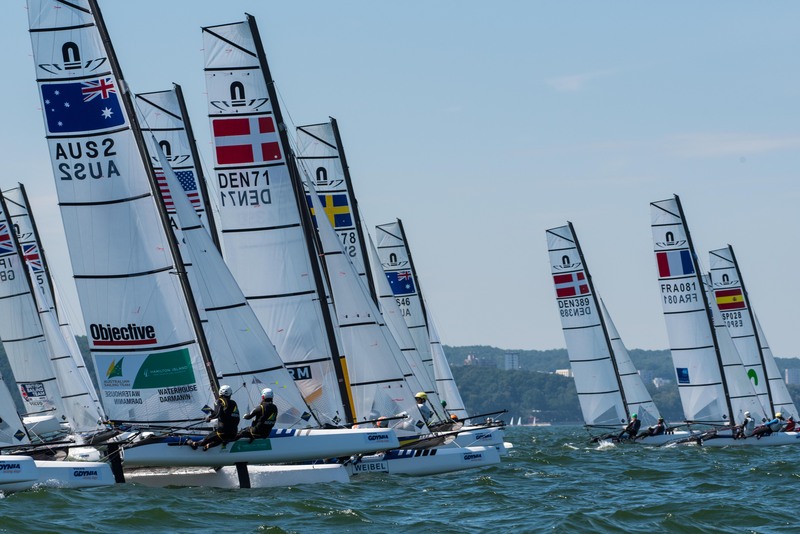 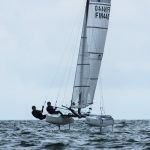 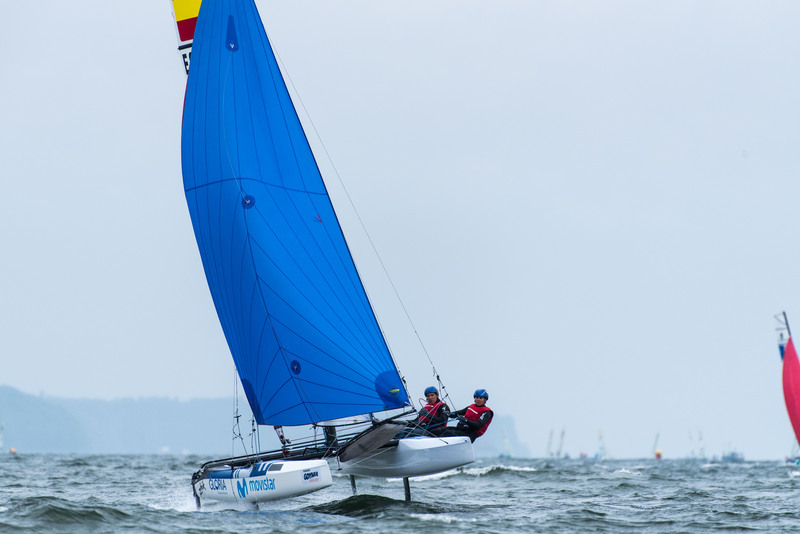 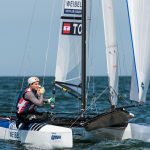 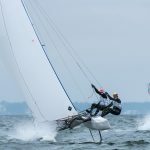 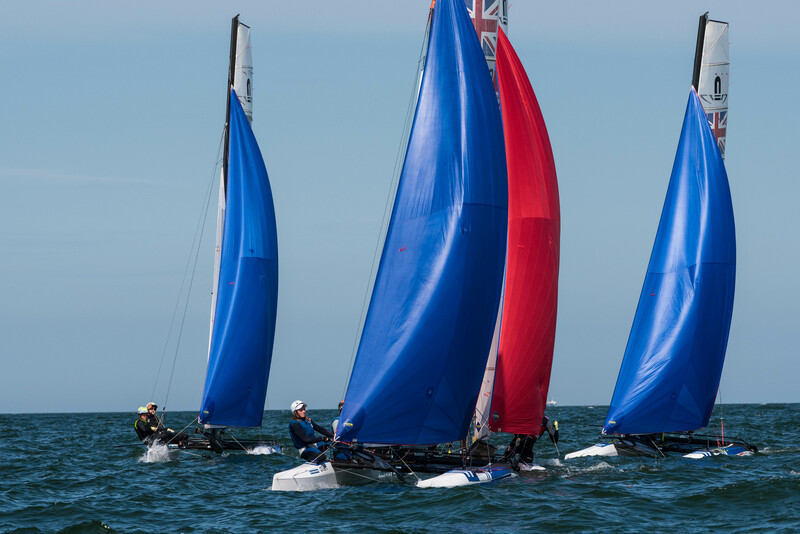 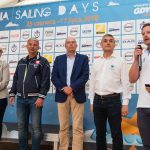 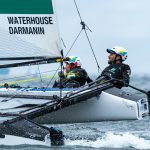 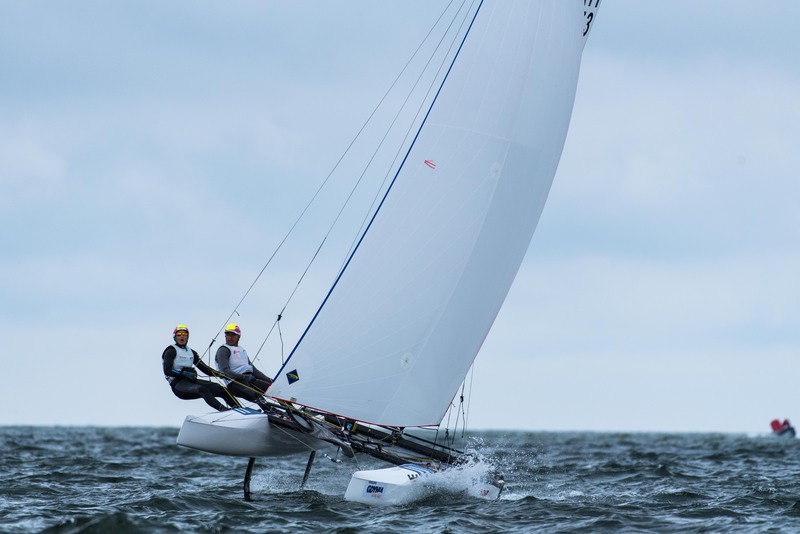 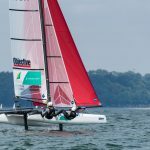 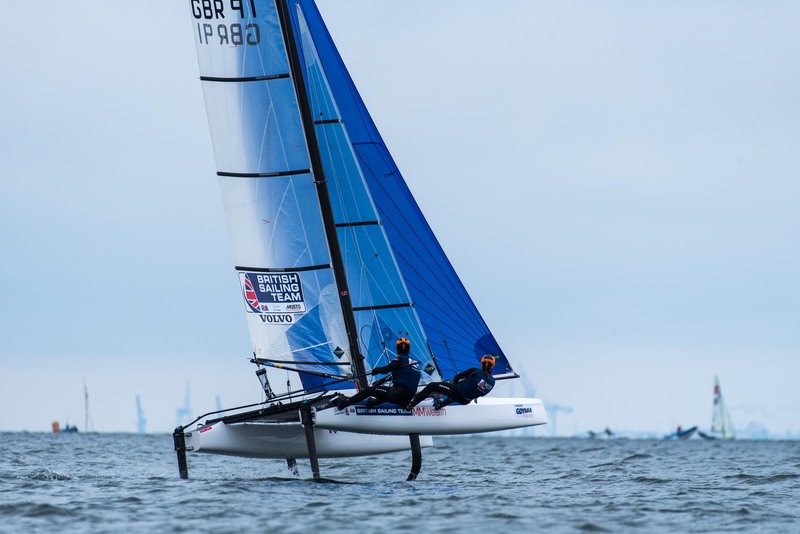 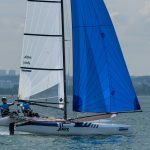 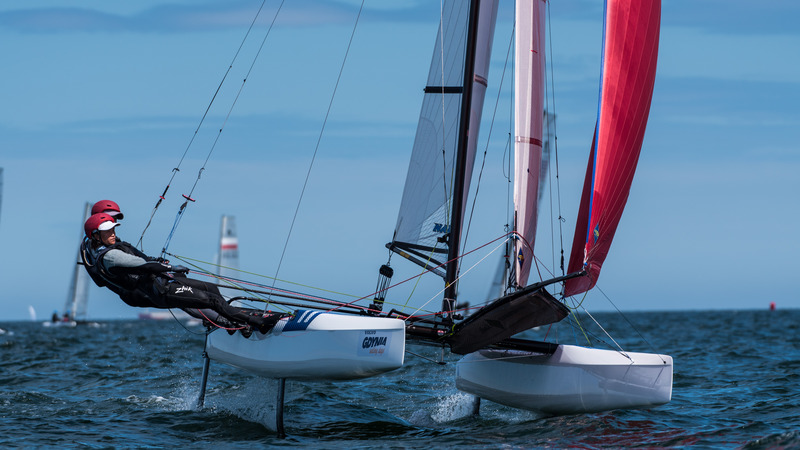 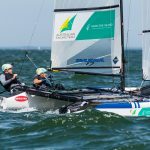 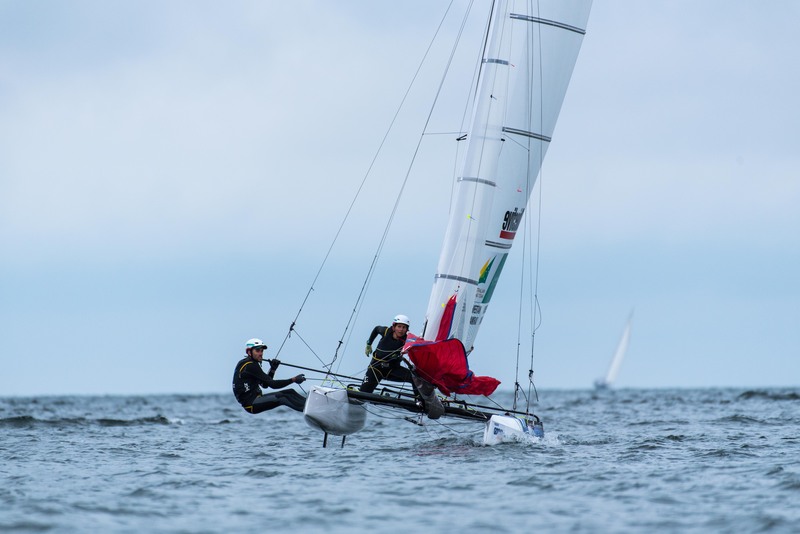 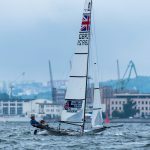 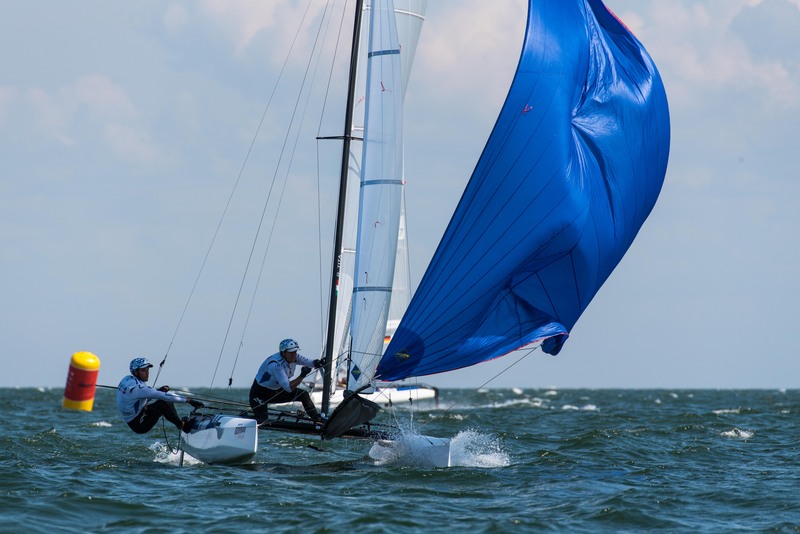 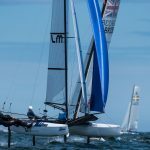 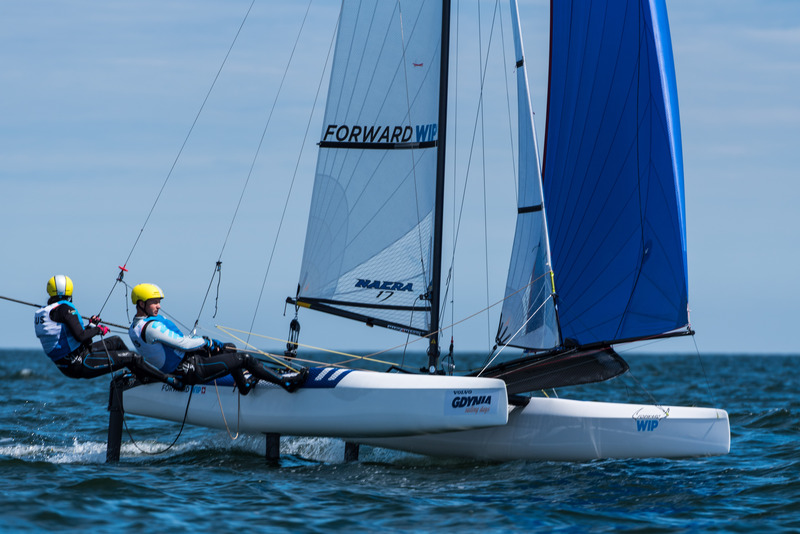 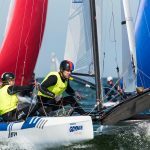 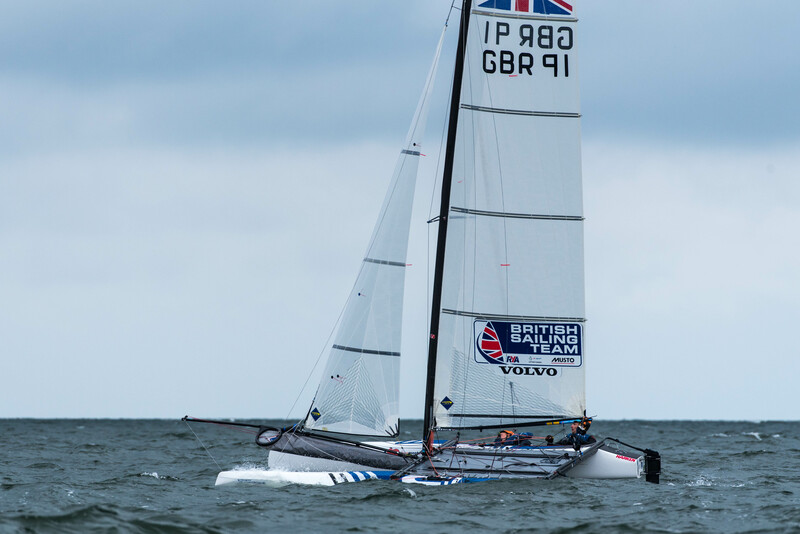 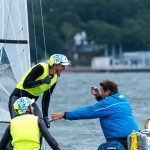 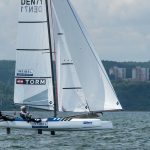 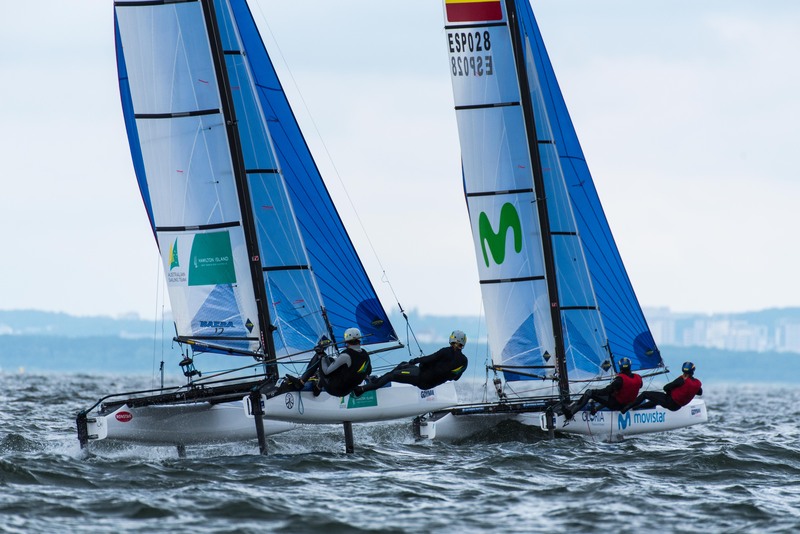 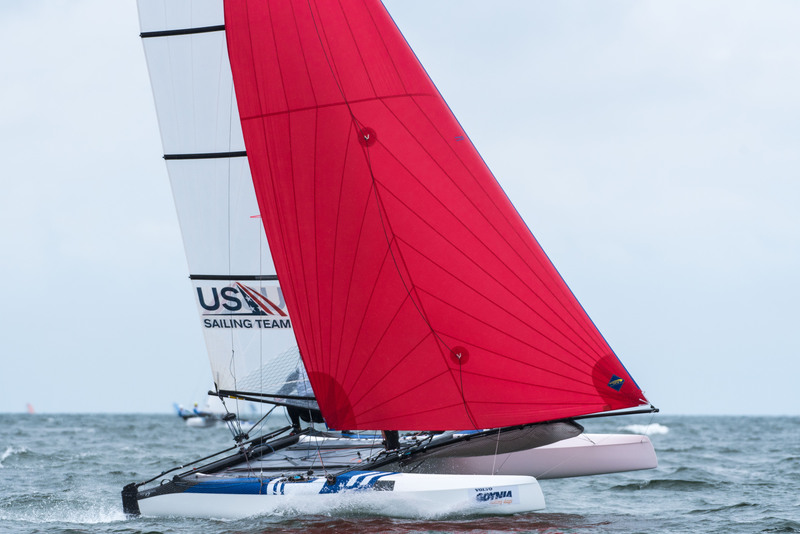 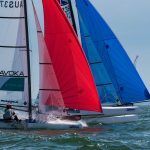 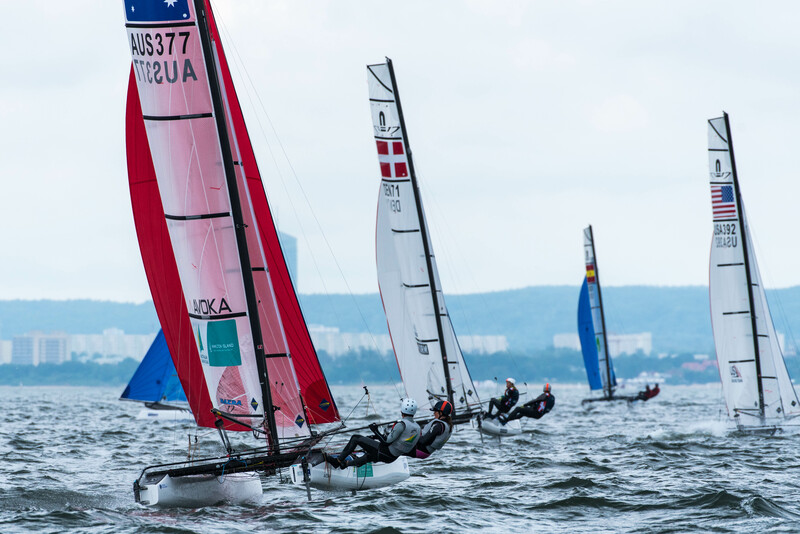 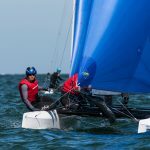 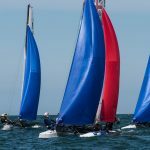 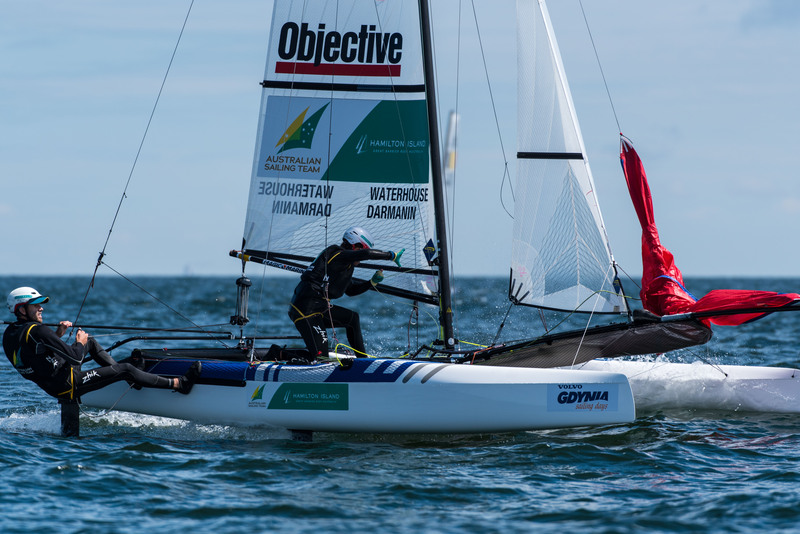 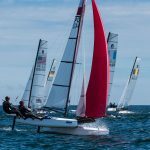 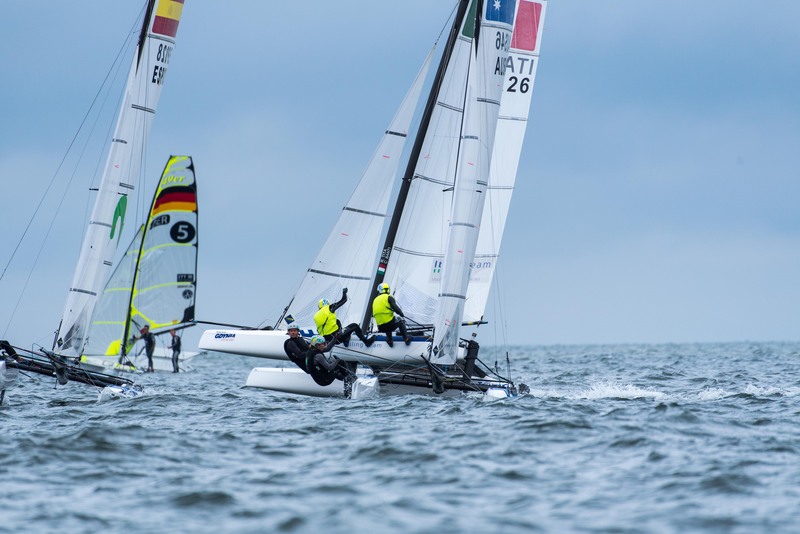 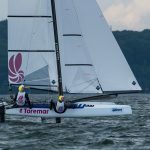 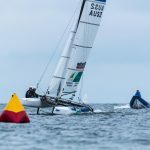 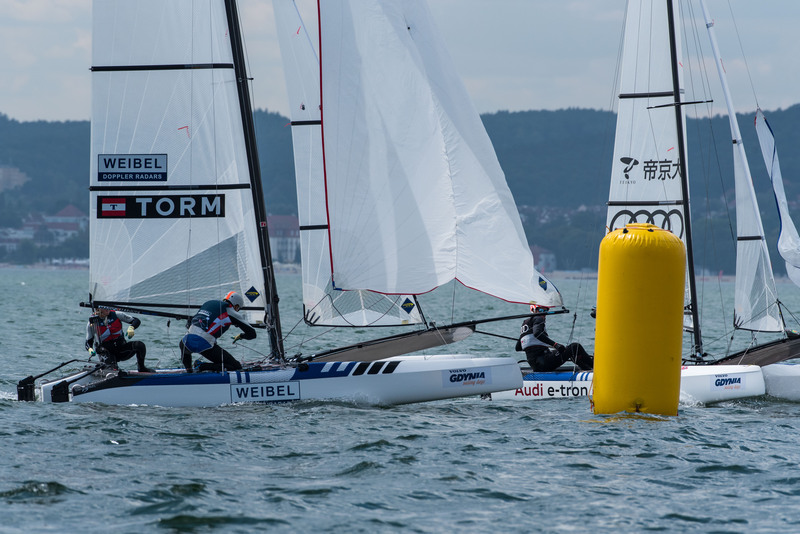 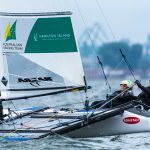 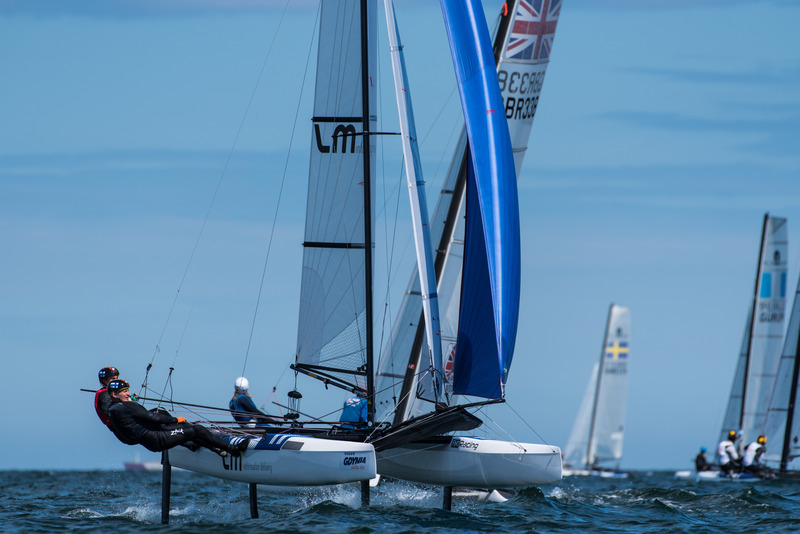 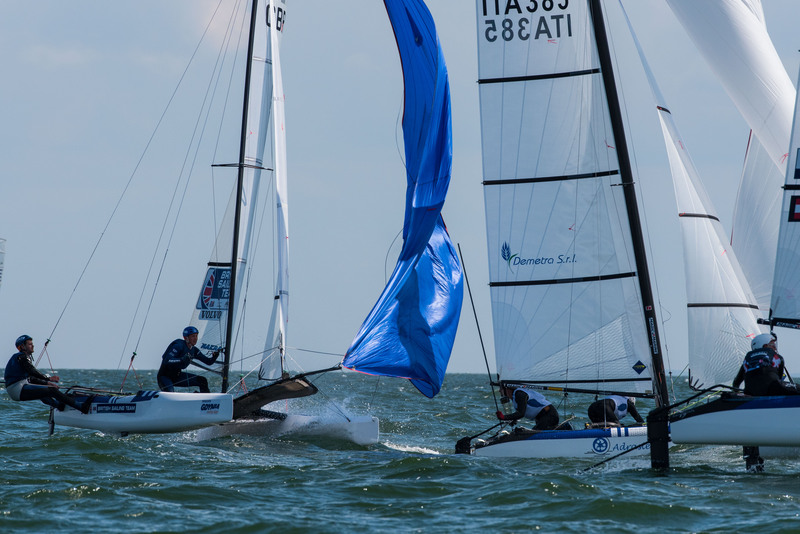 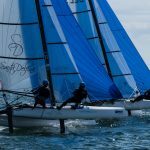 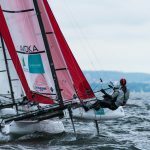 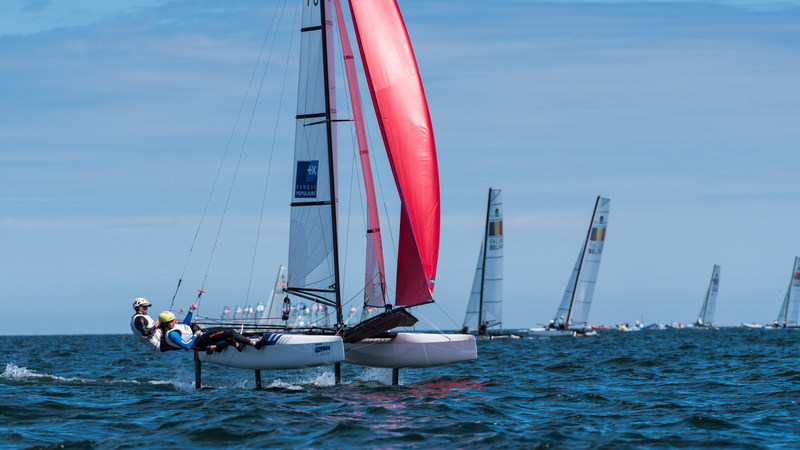 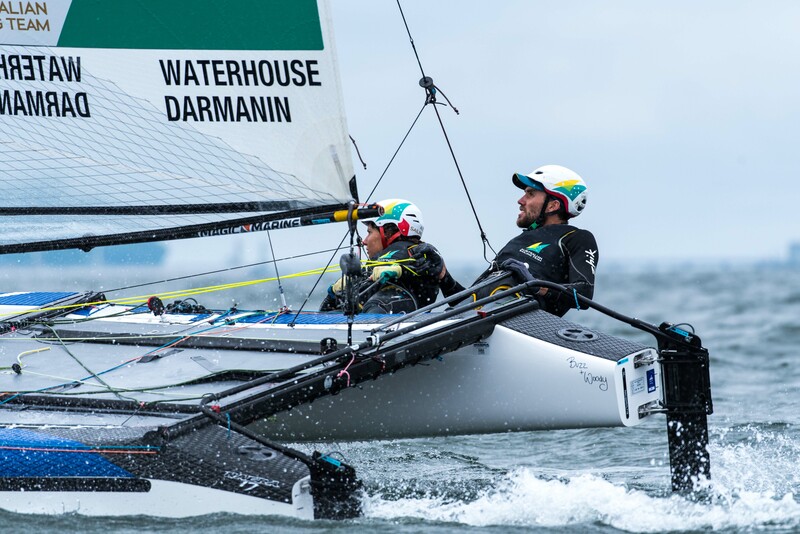 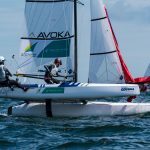 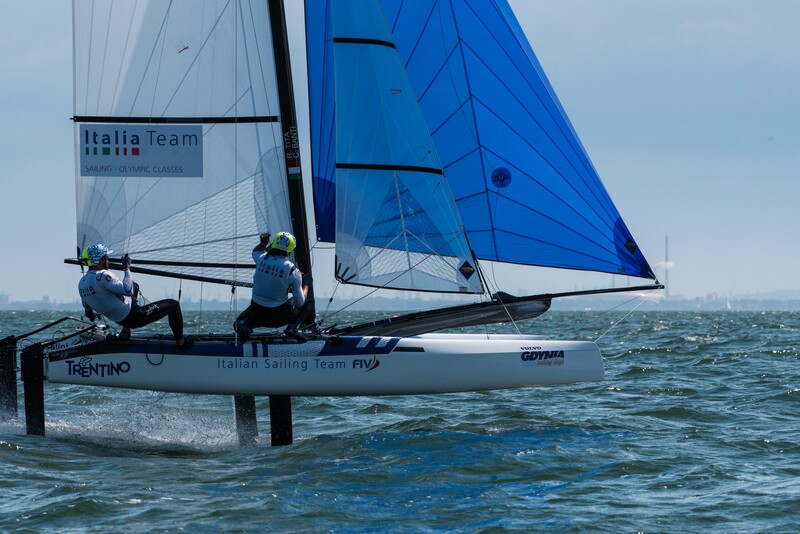 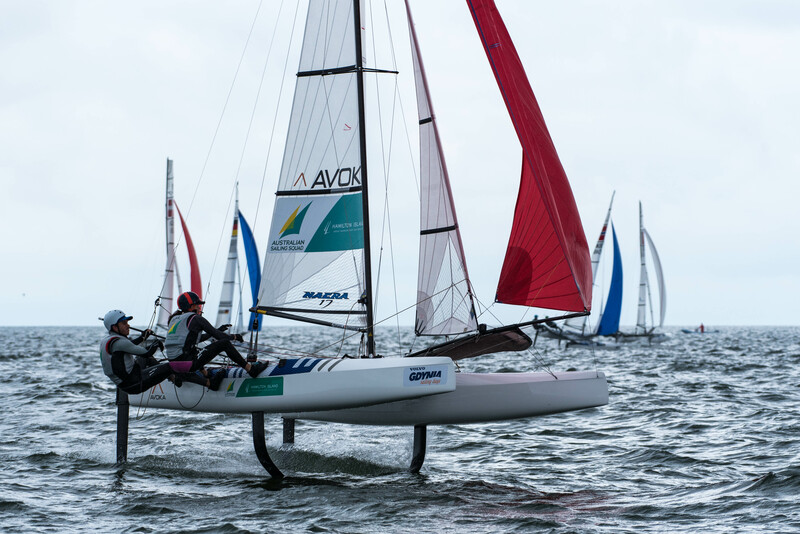 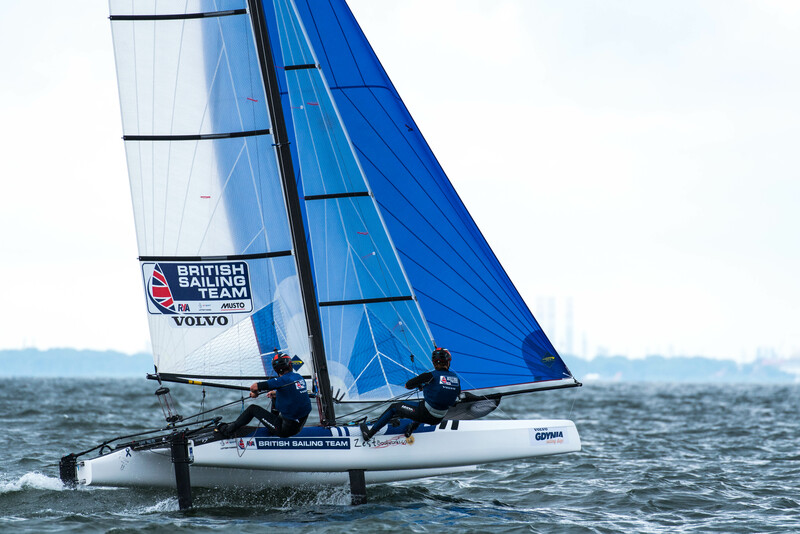 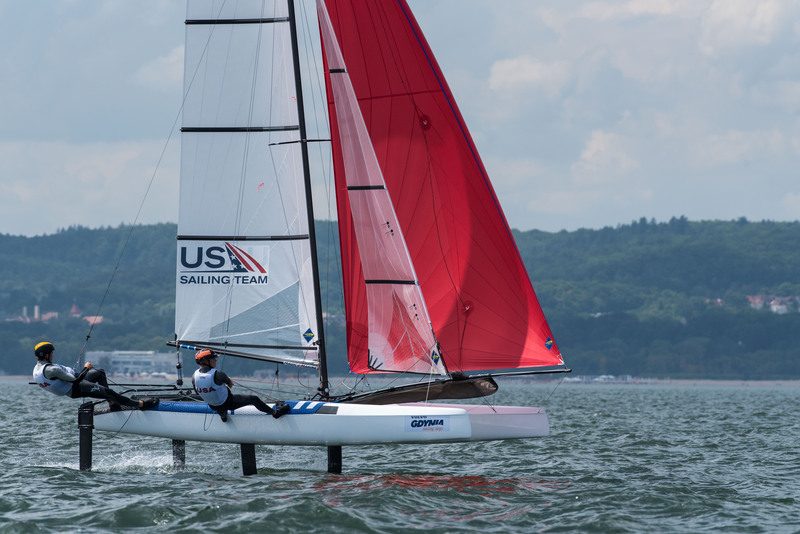 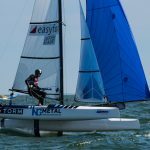 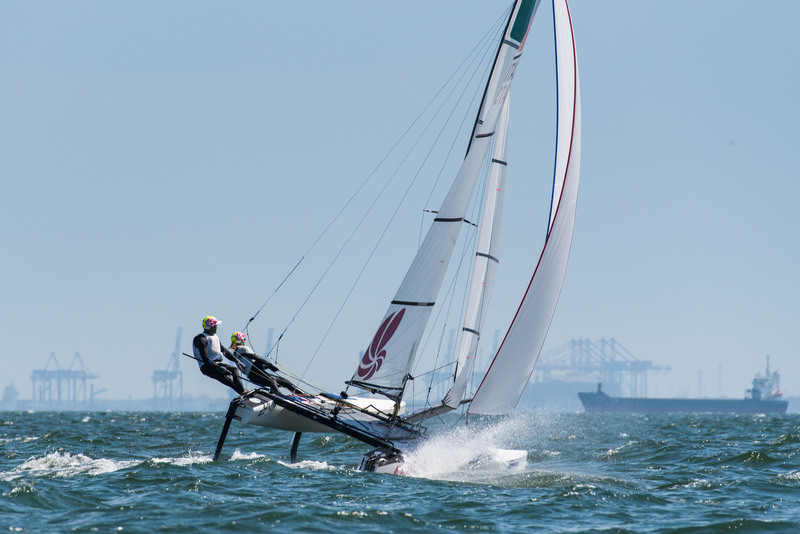 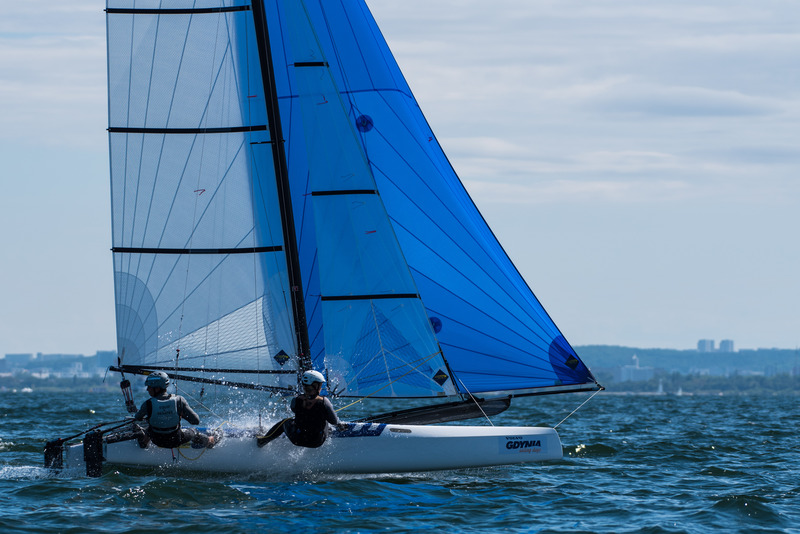 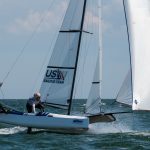 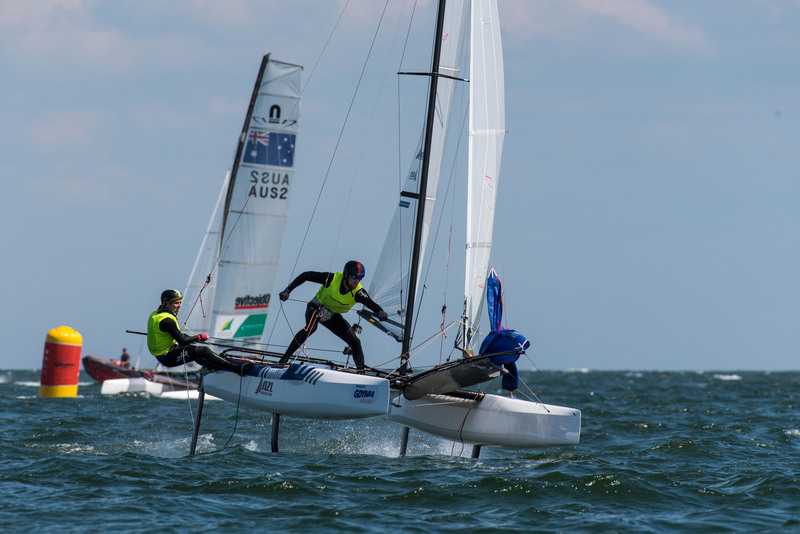 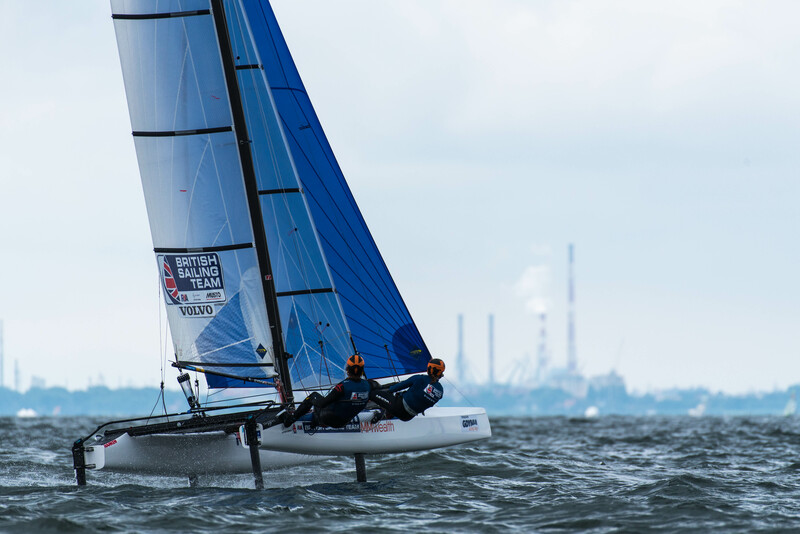 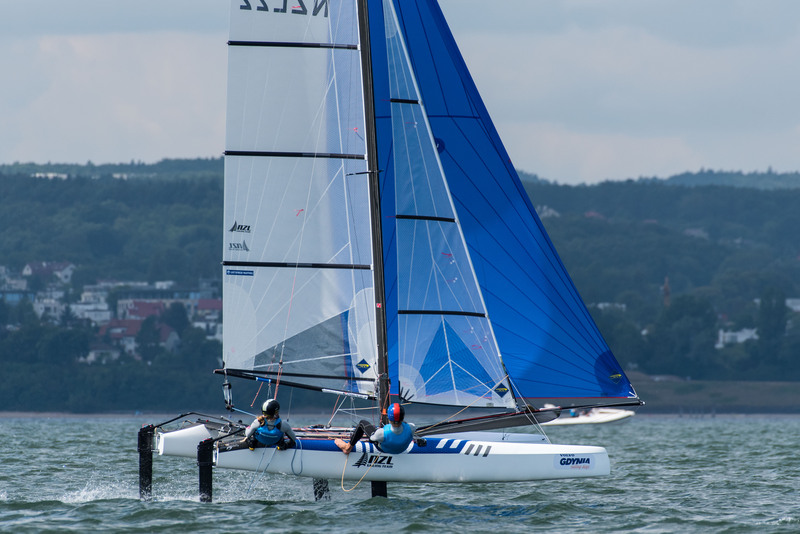 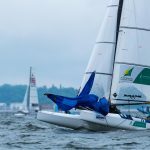 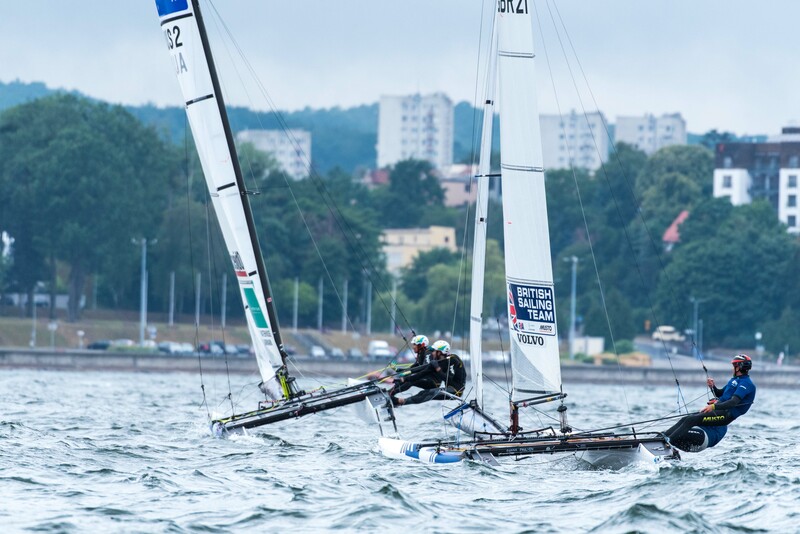 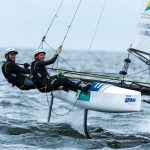 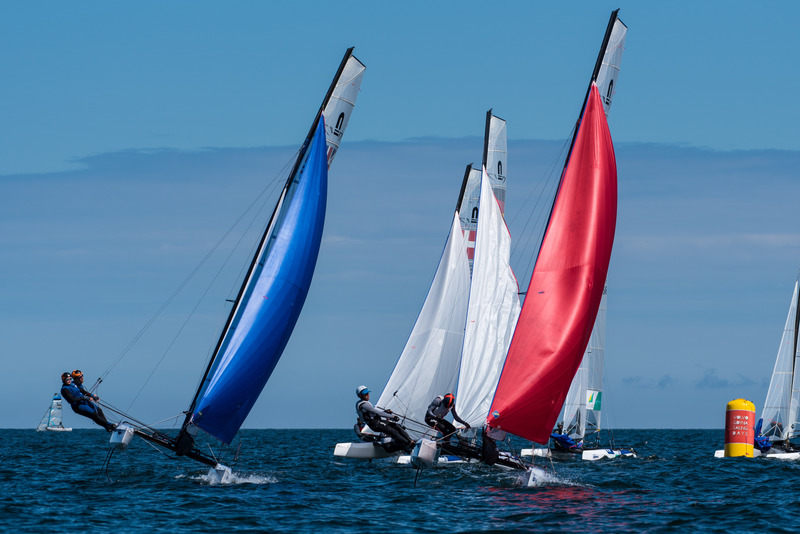 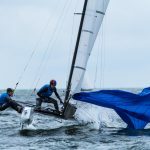 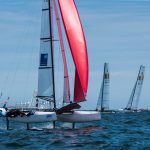 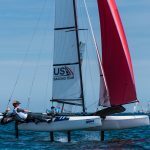 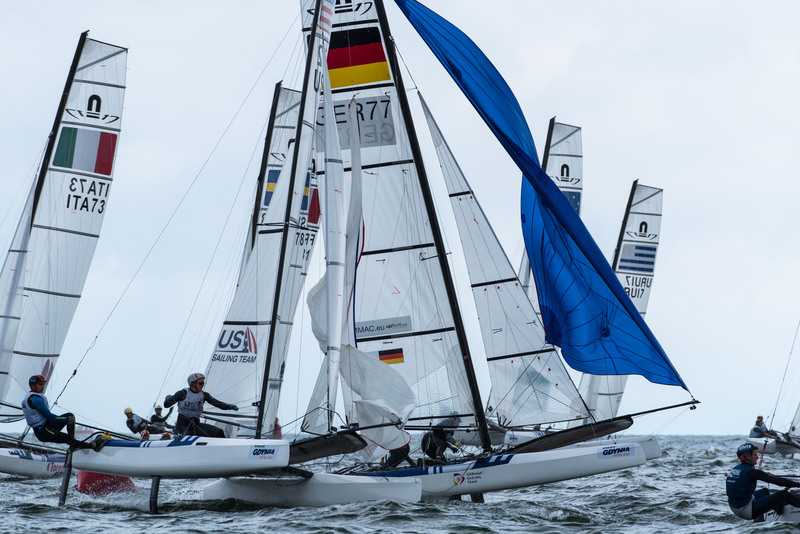 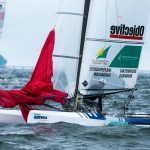 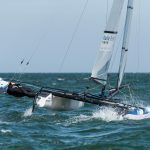 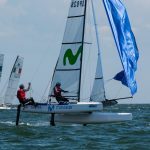 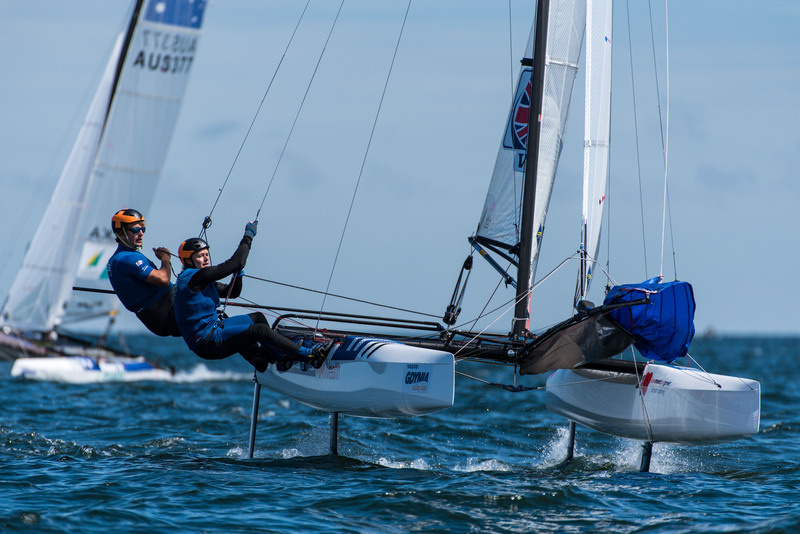 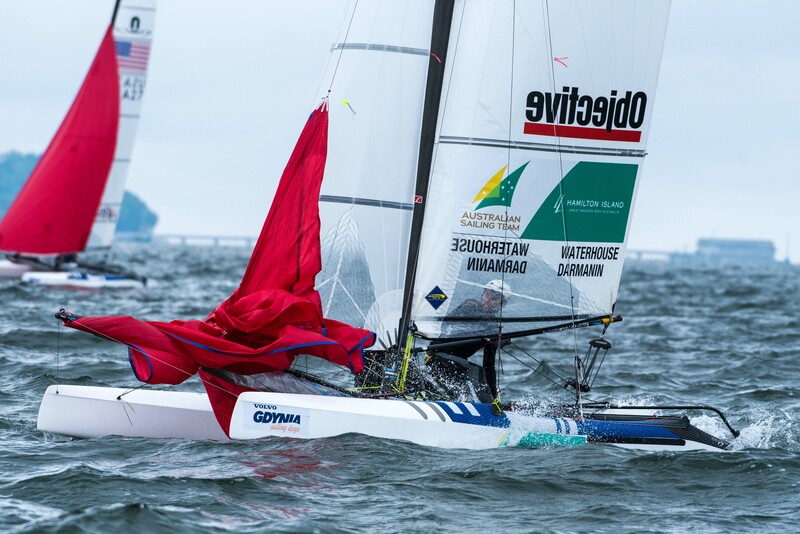 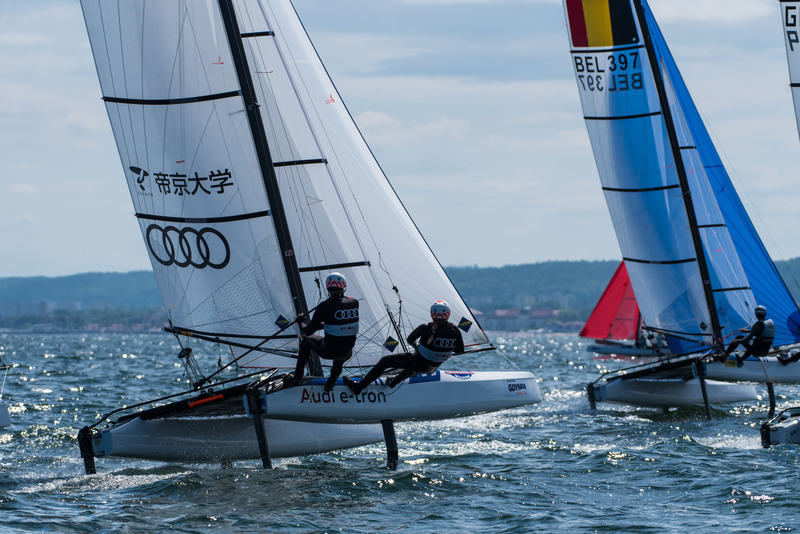 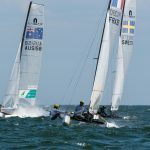 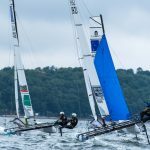 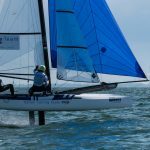 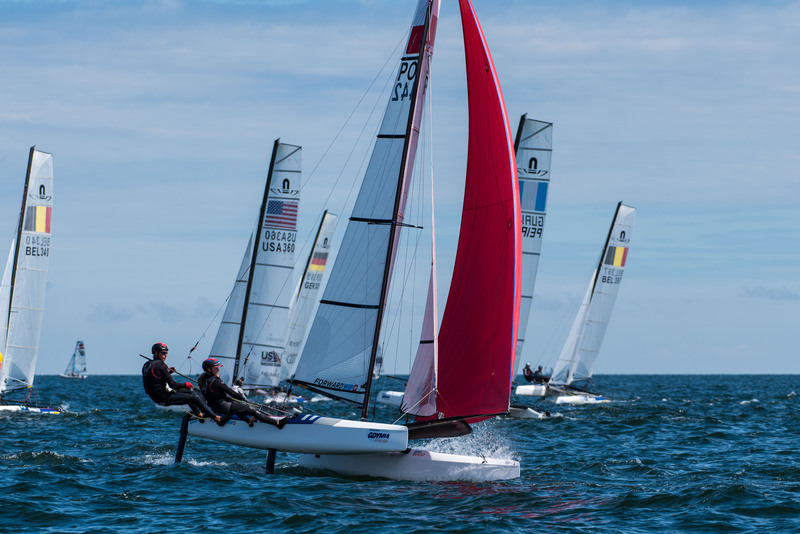 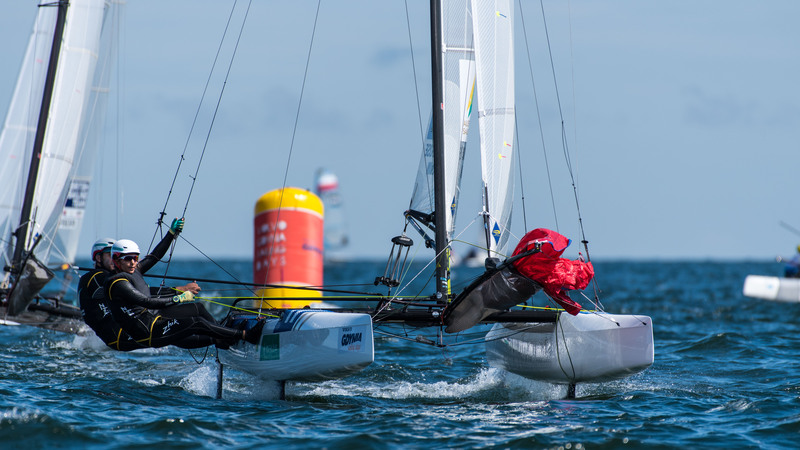 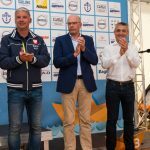 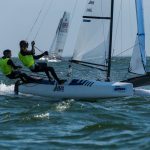 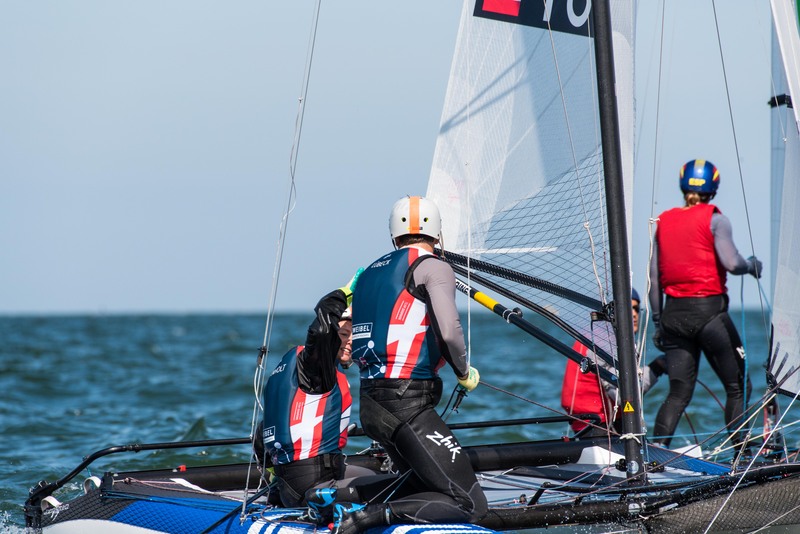 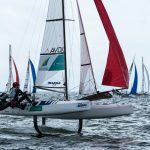 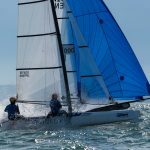 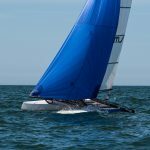 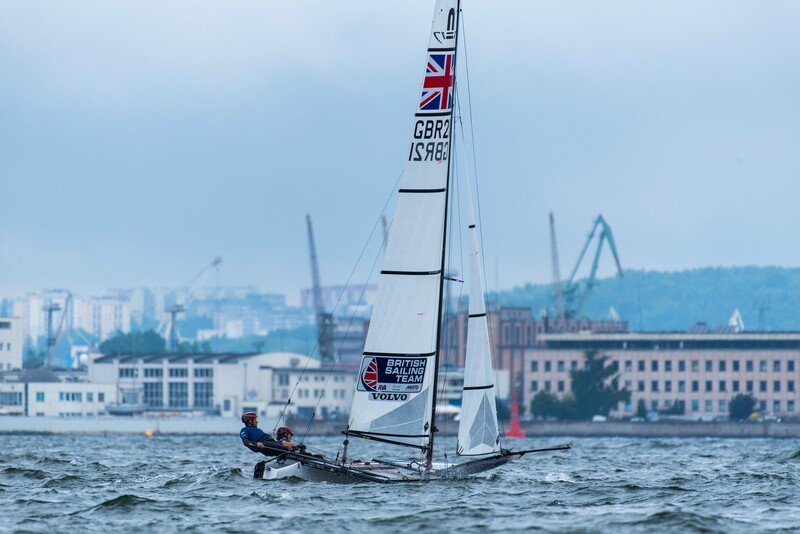 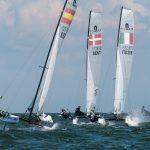 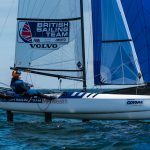 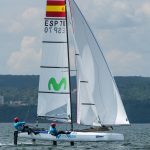 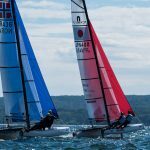 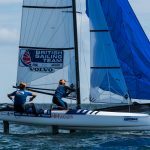 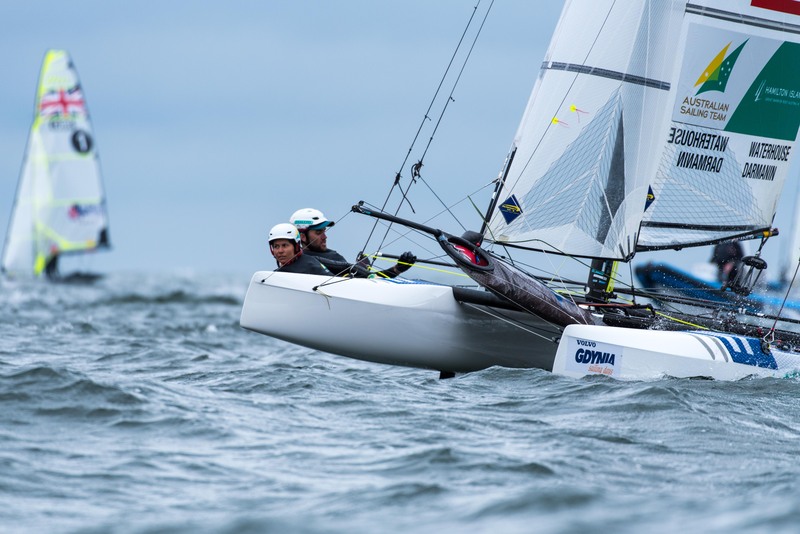 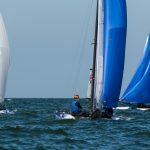 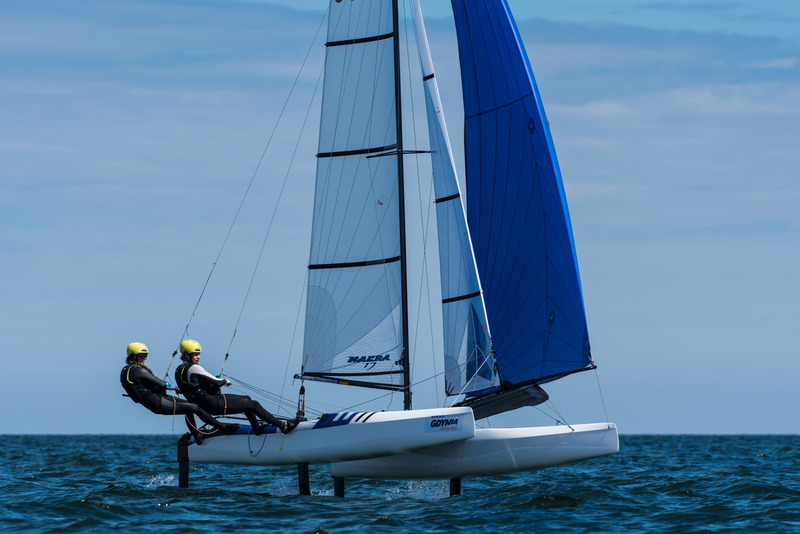 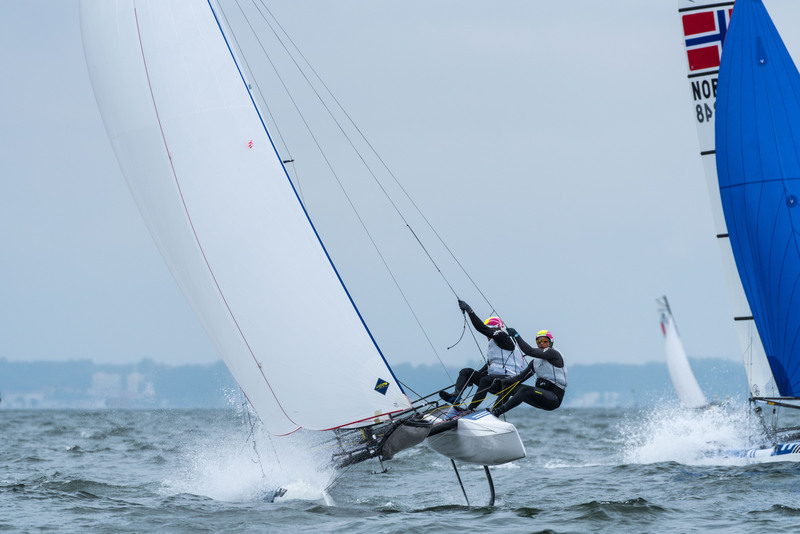 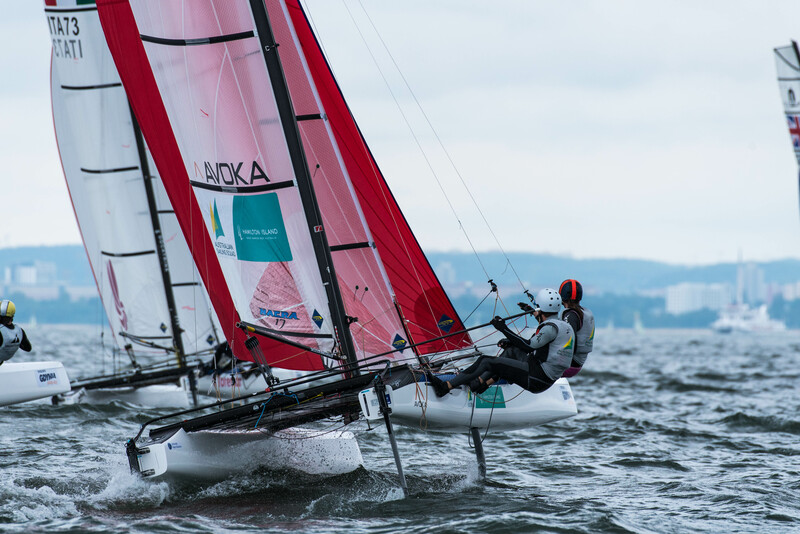 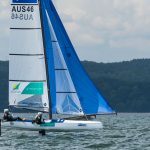 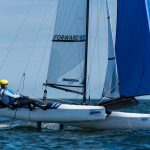 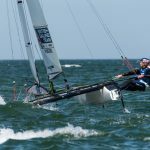 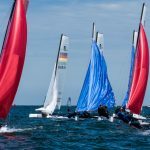 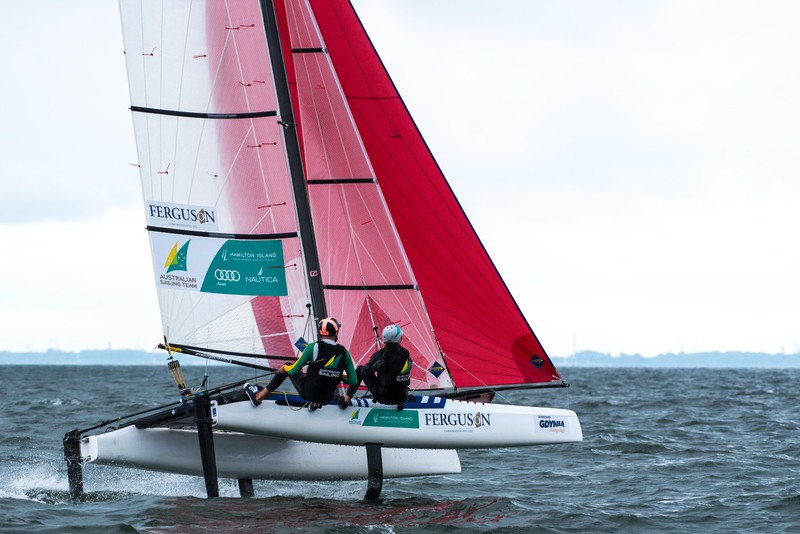 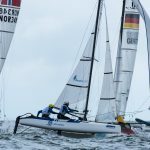 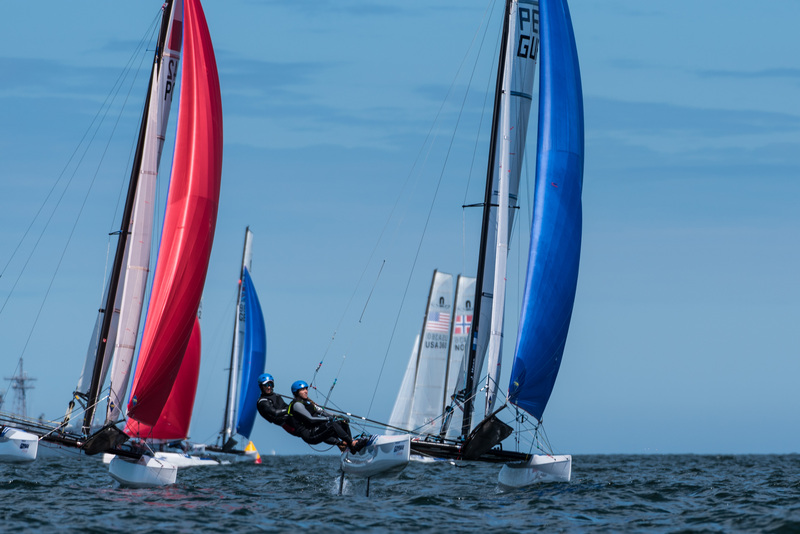 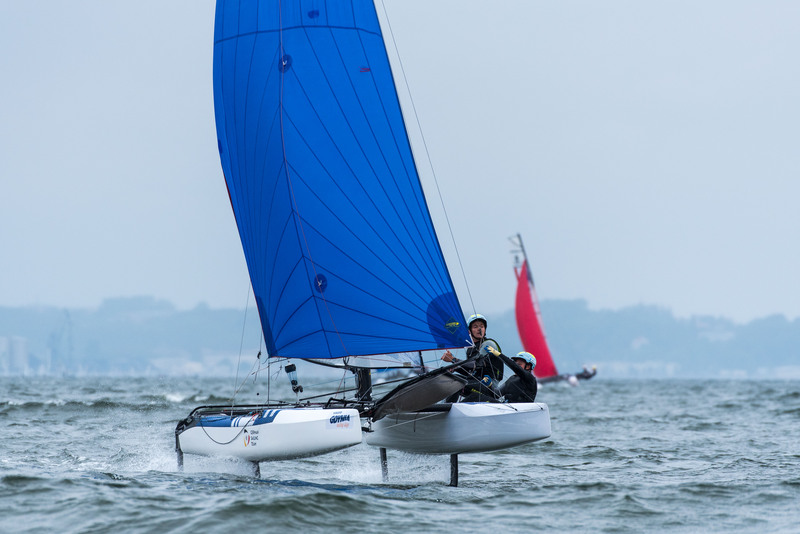 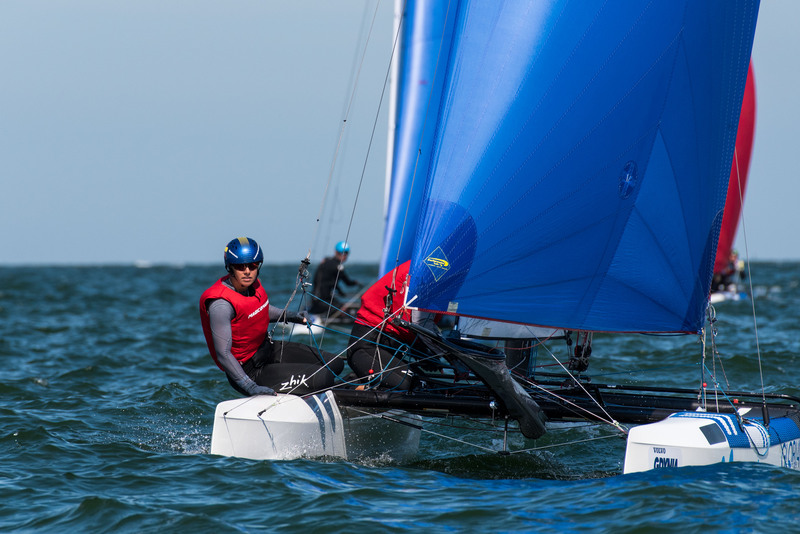 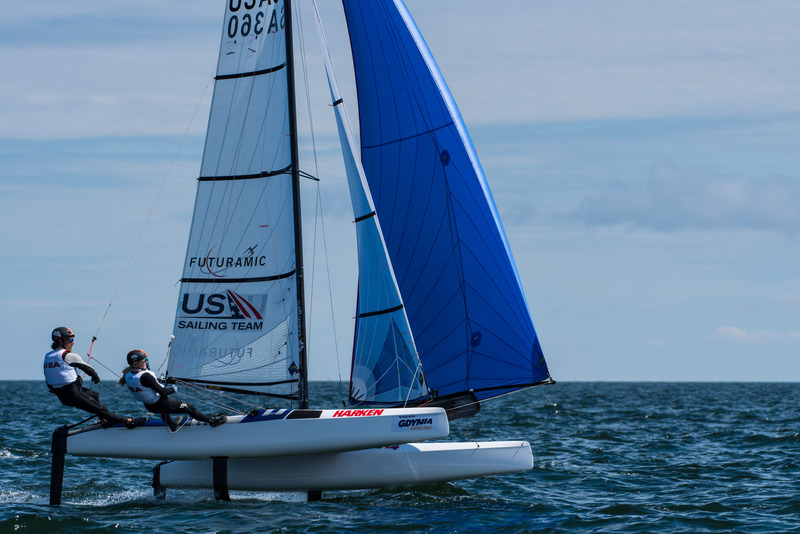 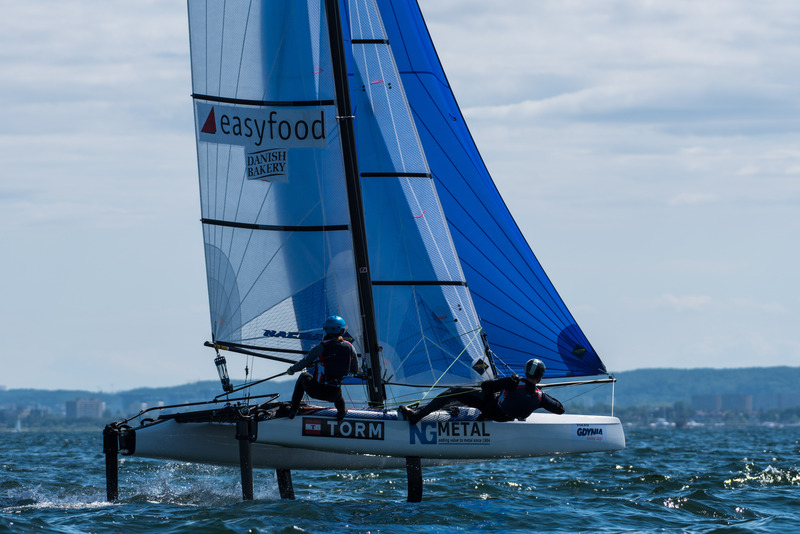 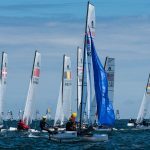 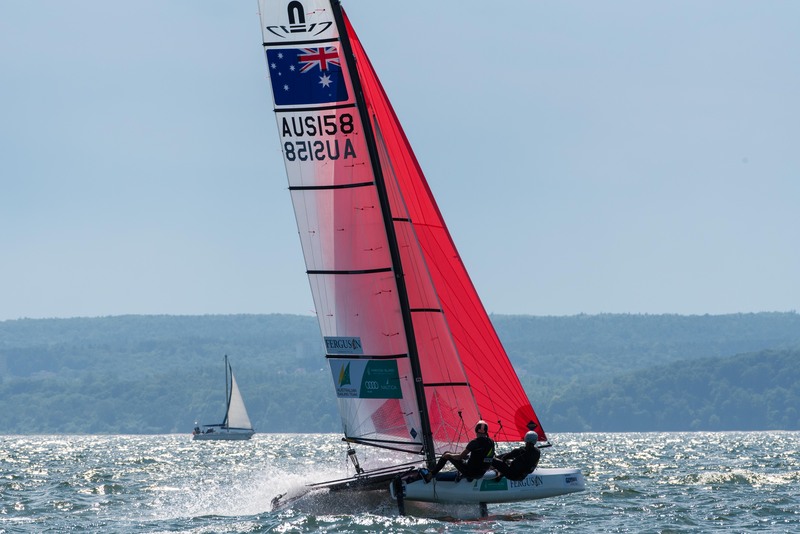 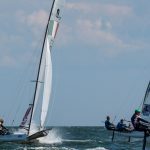 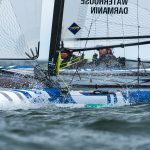 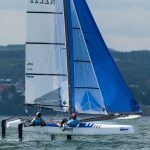 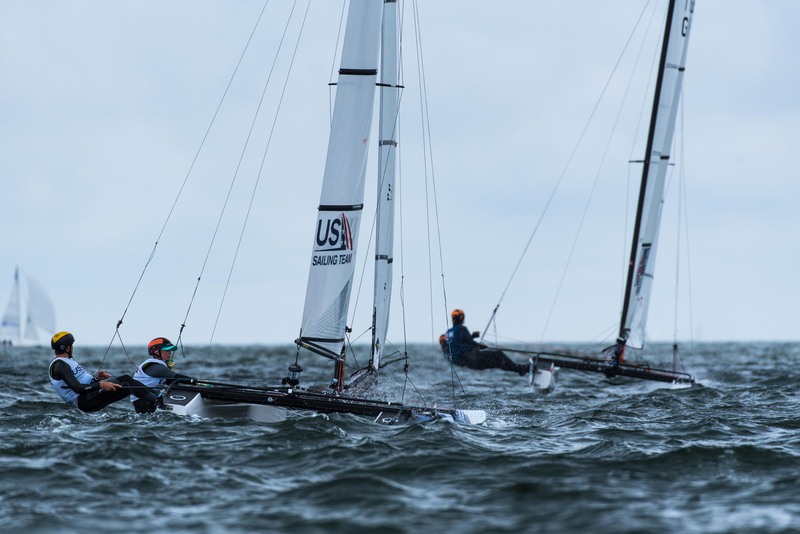 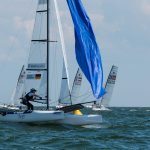 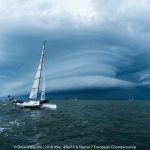 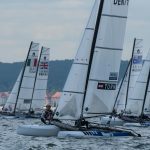 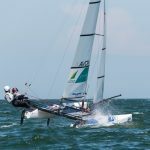 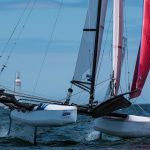 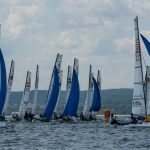 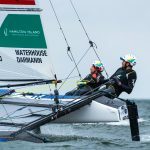 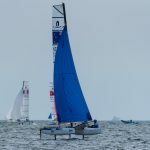 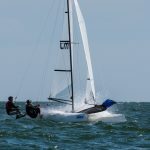 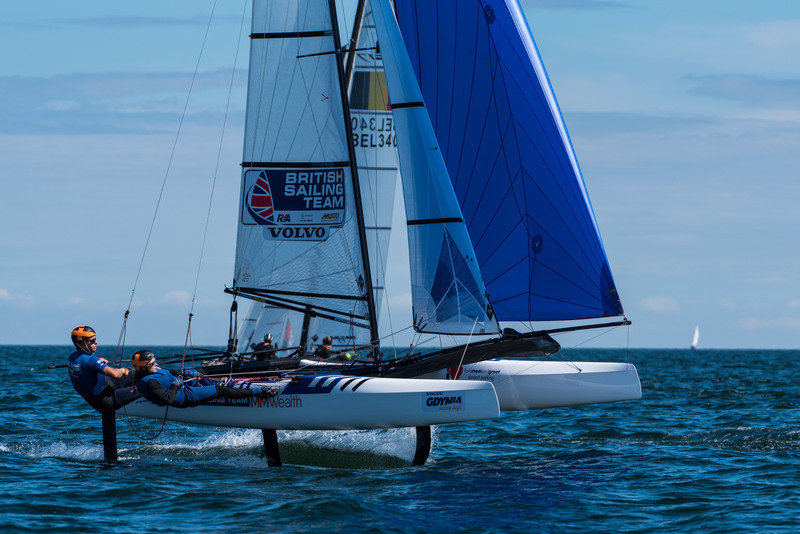 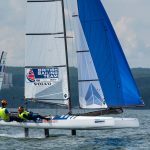 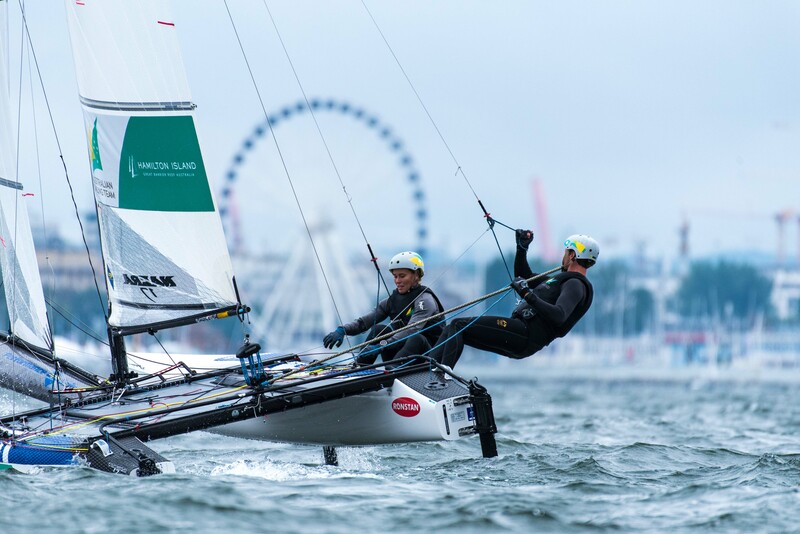 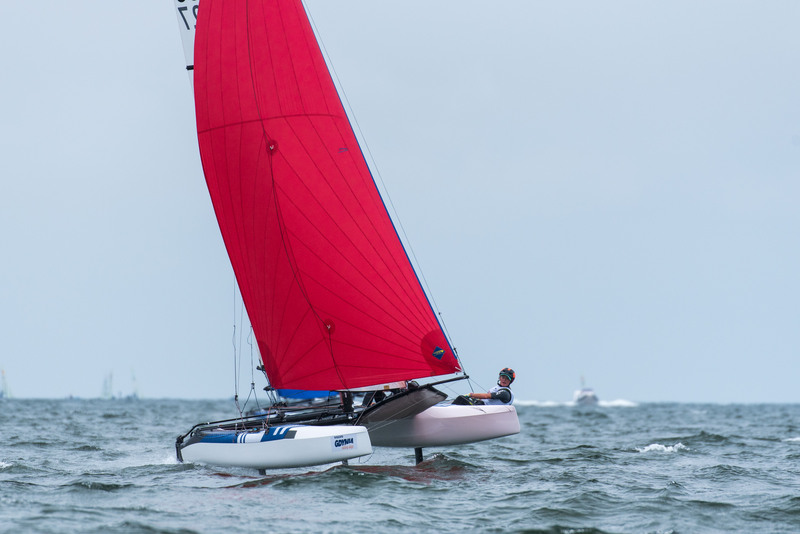 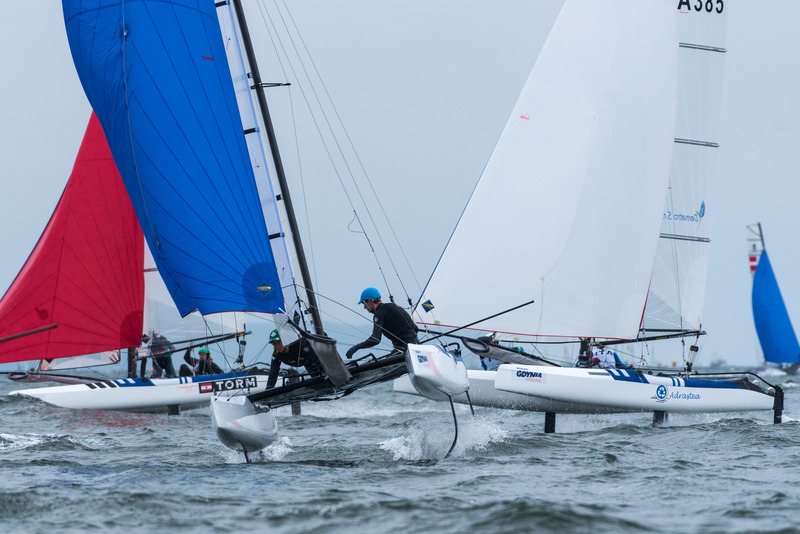 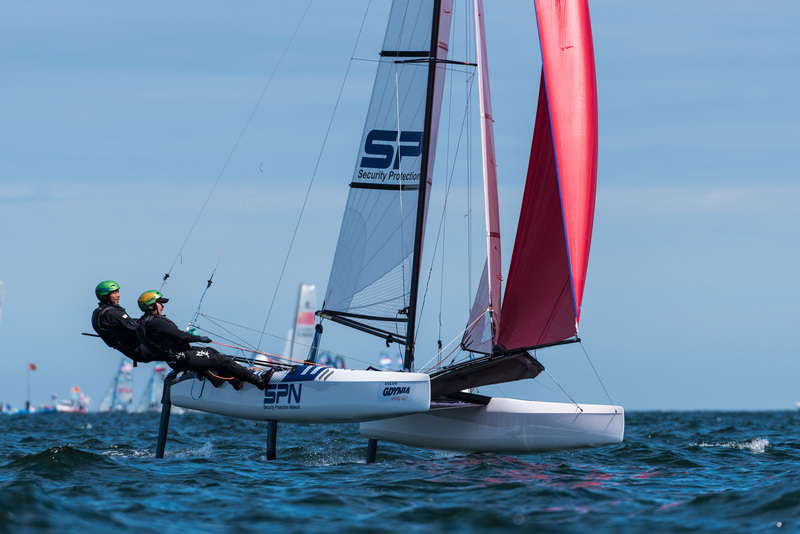 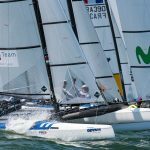 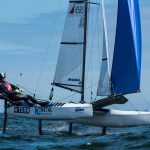 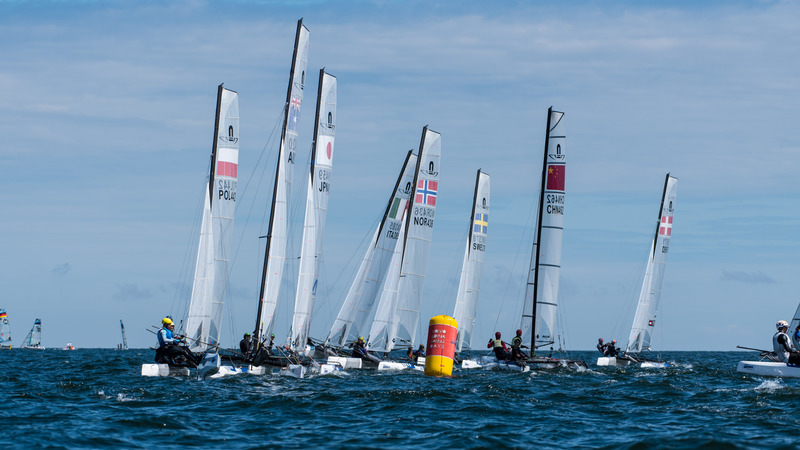 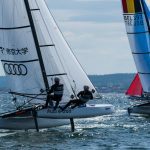 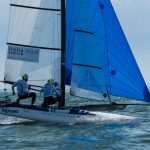 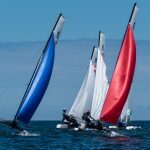 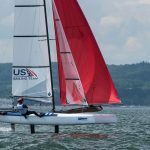 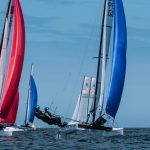 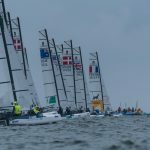 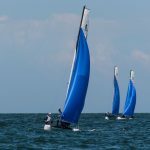 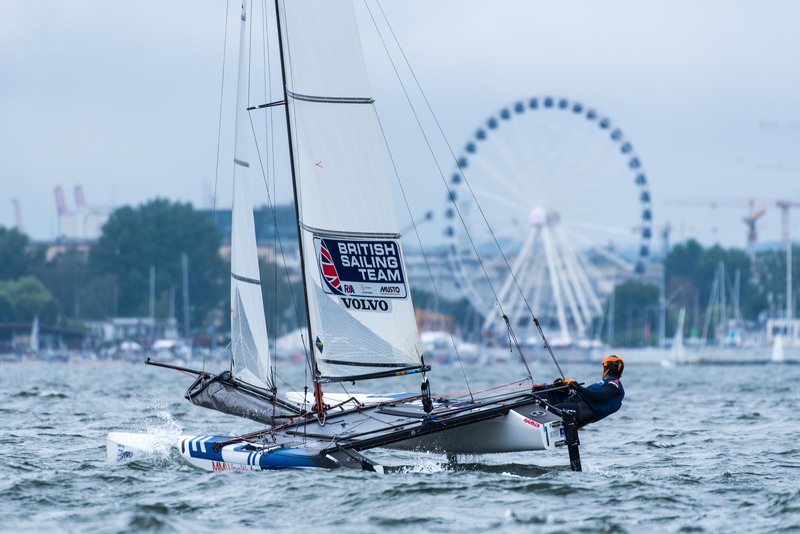 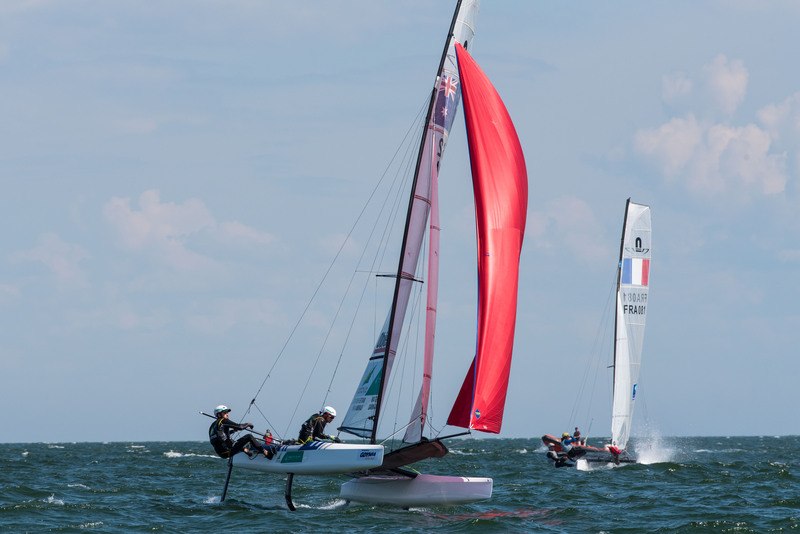 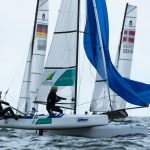 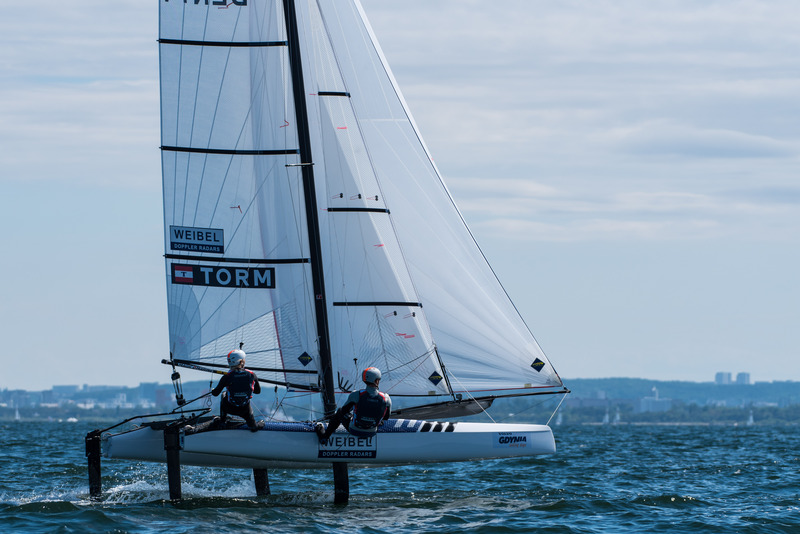 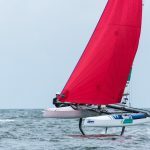 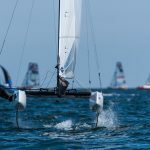 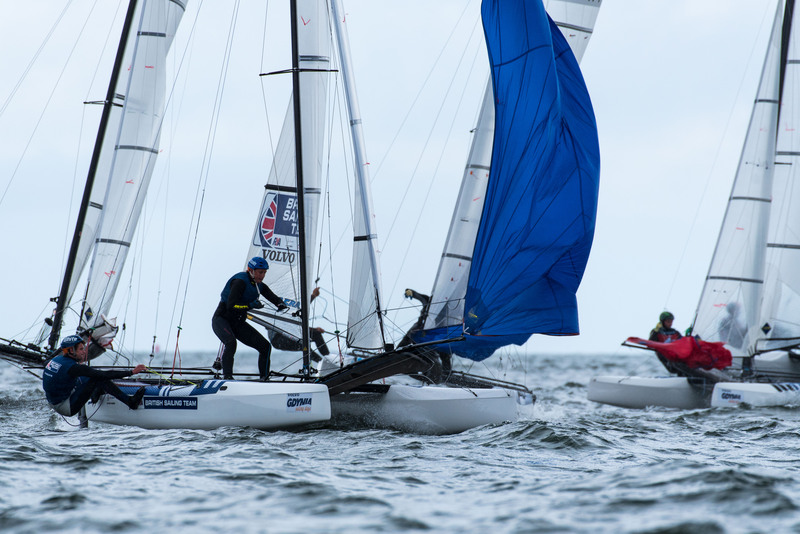 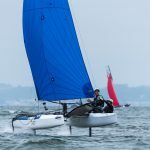 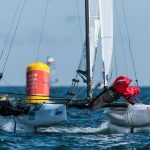 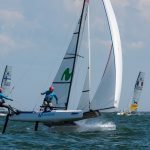 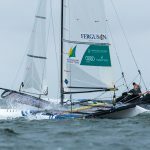 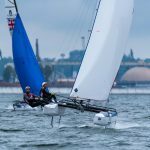 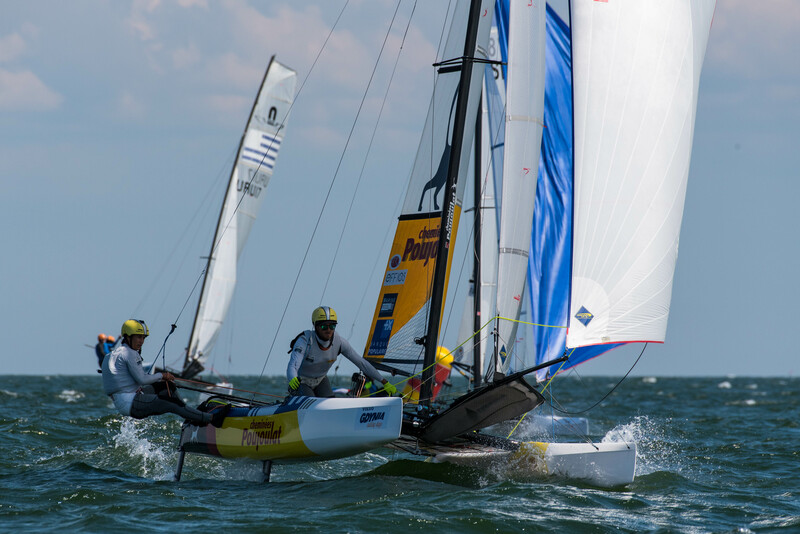 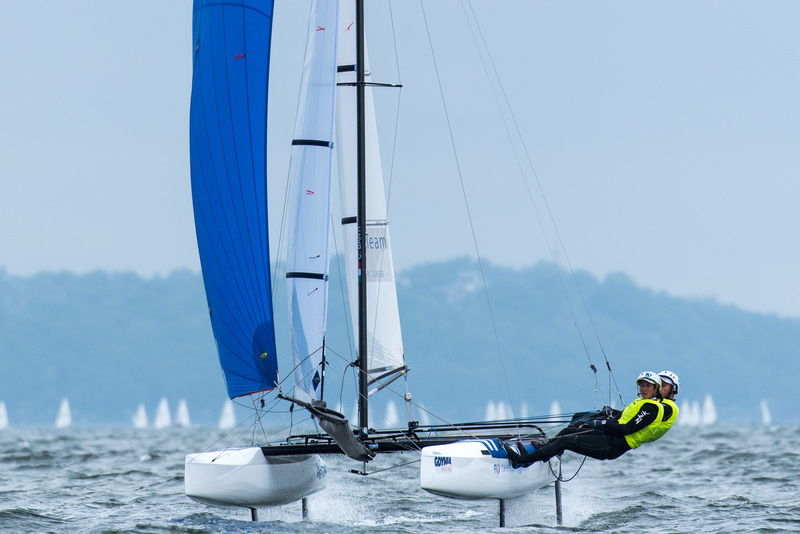 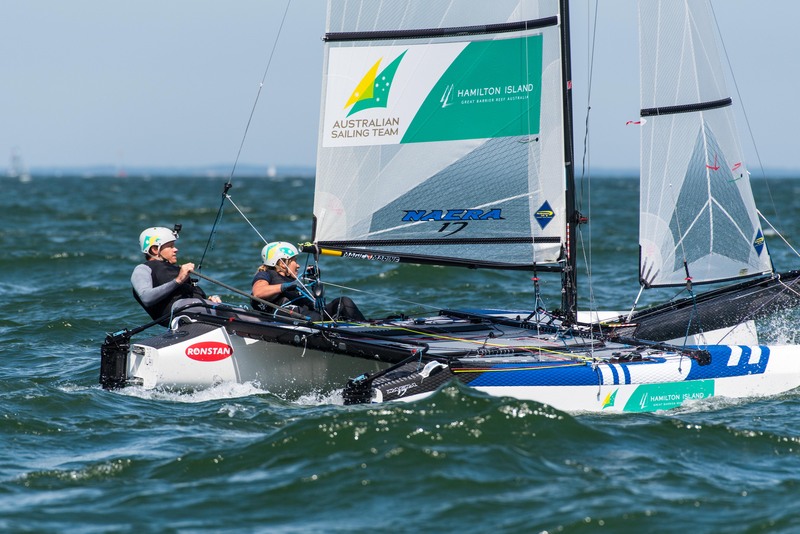 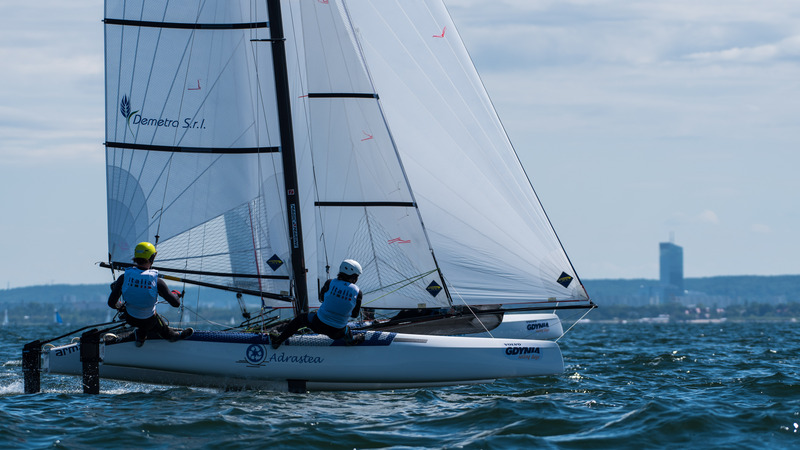 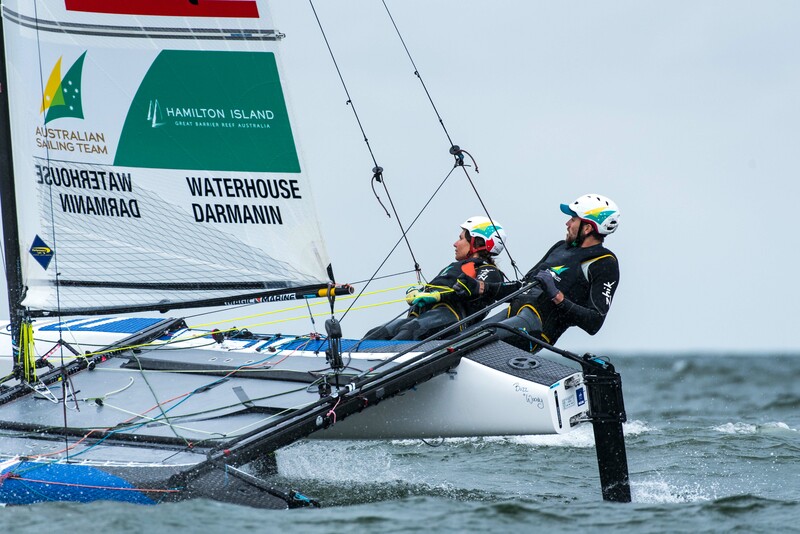 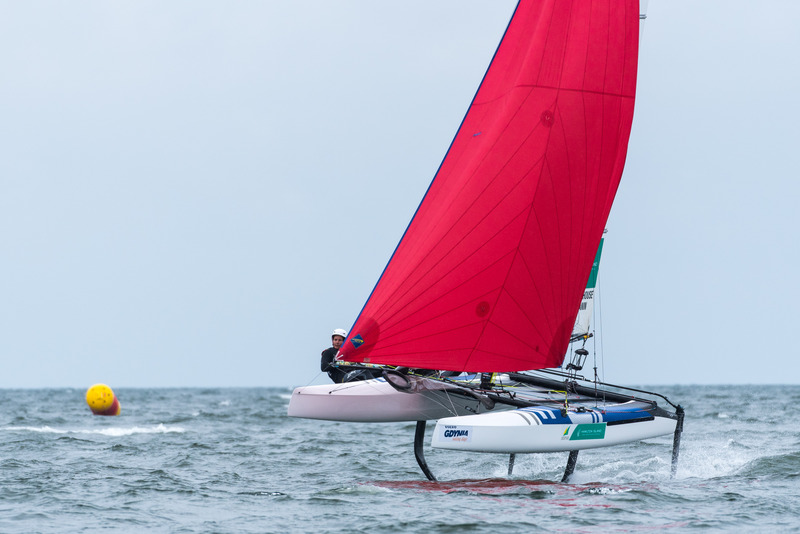 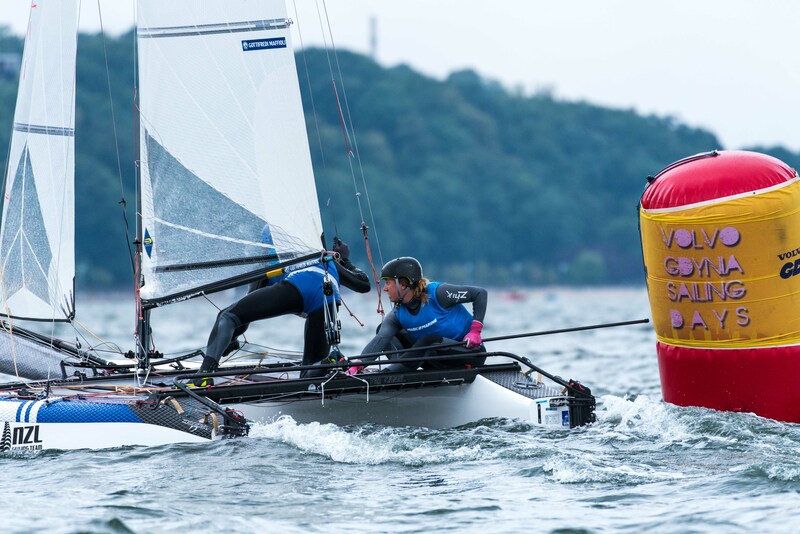 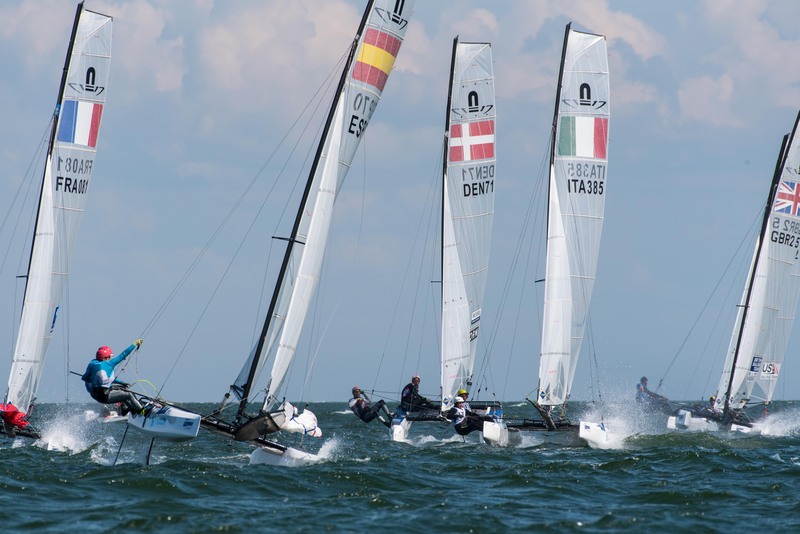 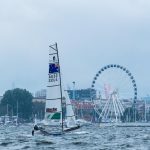 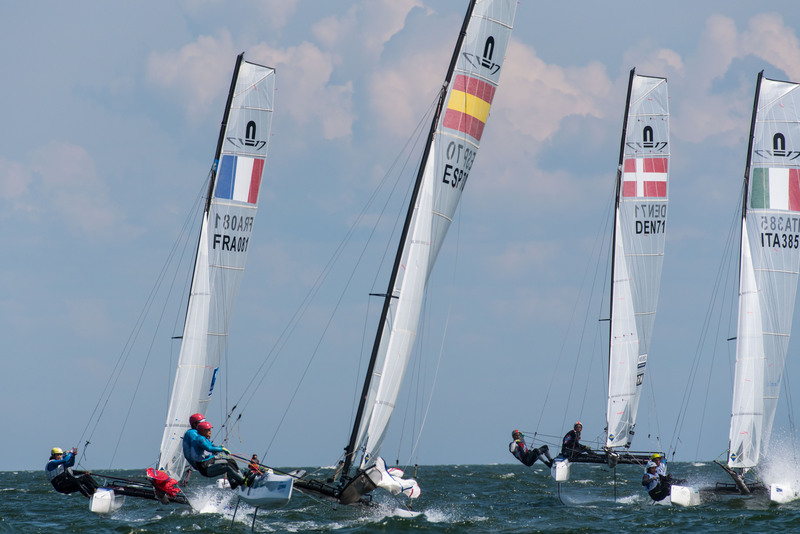 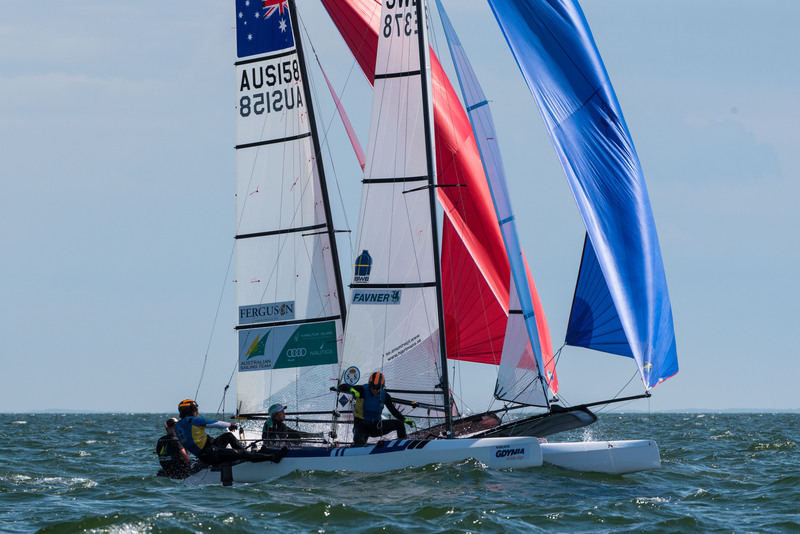 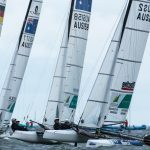 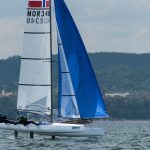 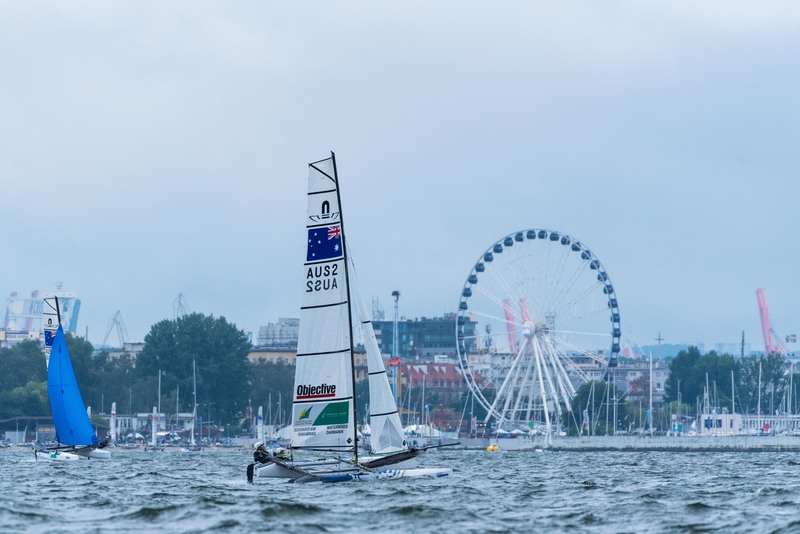 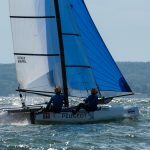 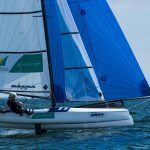 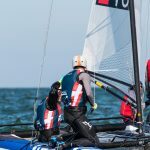 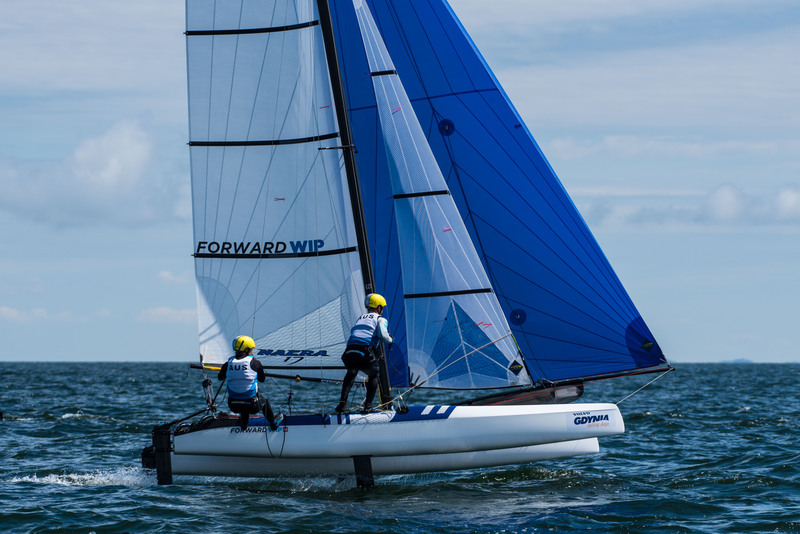 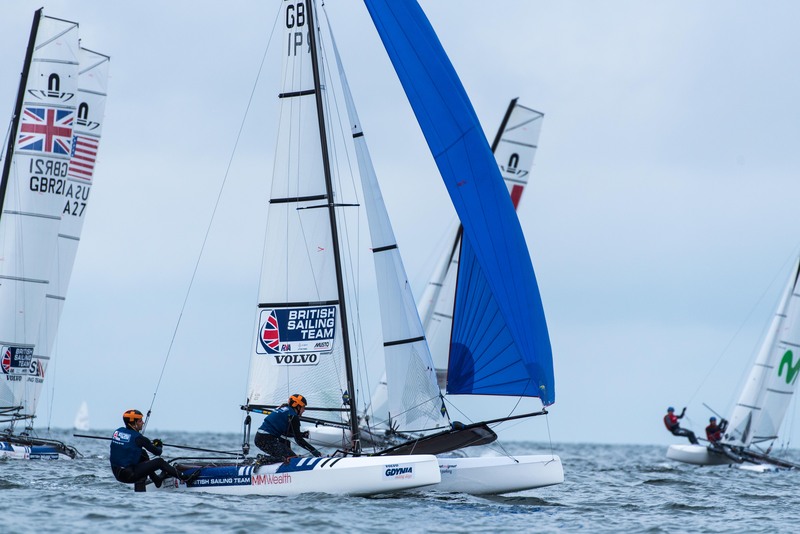 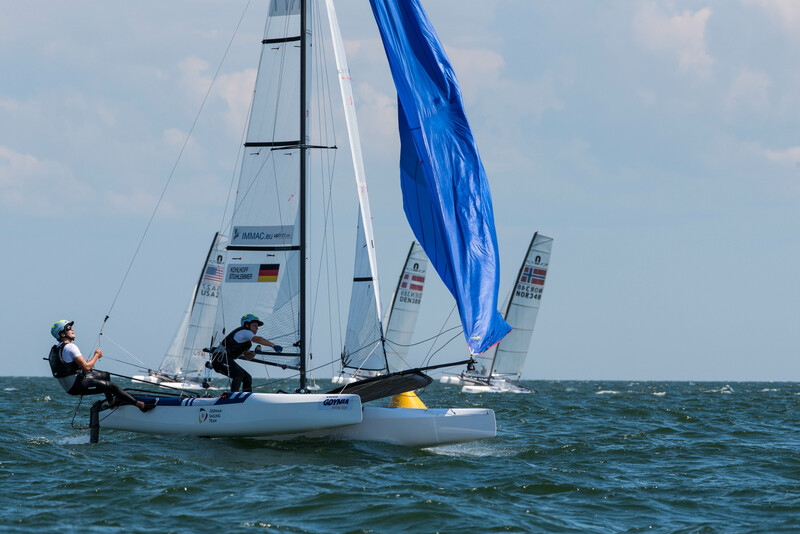 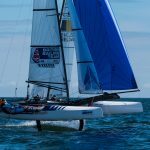 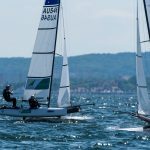 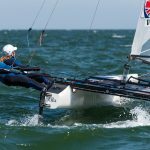 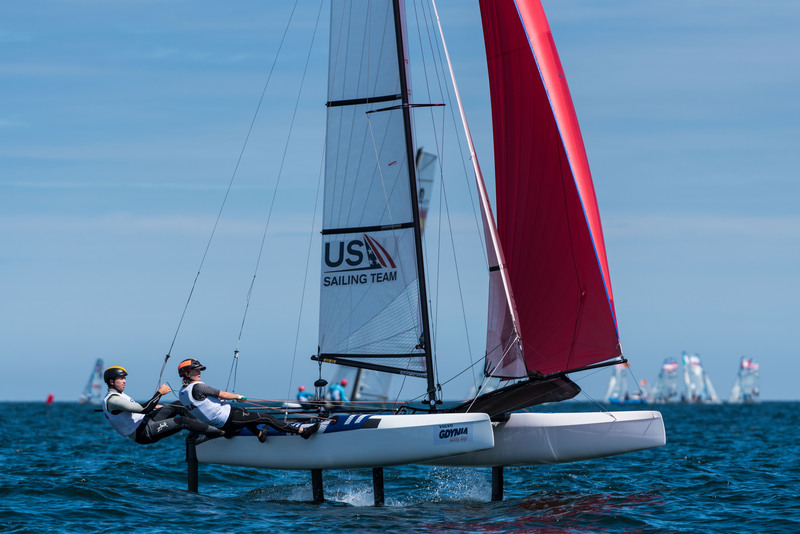 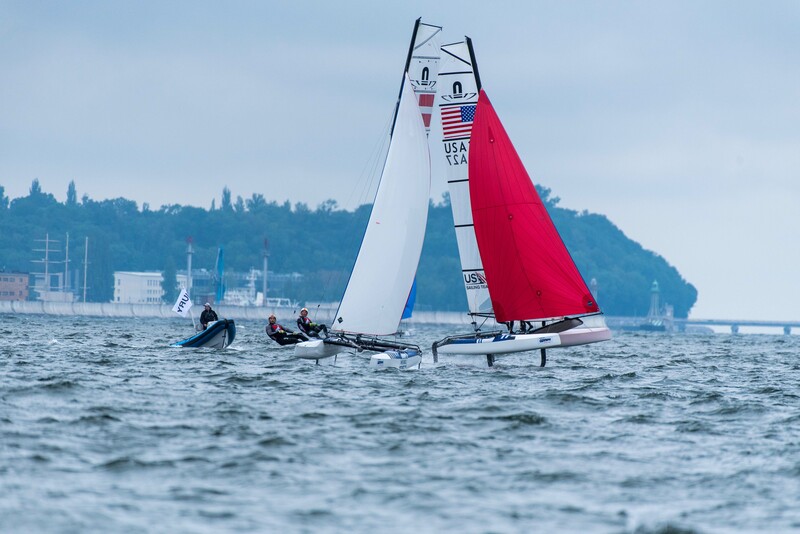 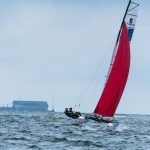 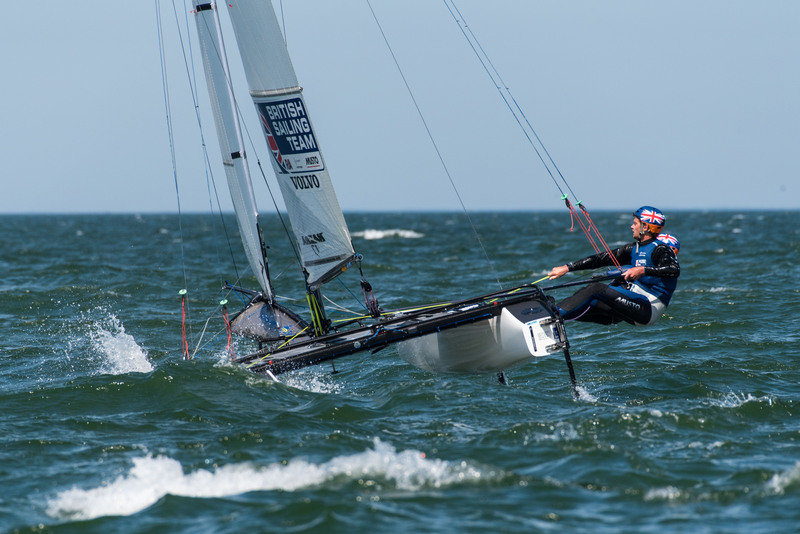 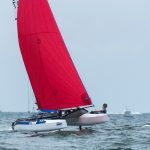 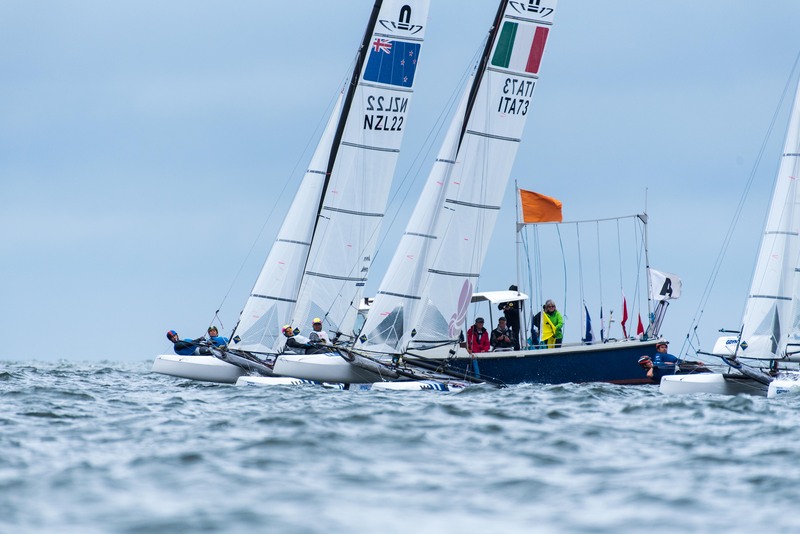 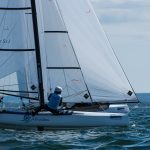 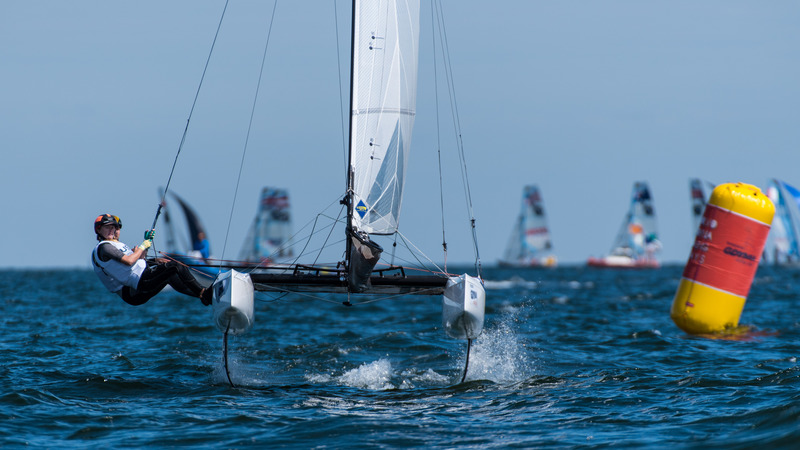 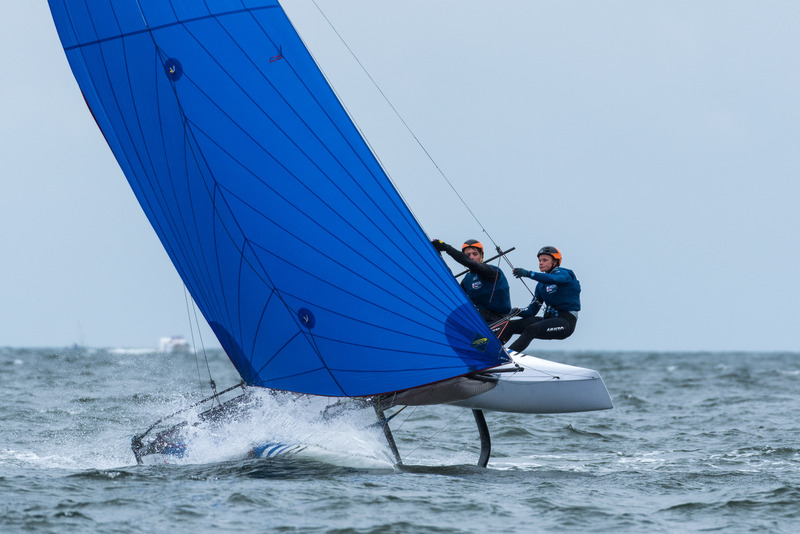 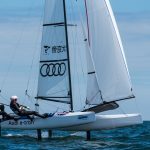 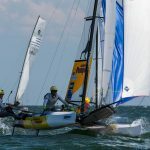 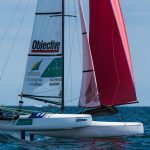 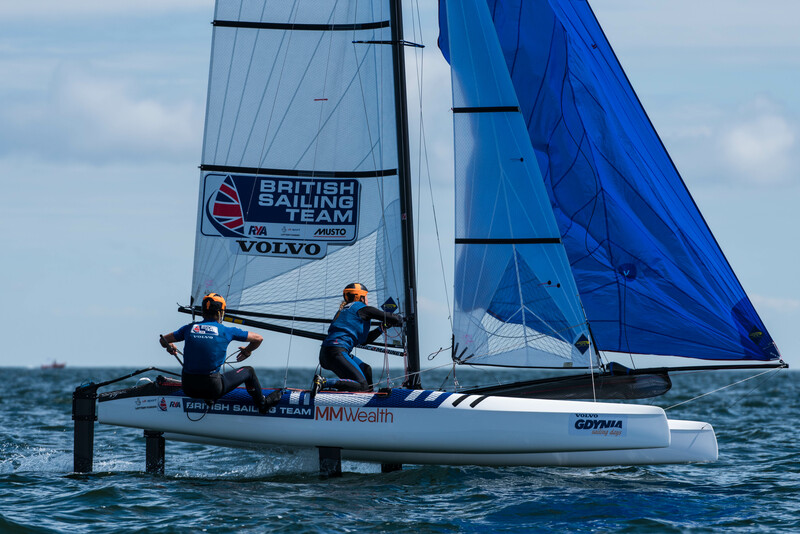 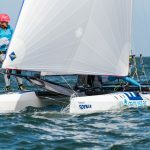 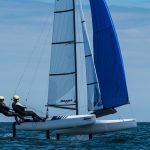 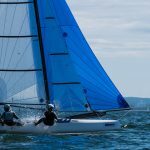 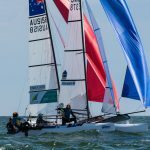 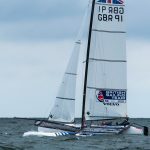 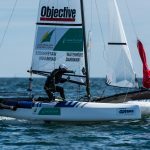 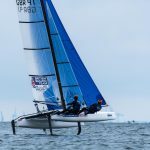 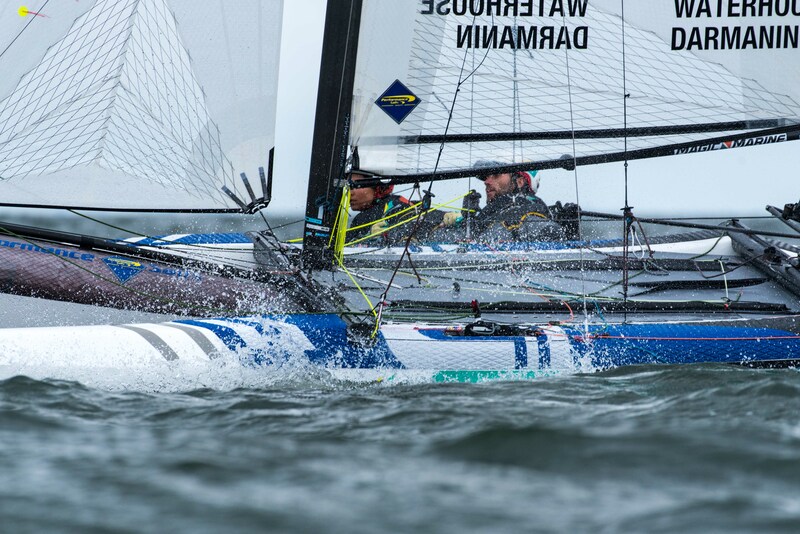 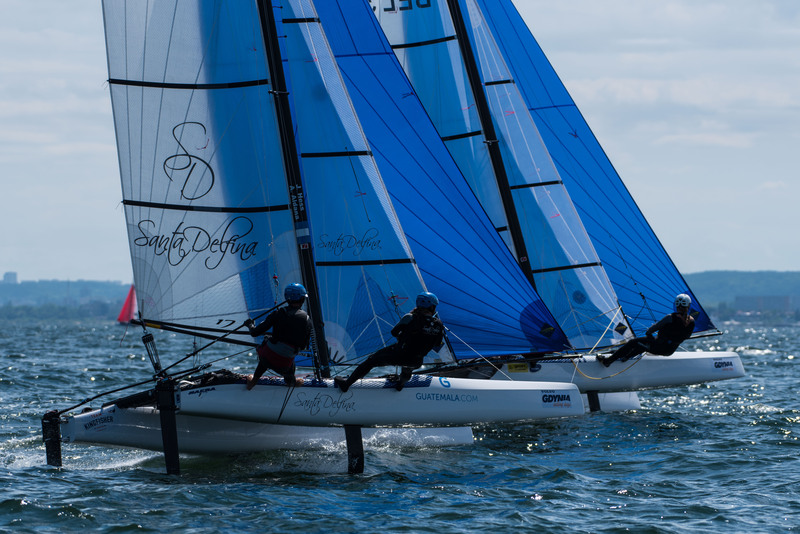 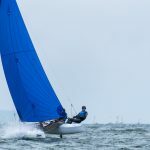 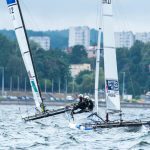 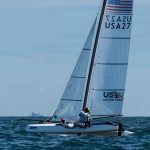 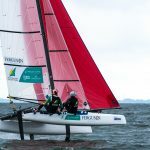 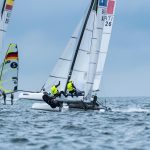 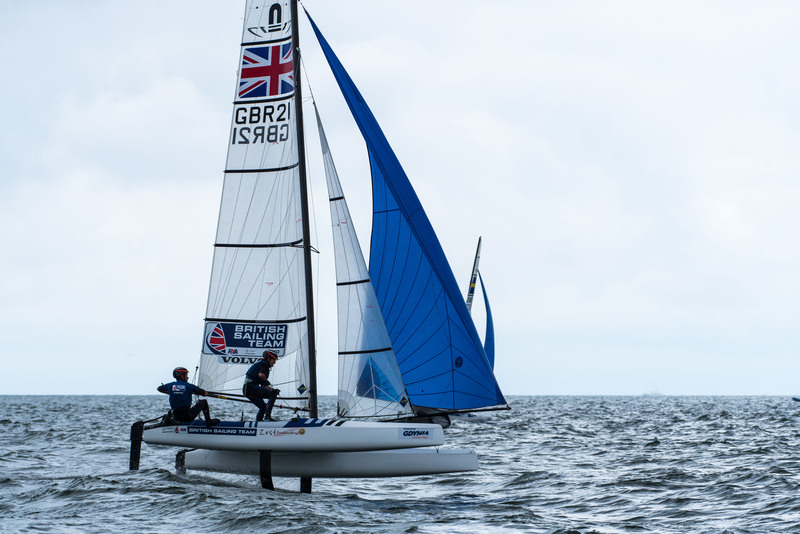 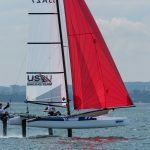 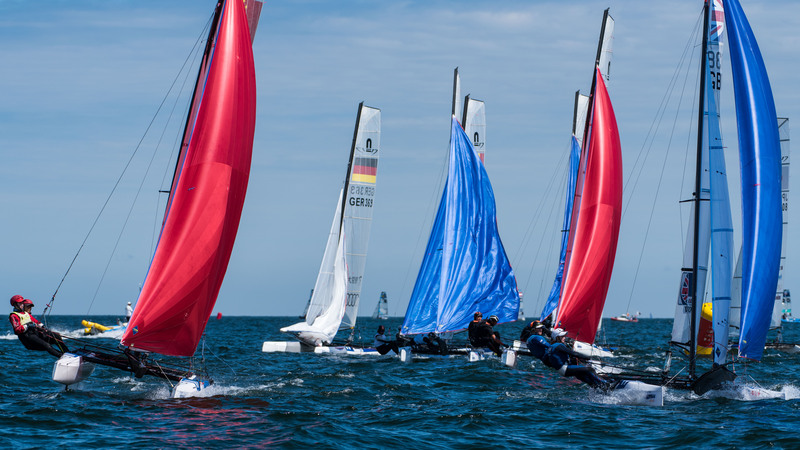 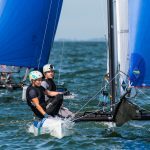 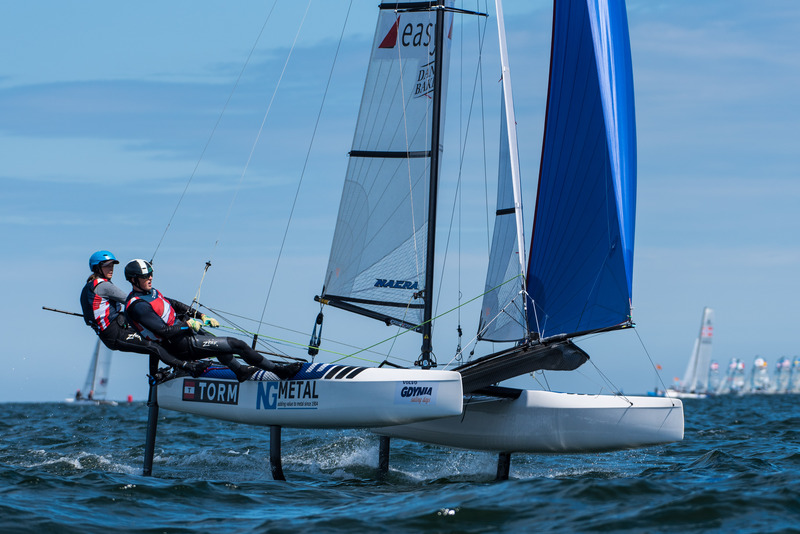 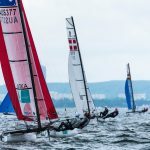 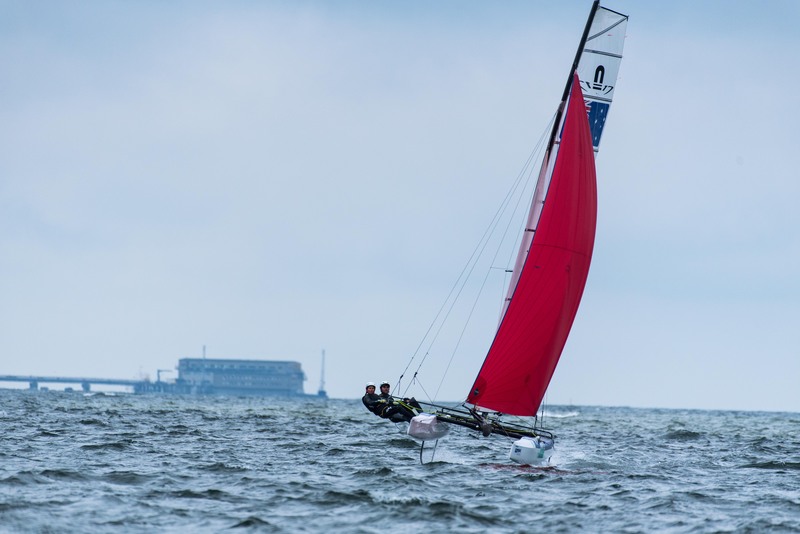 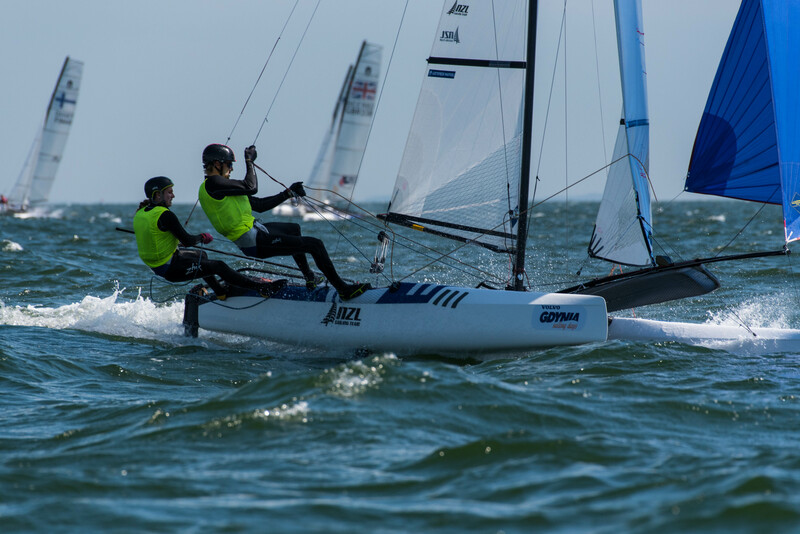 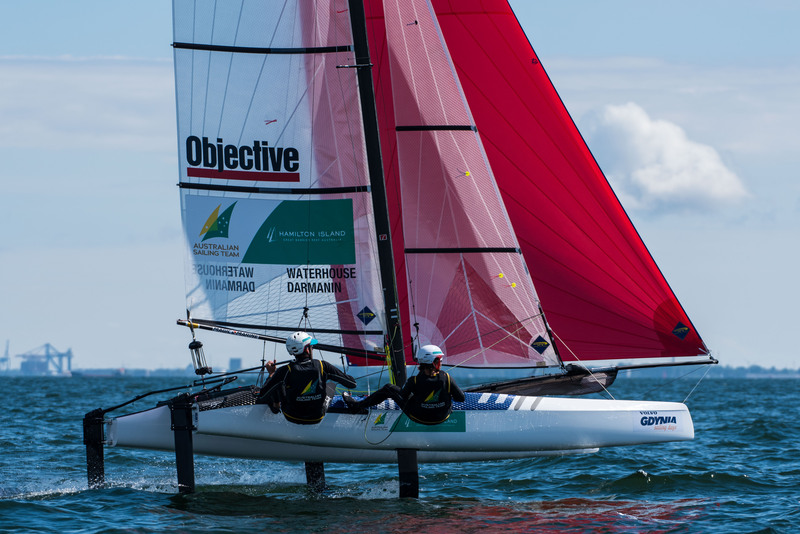 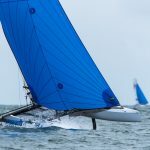 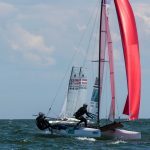 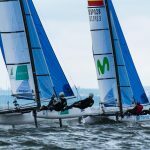 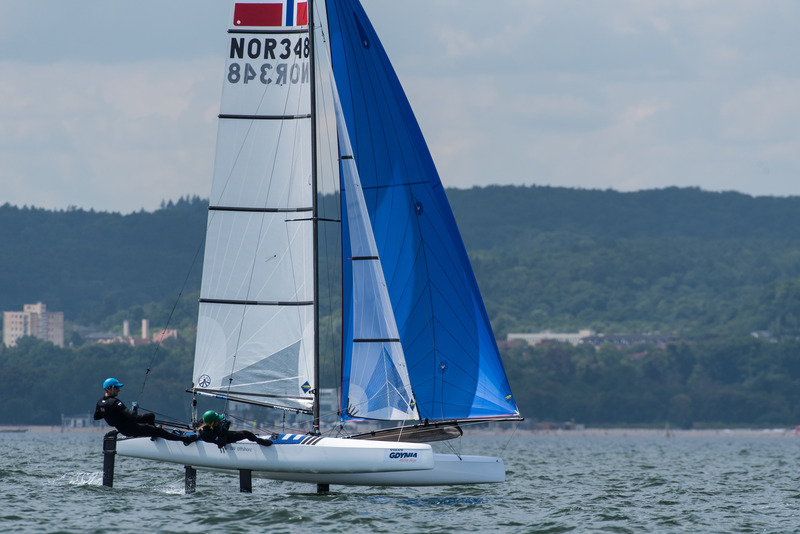 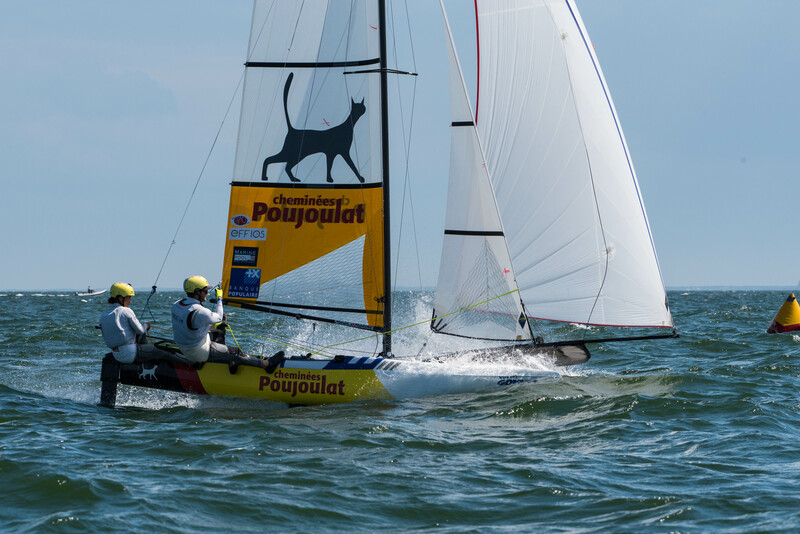 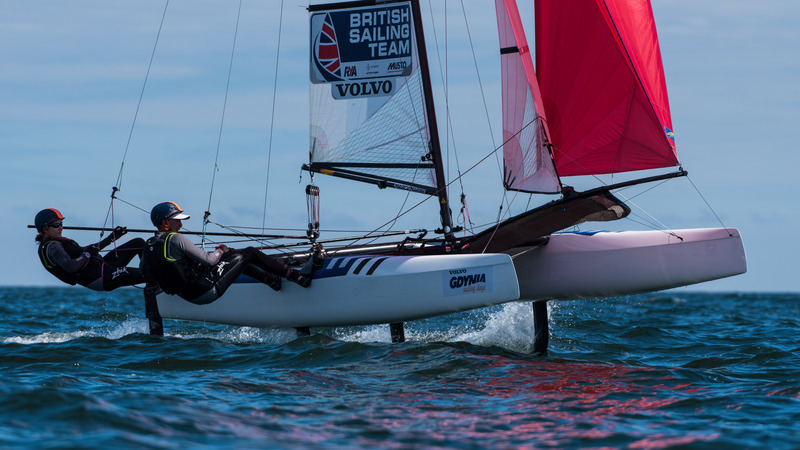 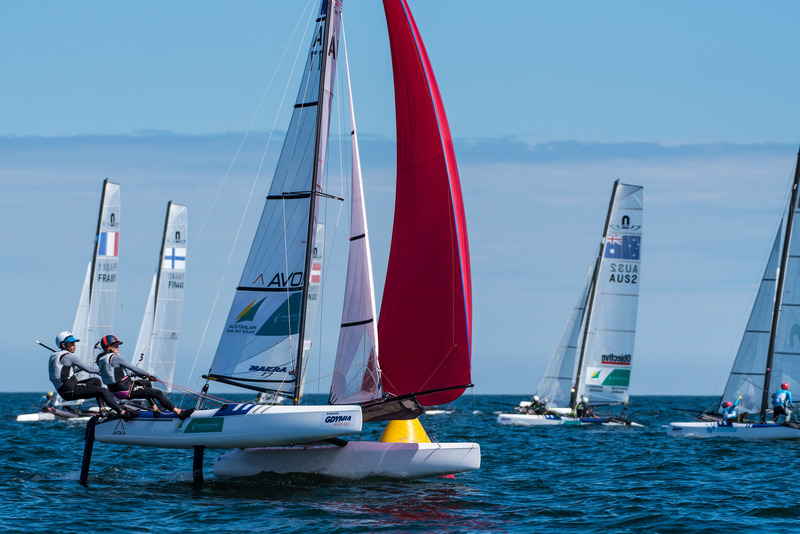 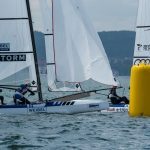 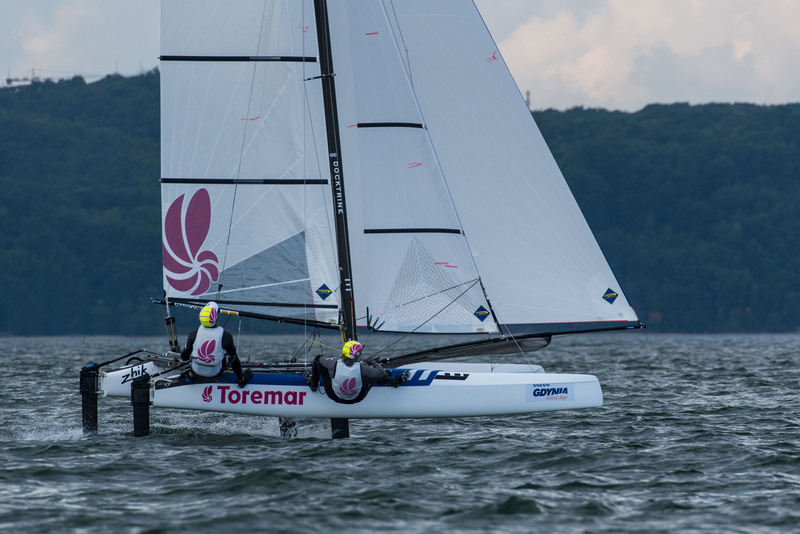 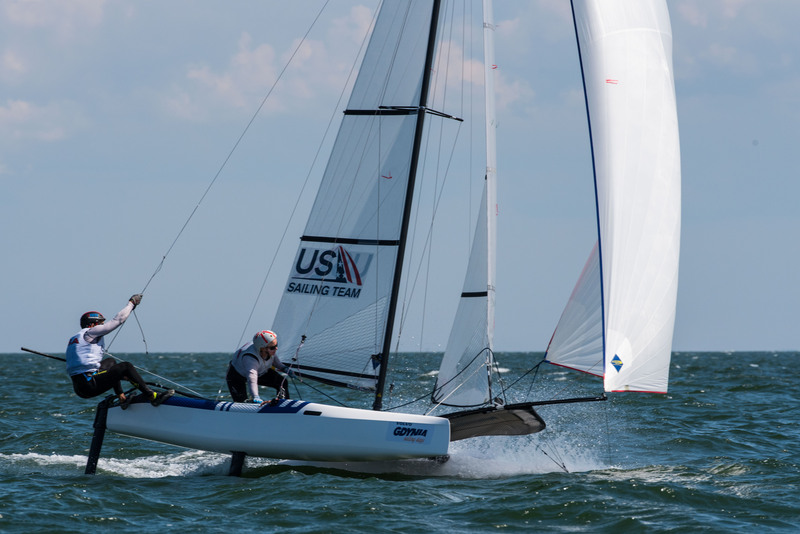 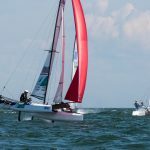 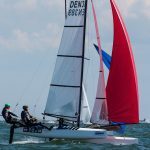 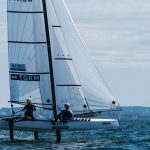 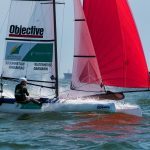 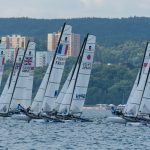 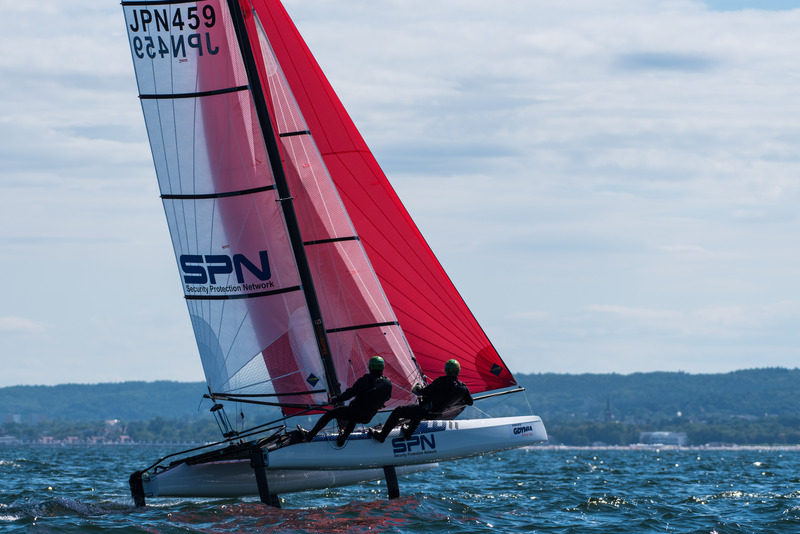 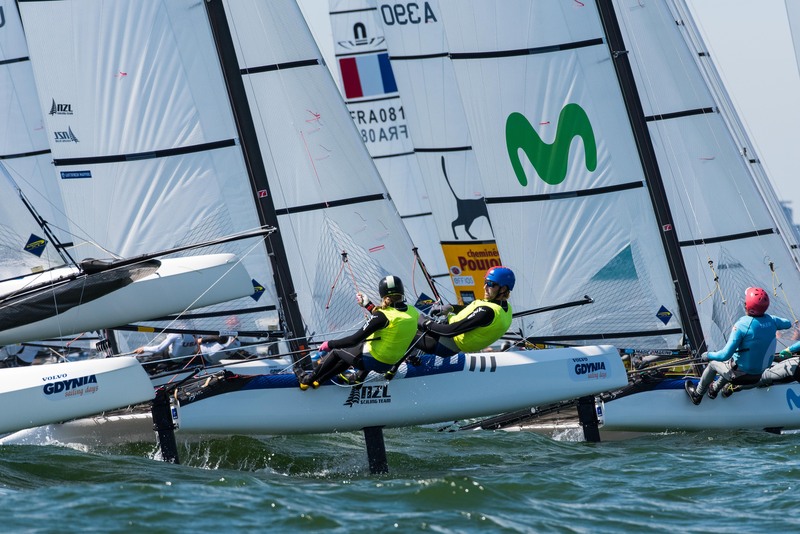 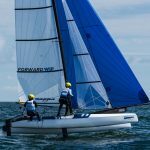 A massive thunderstorm system erupting over the mainland helped create a brisk, 15 knot Northeasterly that allowed the foiling Nacra 17 fleet to reach speeds well over 20 knots at times. 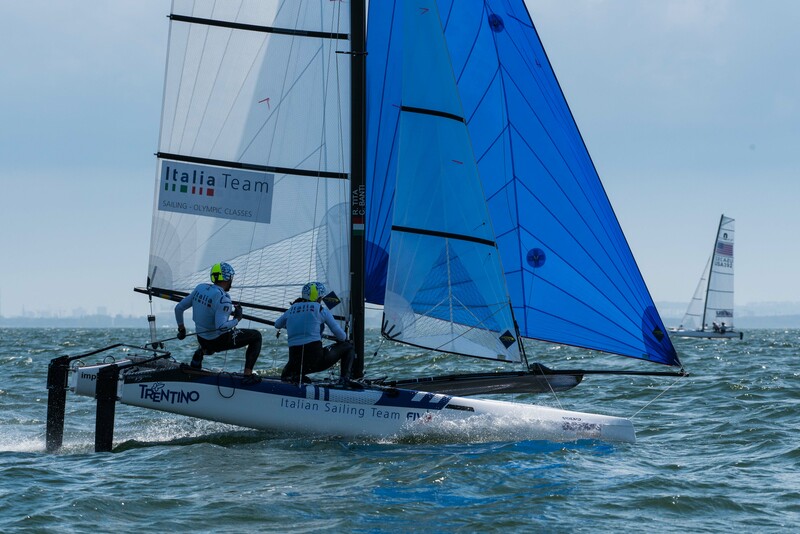 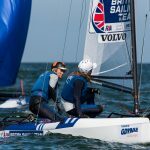 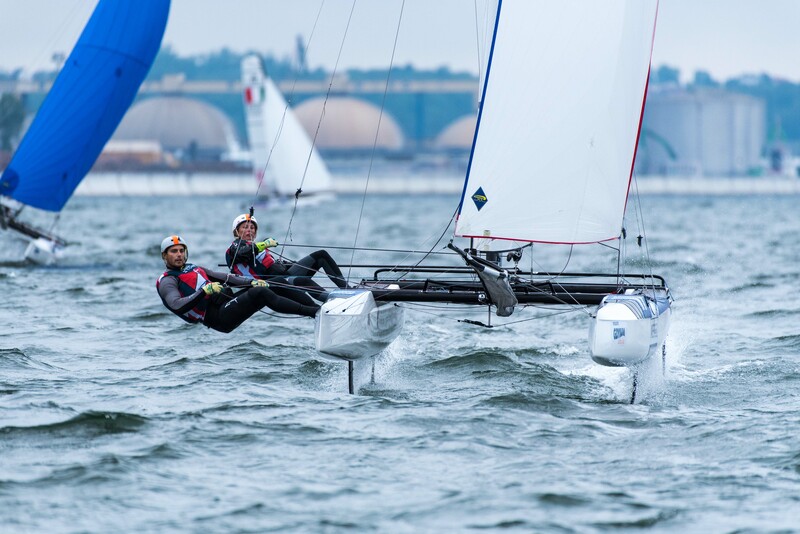 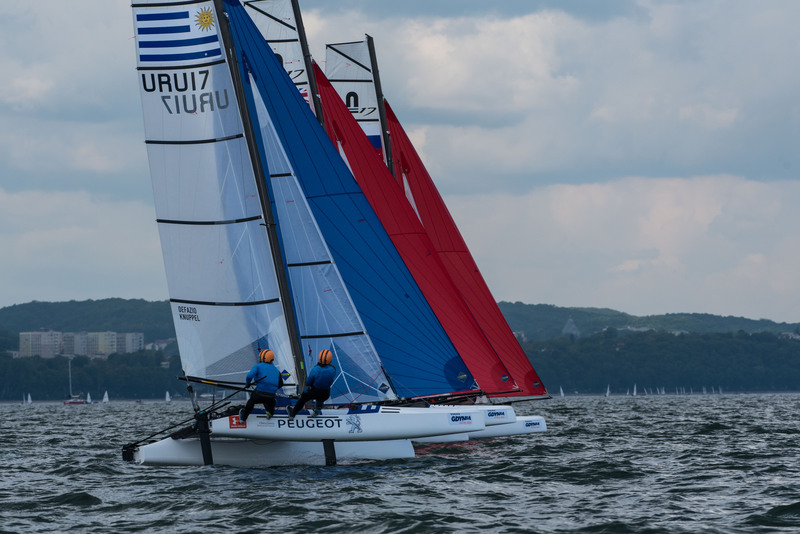 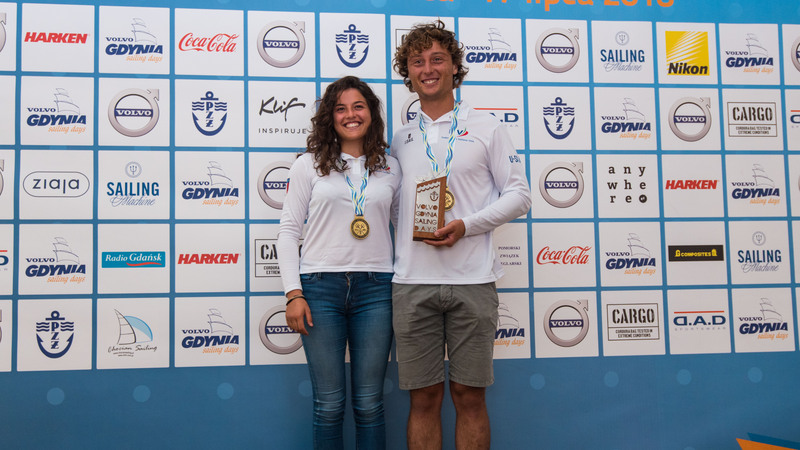 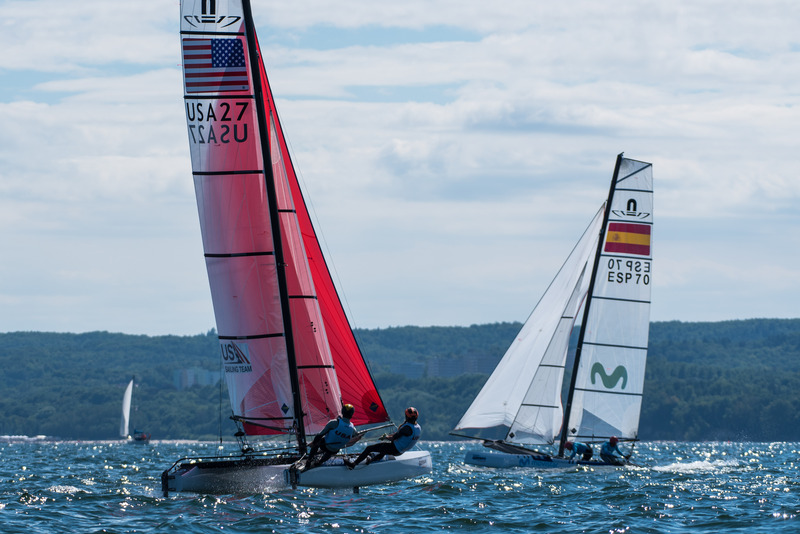 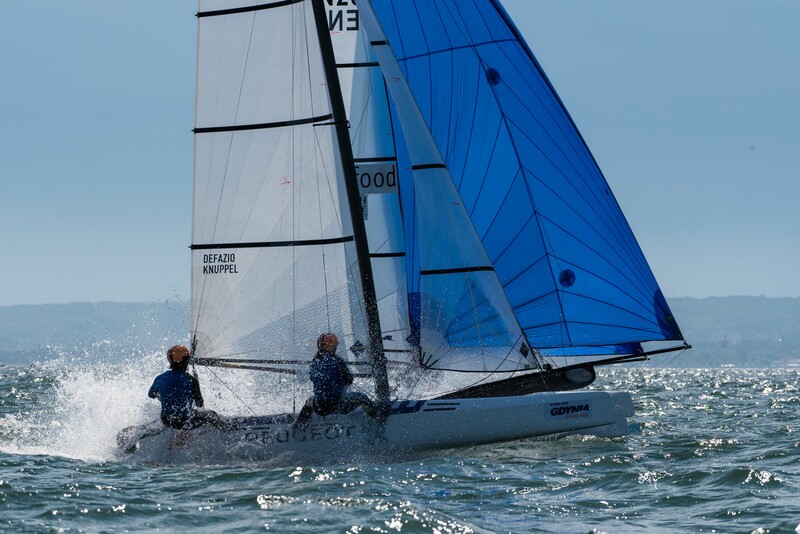 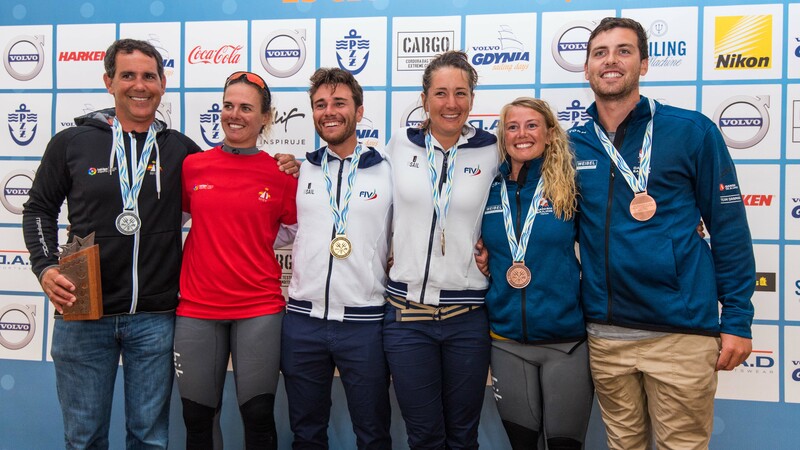 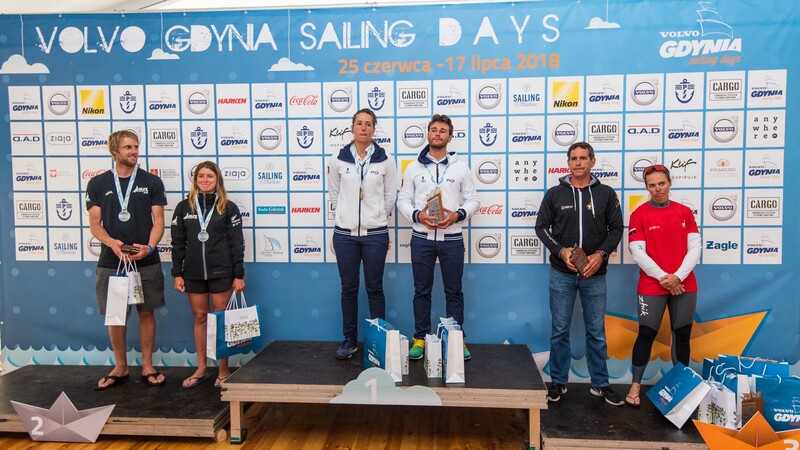 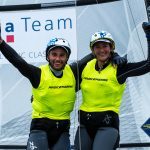 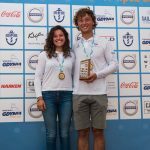 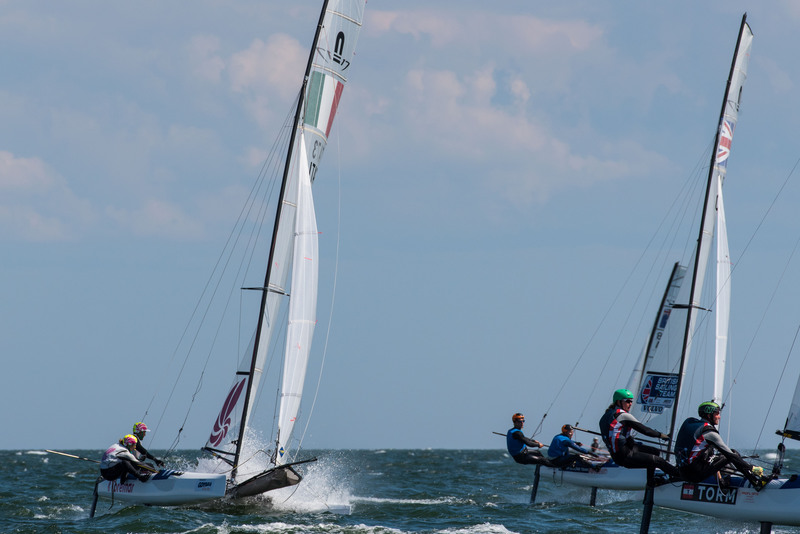 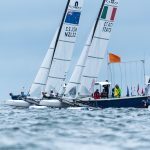 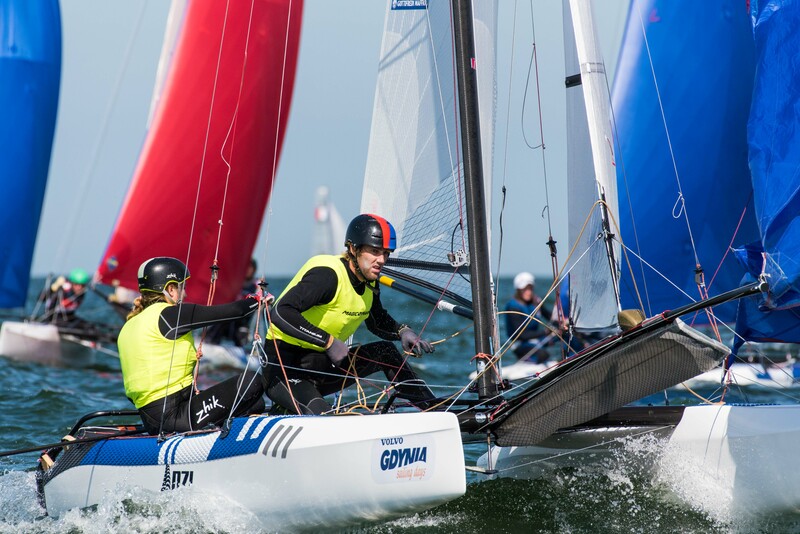 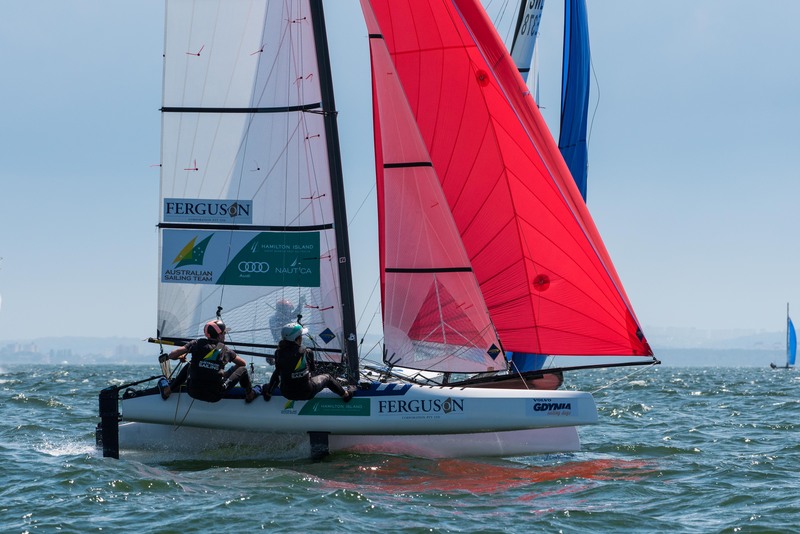 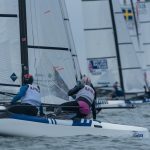 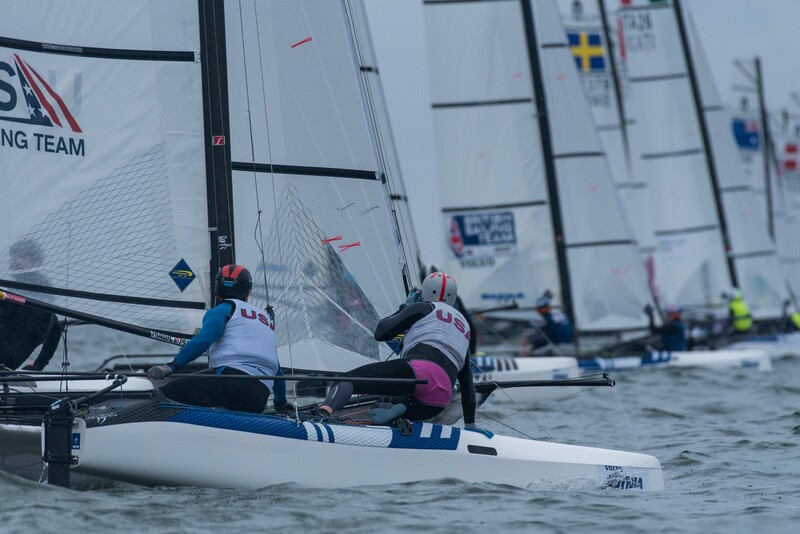 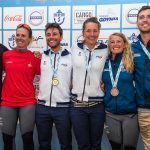 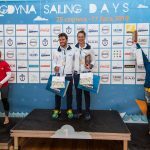 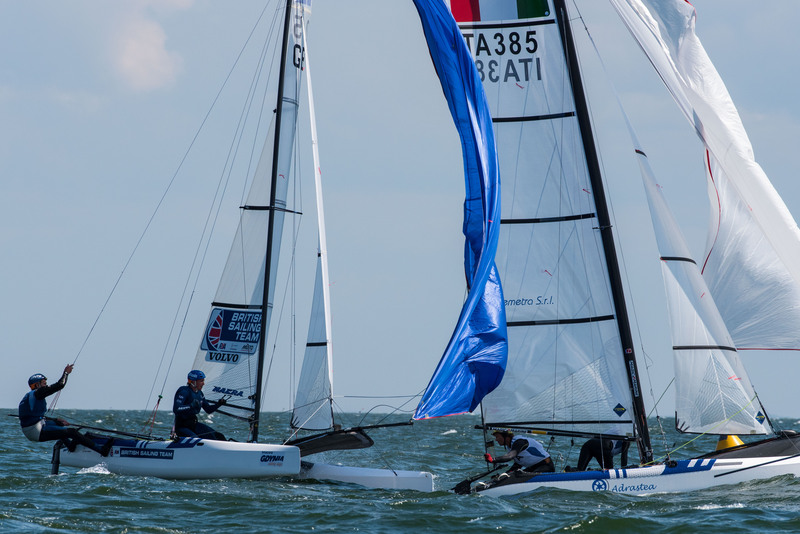 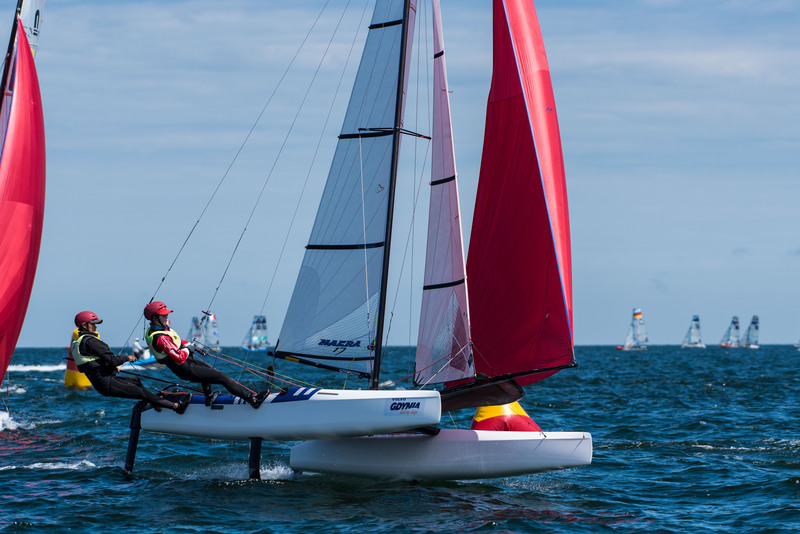 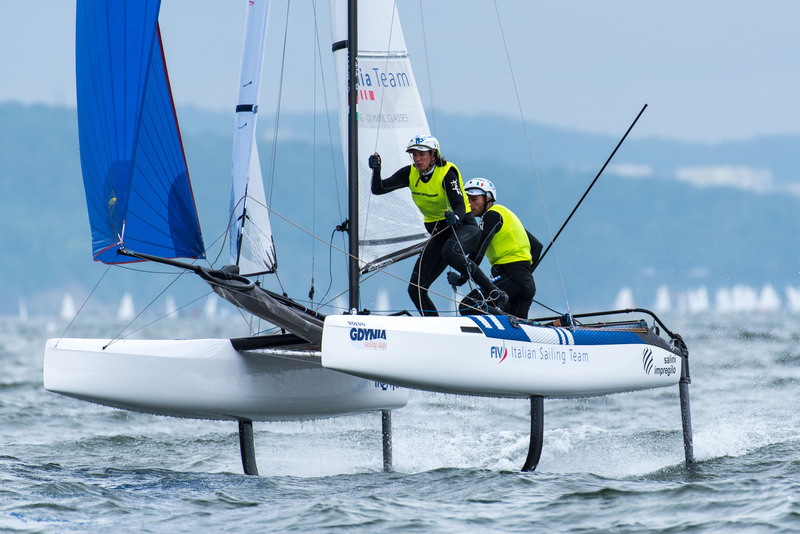 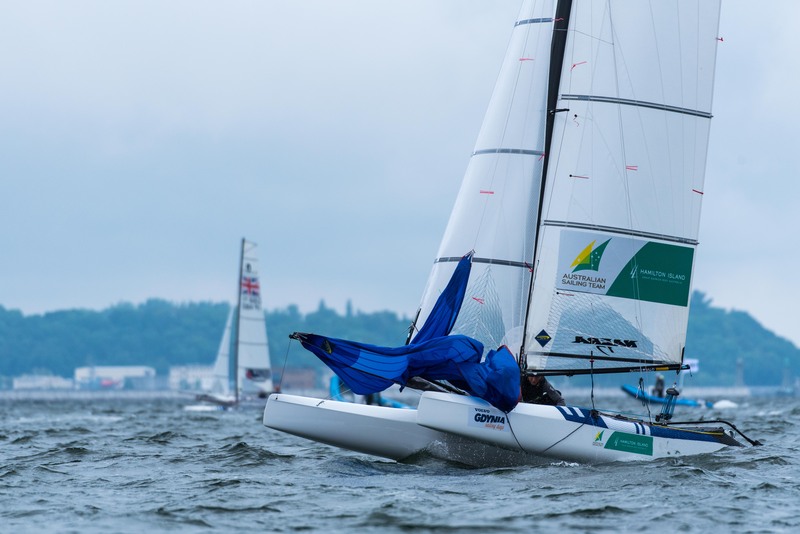 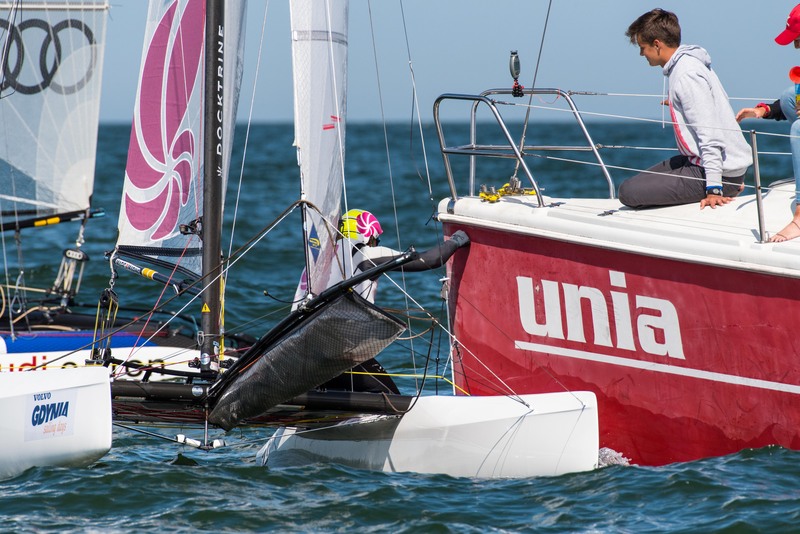 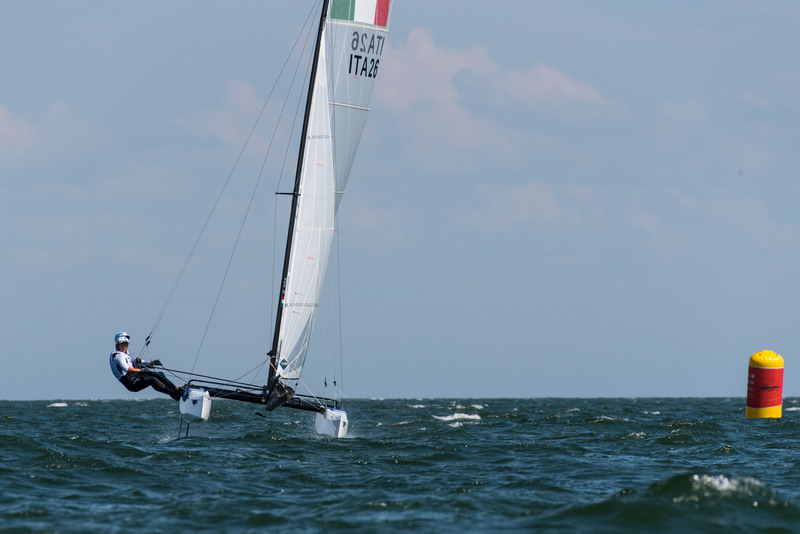 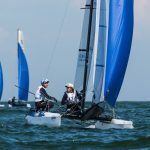 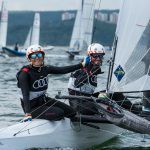 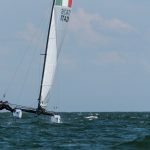 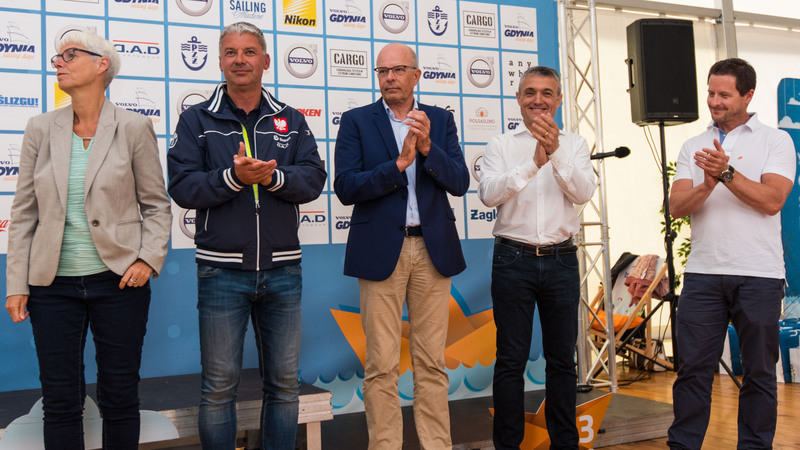 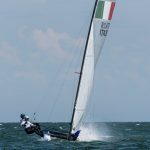 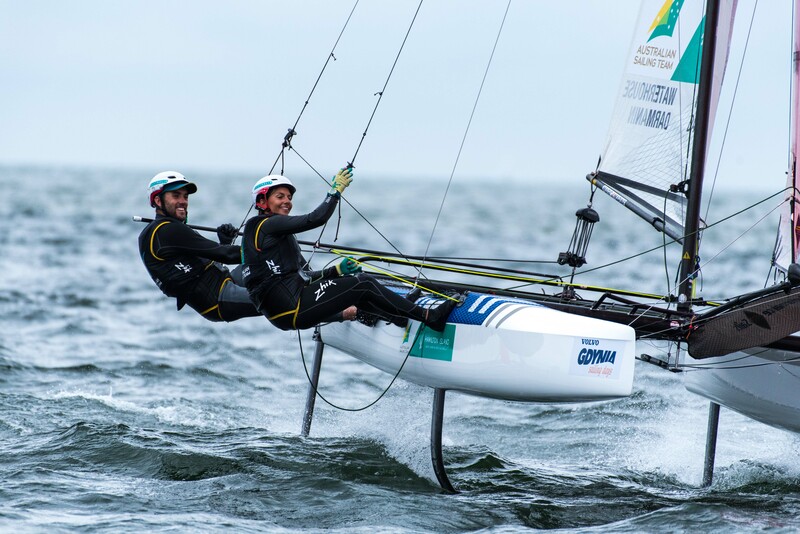 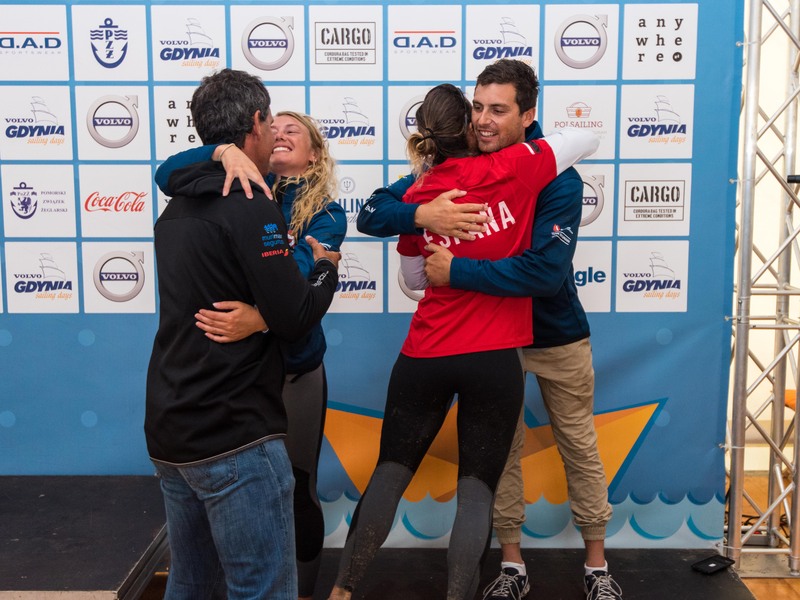 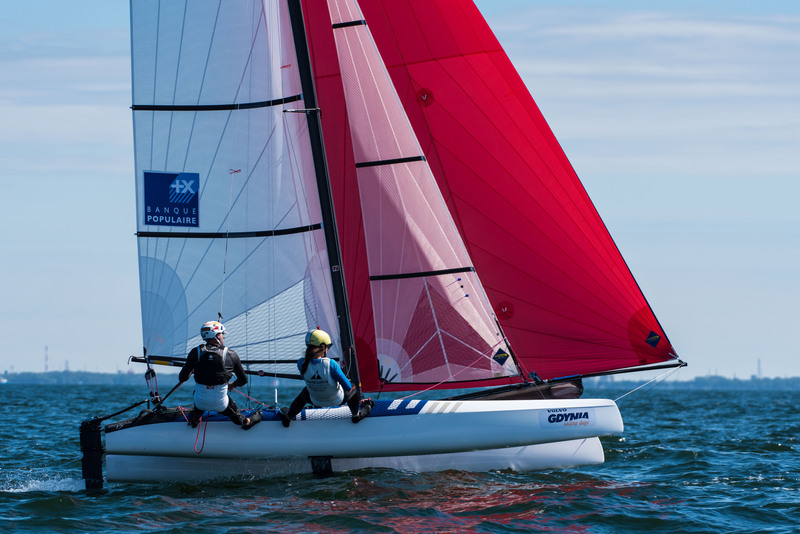 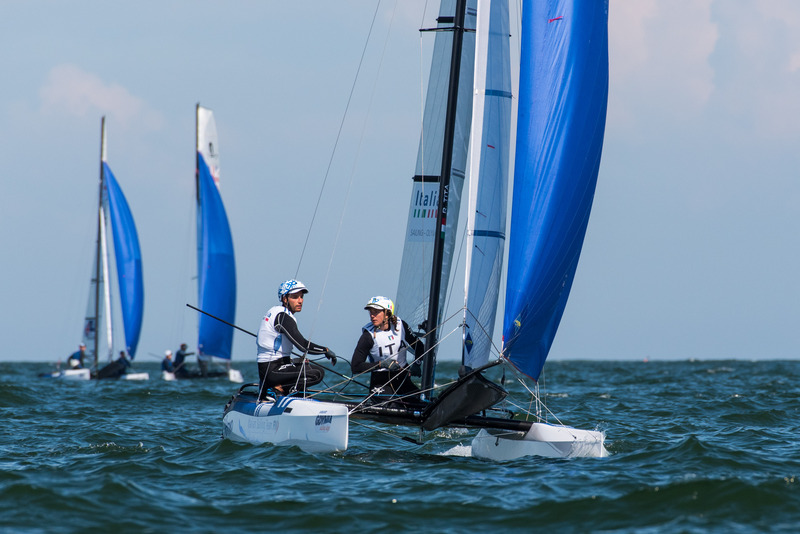 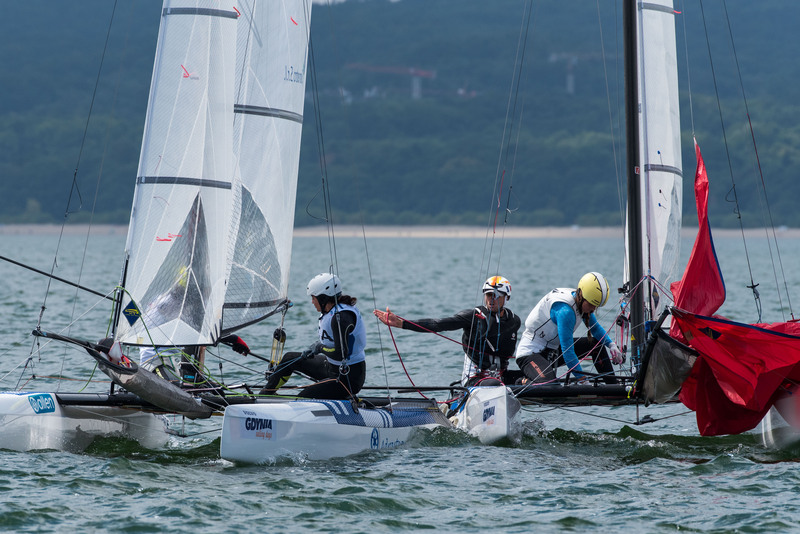 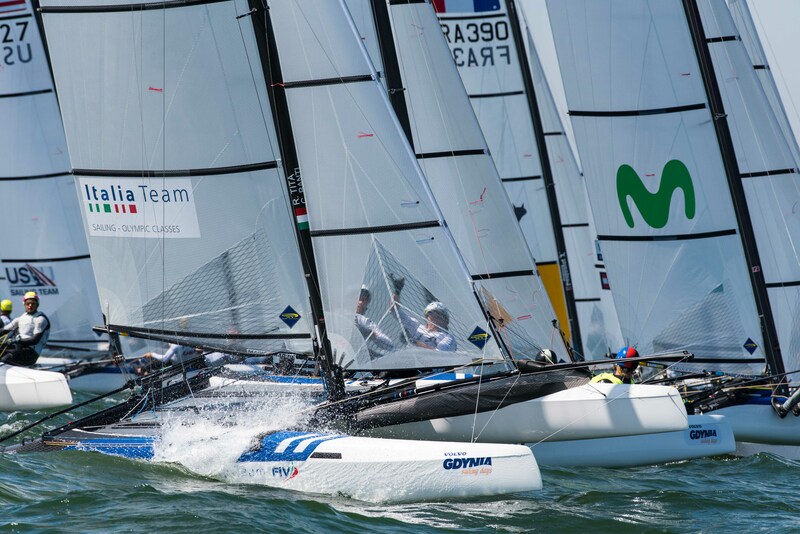 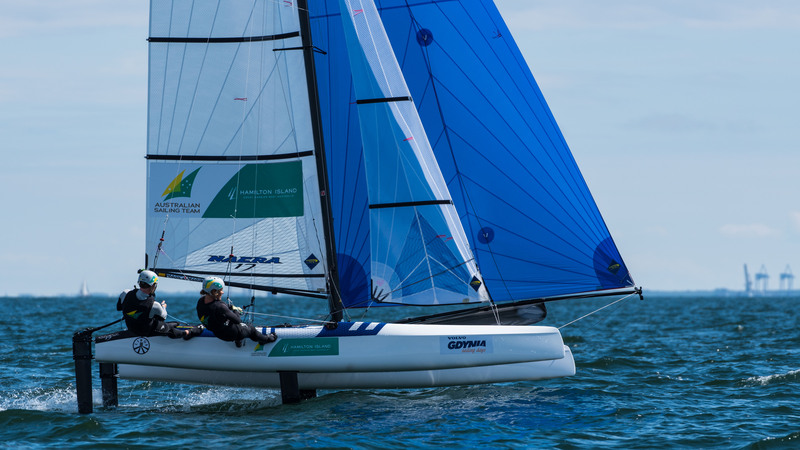 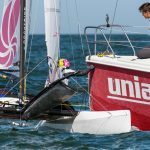 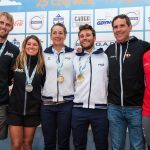 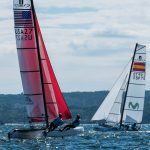 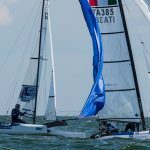 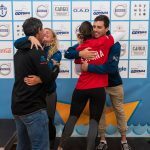 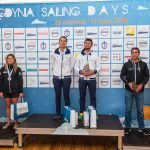 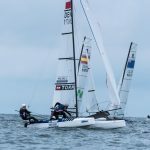 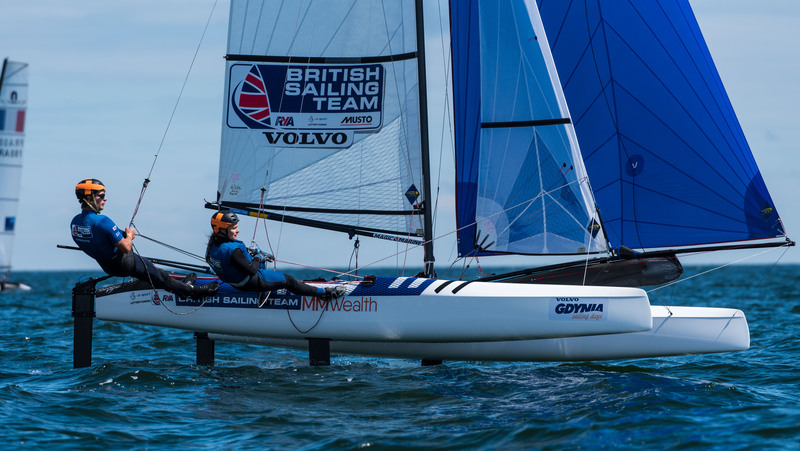 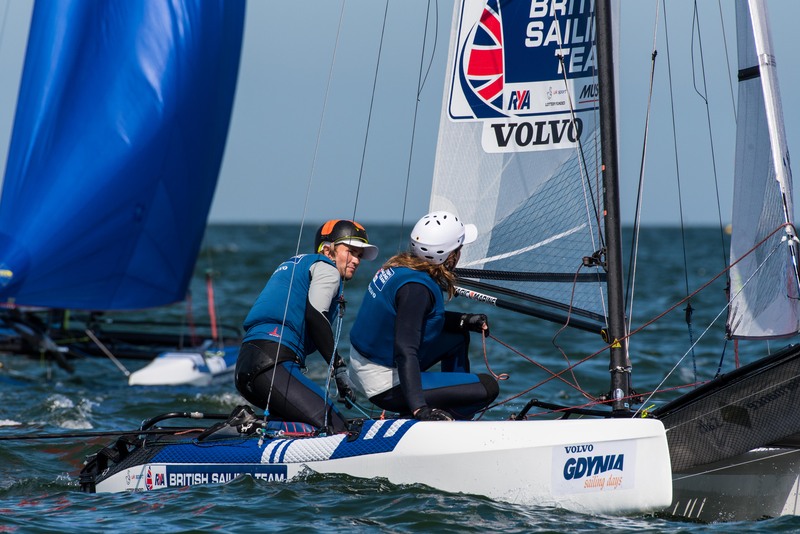 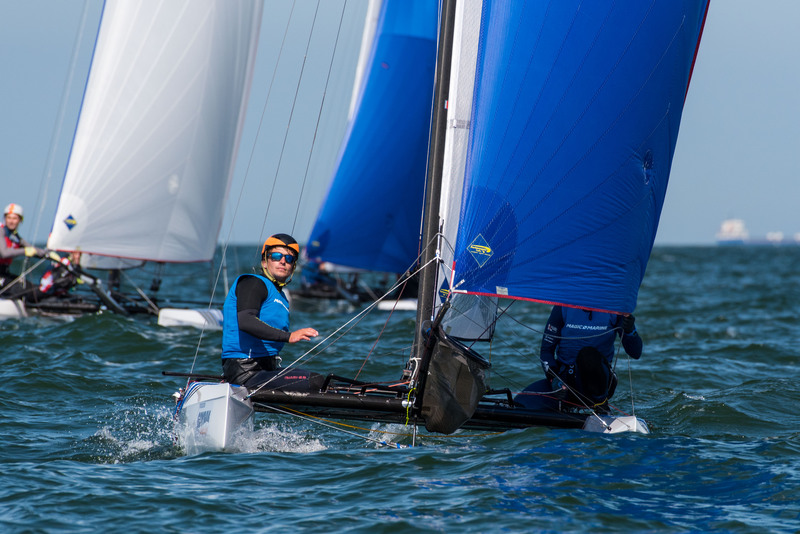 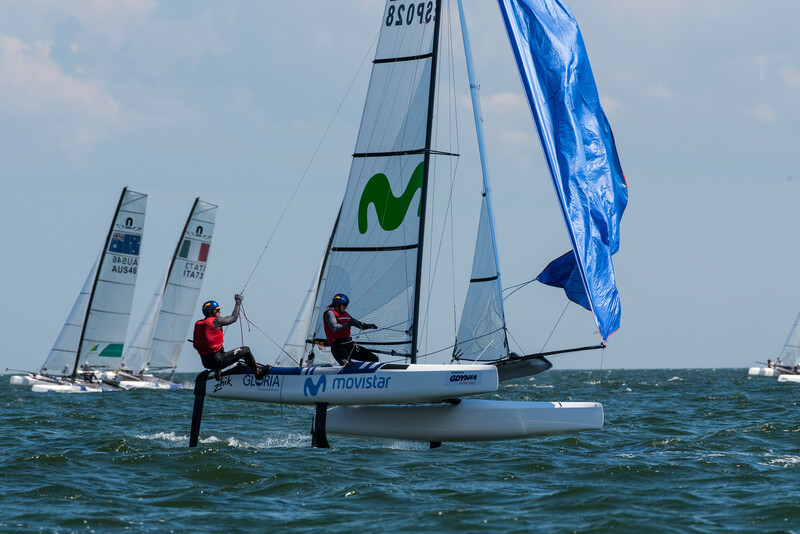 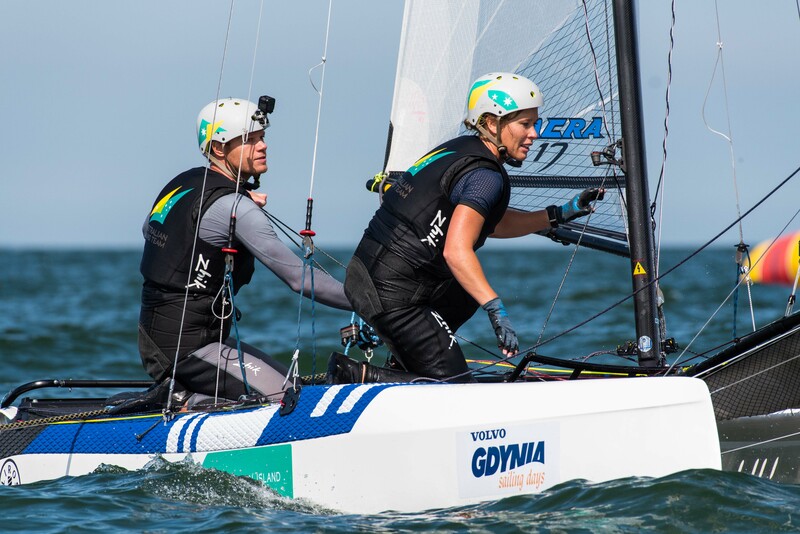 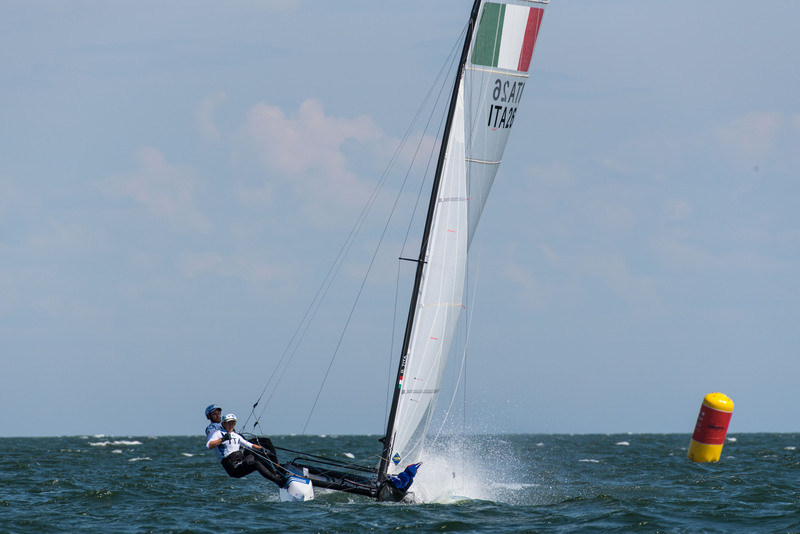 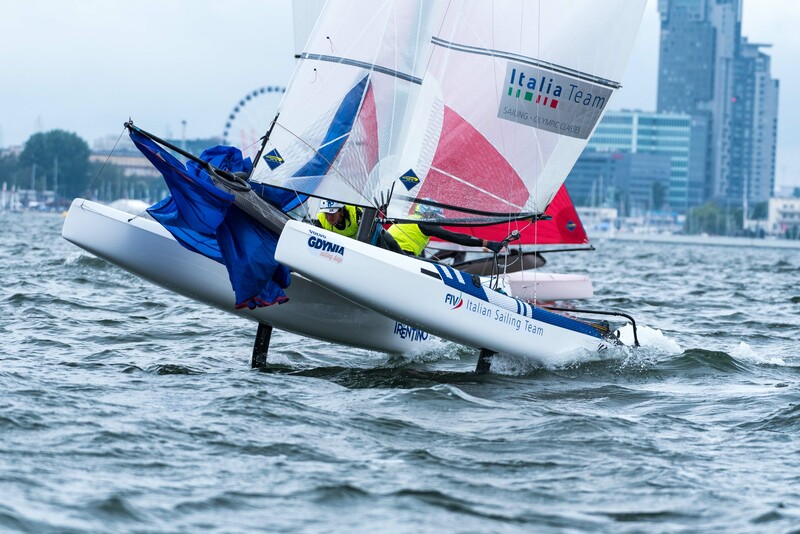 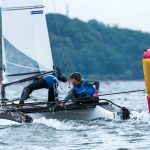 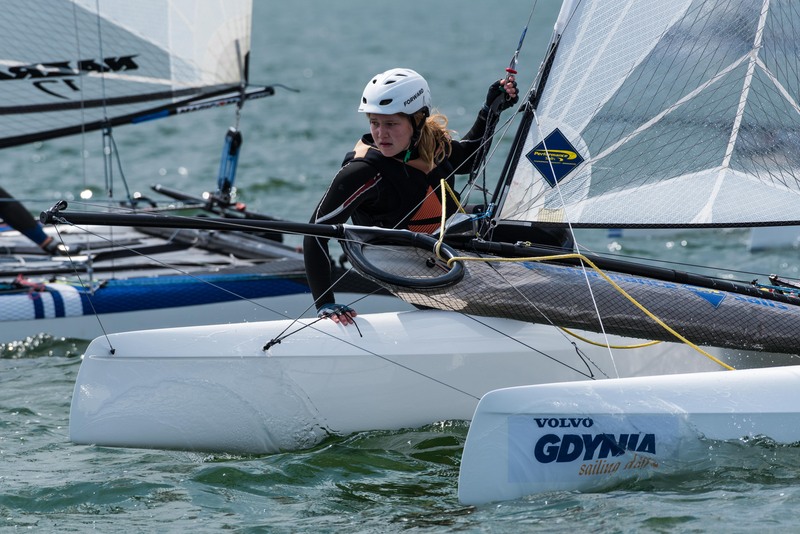 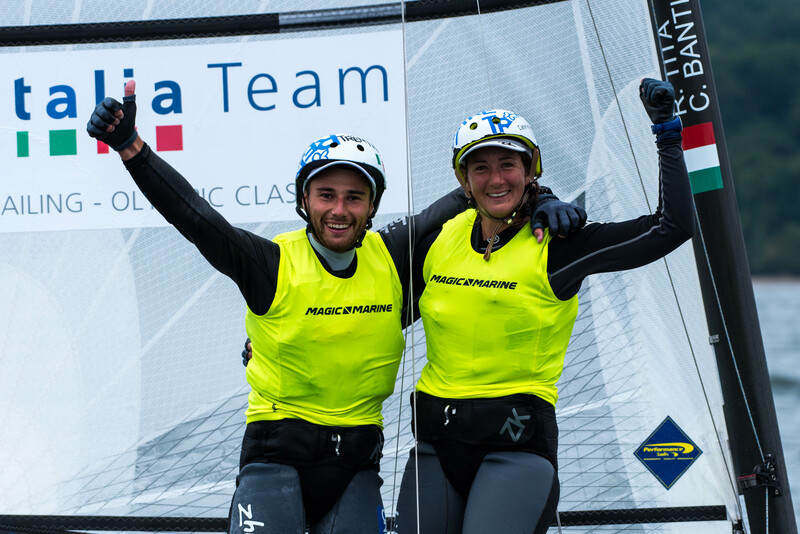 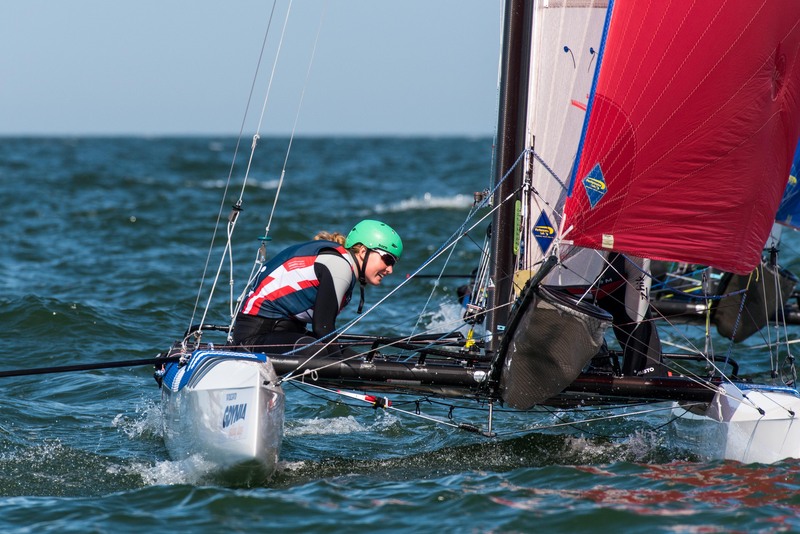 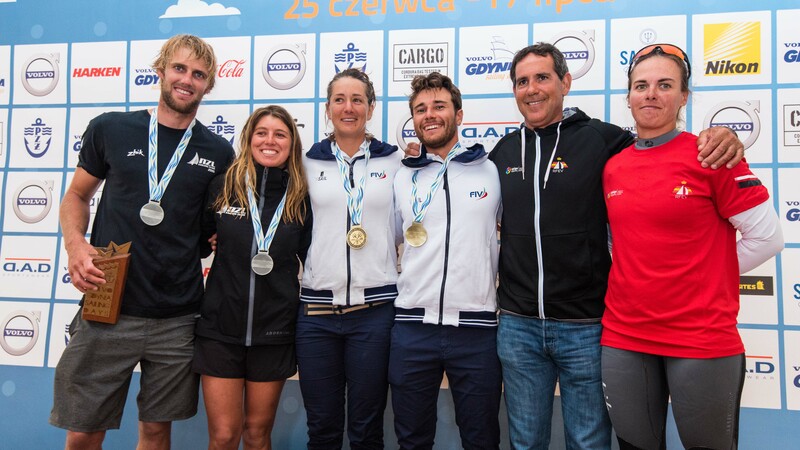 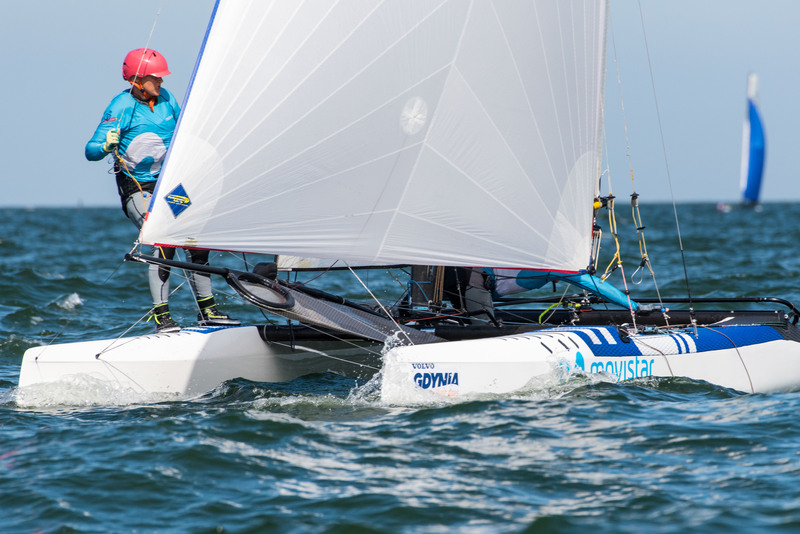 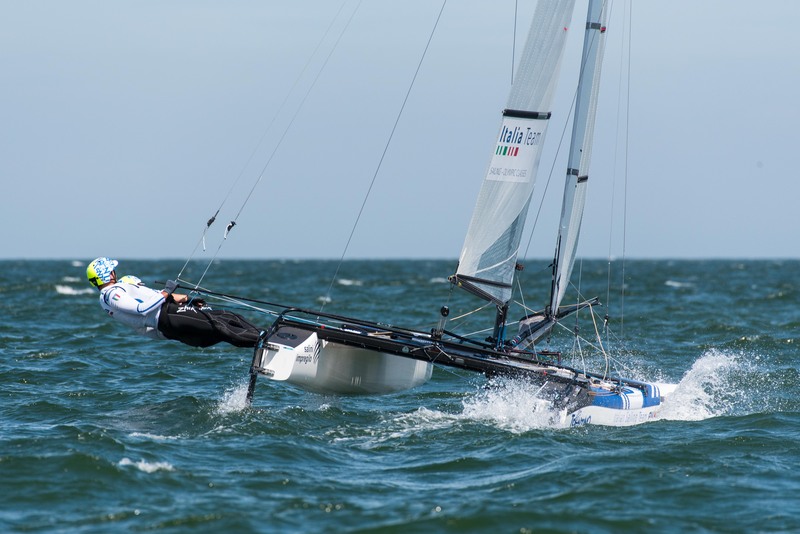 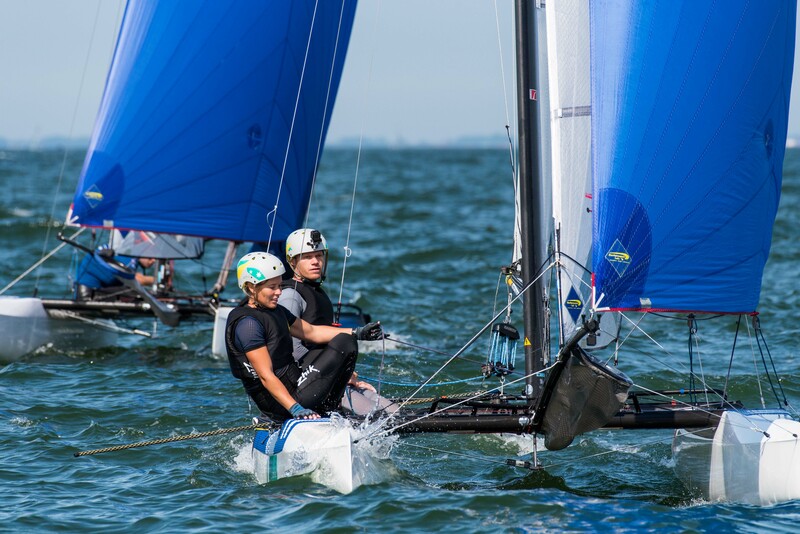 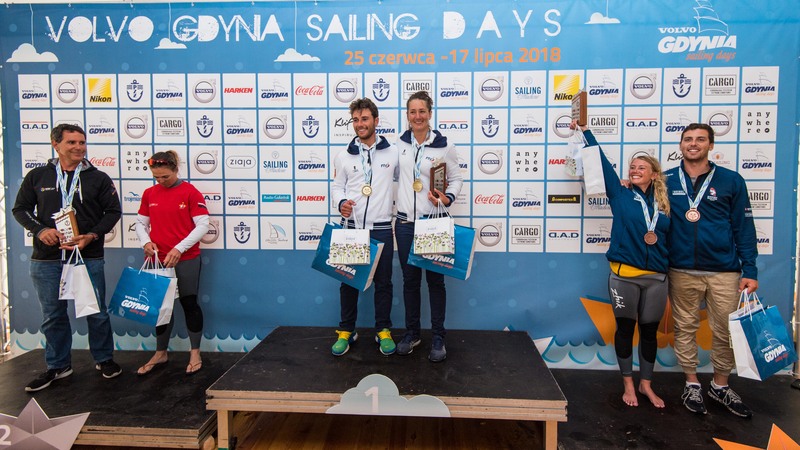 With characteristic aggressiveness and a willingness to take what seemed at the time like high-risk moves, Italy’s Ruggero Tita and Catarina Banti threw a hurt on the fleet, proving their speed and smarts in both the light air and heavy with two wins in two races! 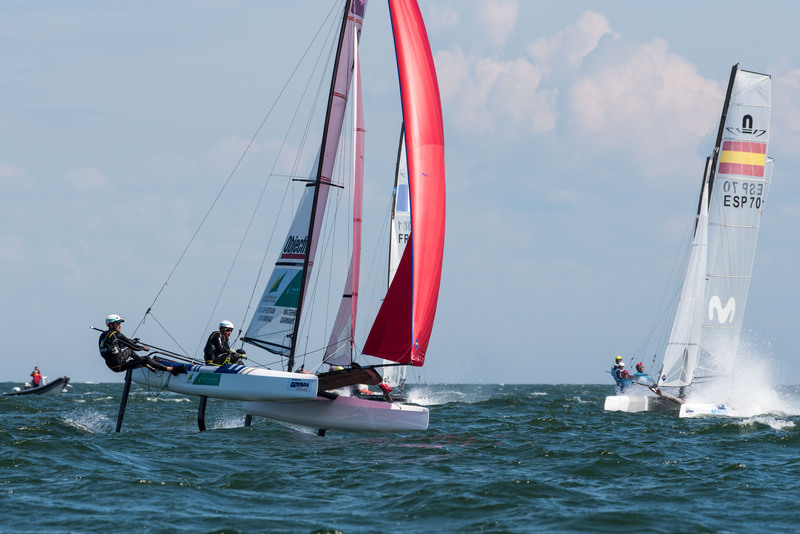 Tita/Banti’s strategy was simple and powerful: Start on port tack, take transoms, and go hard right. 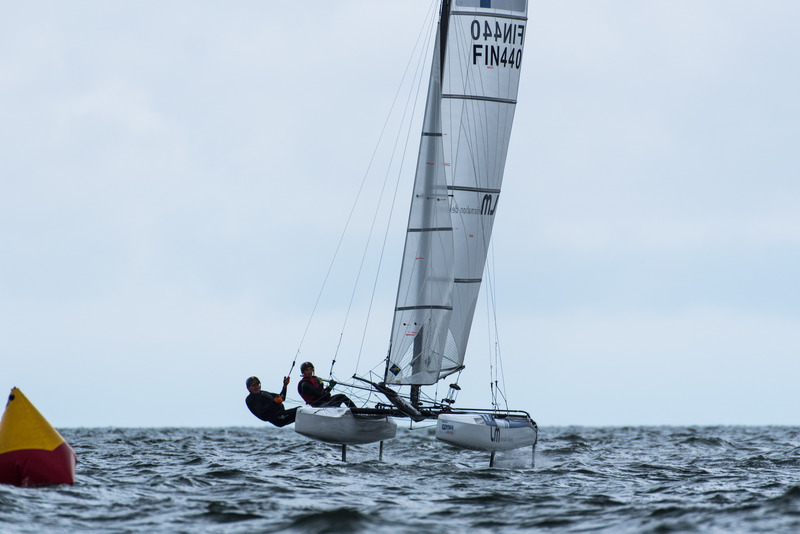 The Port Tack Option worked out well for him both times. 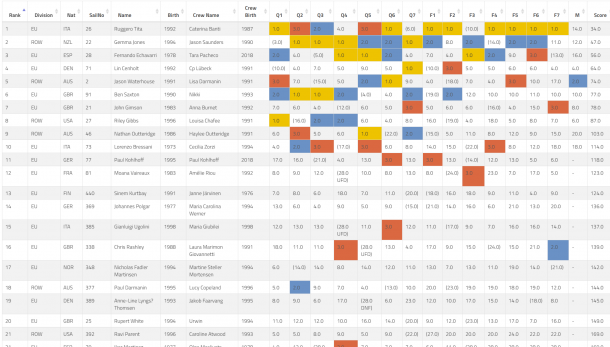 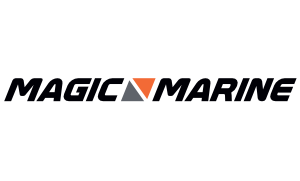 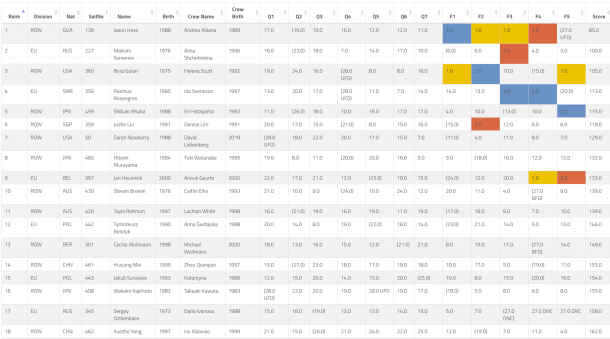 Sign up for your measurement slot here.